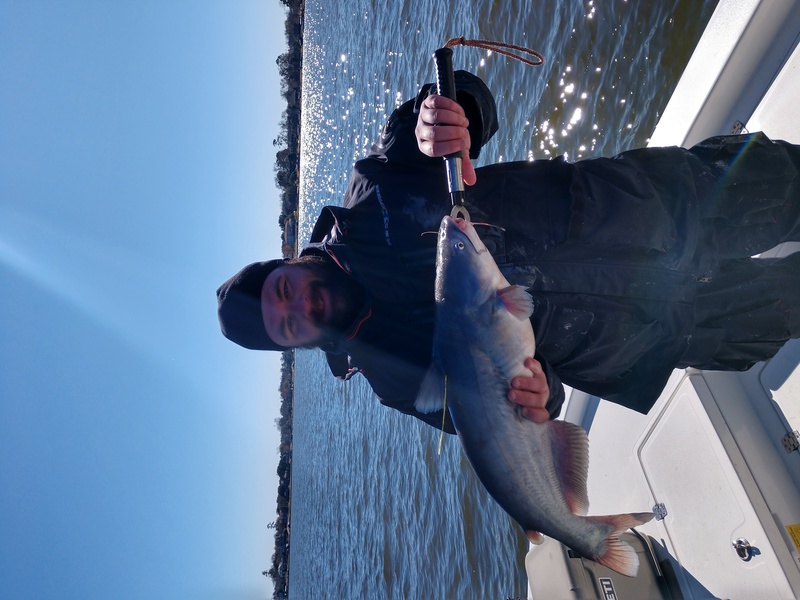 0239 John Adams txtca@yahoo.com Blue Catfish 1/6/2018 28 36.5 24.5 Lake Conroe Released Rod and Reel Caught dragging baits during the day using cut carp. 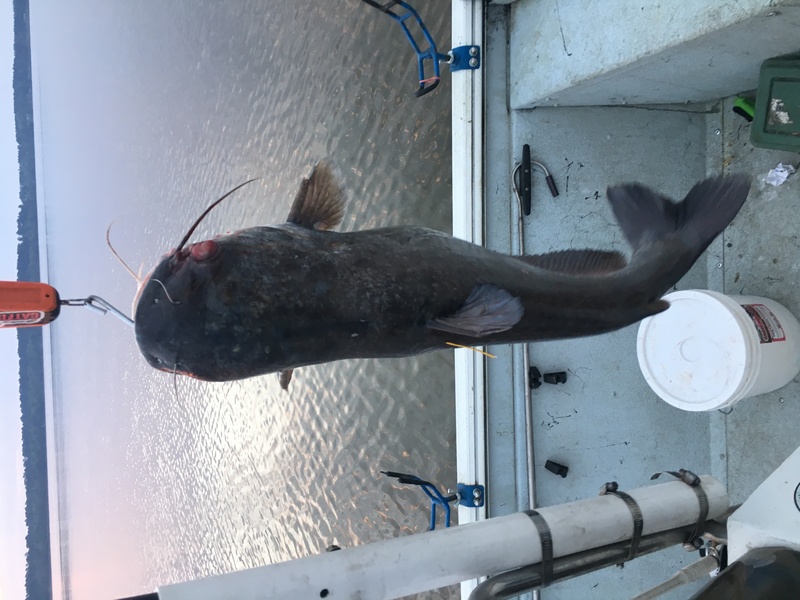 0251 John Adams txtca@yahoo.com Flathead Catfish 12/2/17 14 31.5 20 Lake Houston Released Rod and Reel caught on live shad, water temps were 68 degrees. 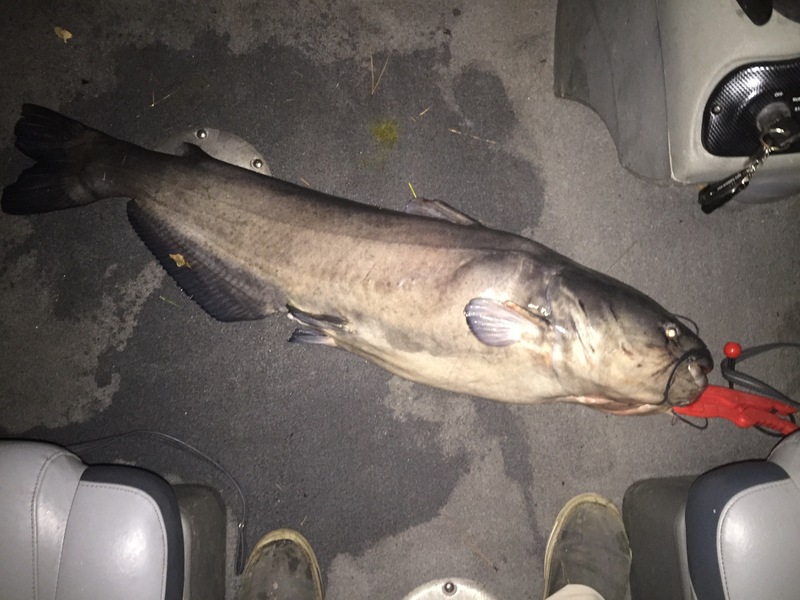 Caught about an hour before dark while suspend fishing. 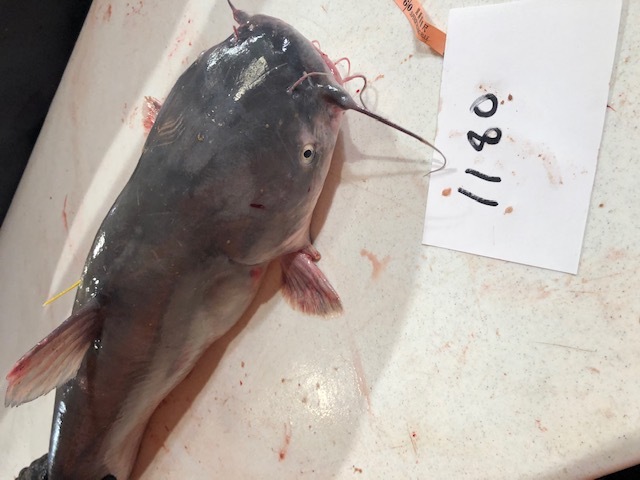 0775 Bradley Doyle catfishbubblegum@gmail.com Blue Catfish 2018-01-20 38.4 43.5 28 Lake Conroe Released Rod and Reel Cut Menhaden marinated in Bradley's Bite Enhancer. 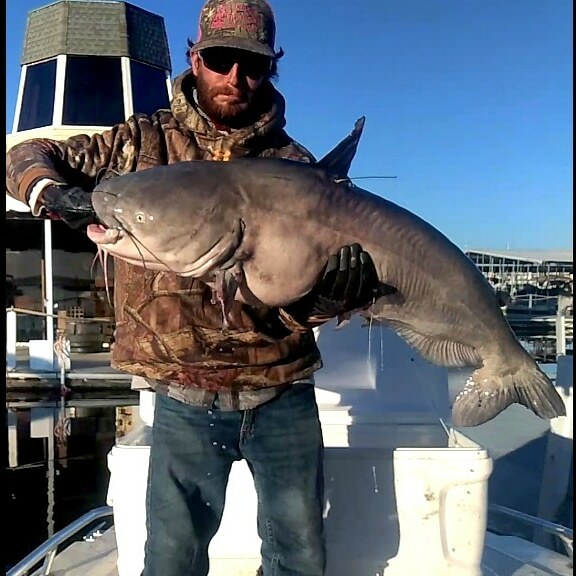 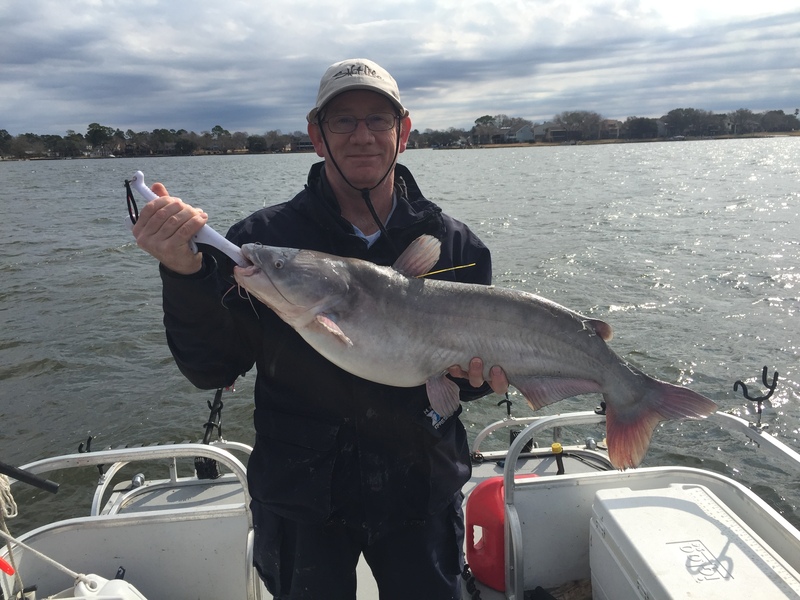 0059 Charles Whitney chawhitney@aol.com Blue Catfish 2018-01-28 17.3 33.5 19 Lake Conroe Released Jug/Noodle Caught on shrimp in 30 ft deep water. 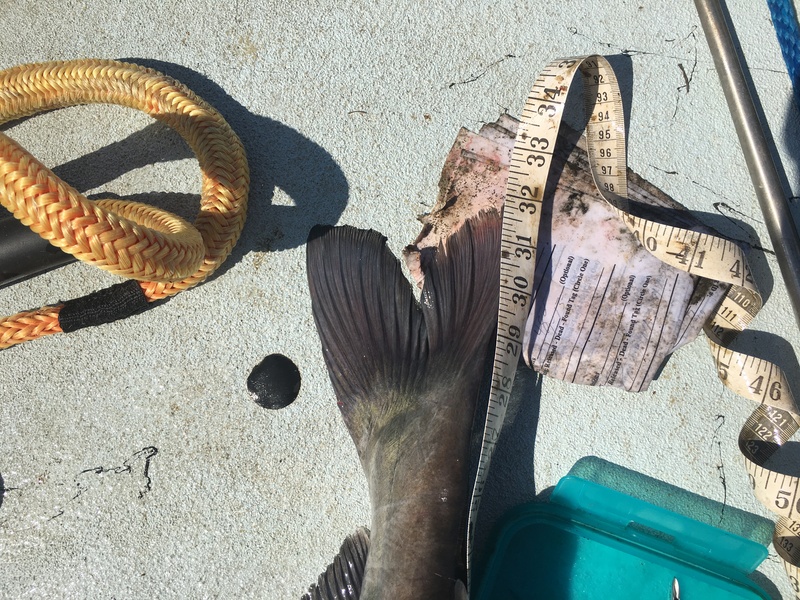 This fish has a deformed tail. 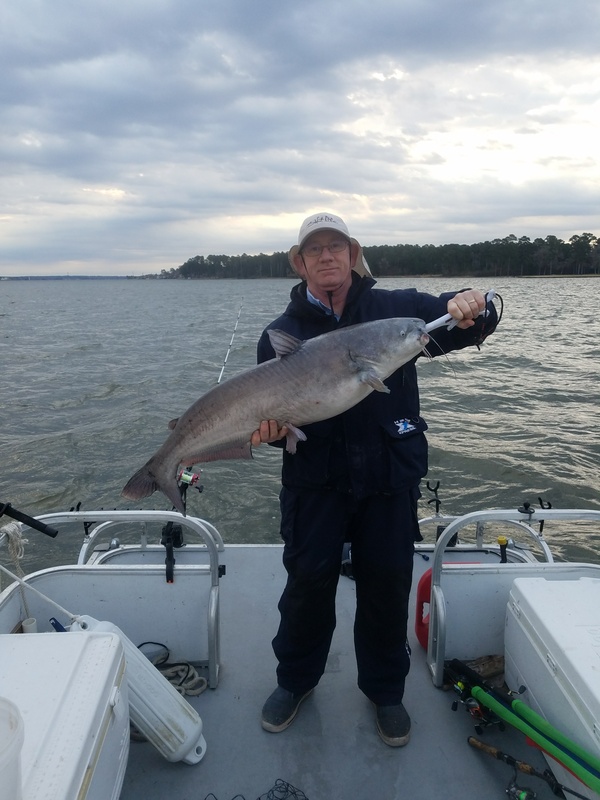 0063 Charles Whitney chawhitney@aol.com Blue Catfish 2018-02-09 13.6 31.0 20.0 Lake Conroe Released Rod and Reel Cut carp, 20' deep water, 53 degree water temp. 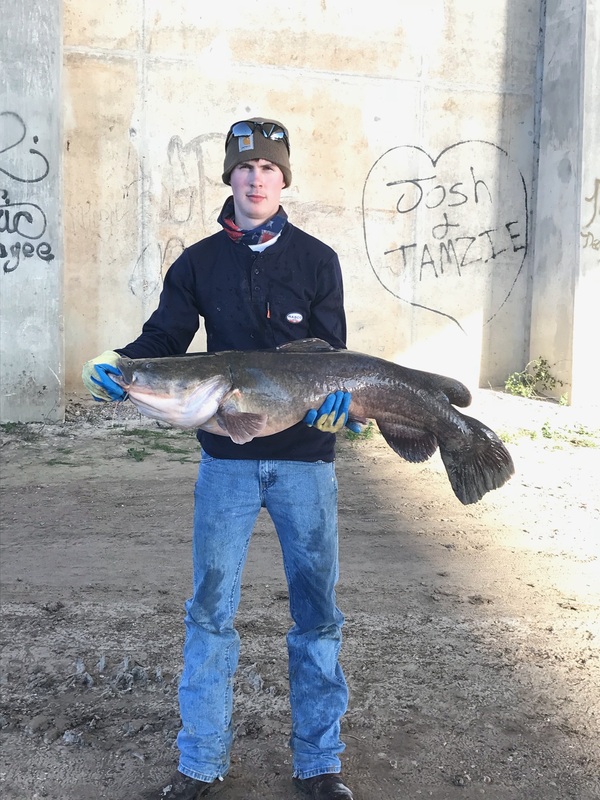 0104 TRCA Tournament txtca@yahoo.com Flathead Catfish 2/7/2018 10.3 28 18 Trinity River (Liberty) Released Rod and Reel Second time fish has been caught in the same area. 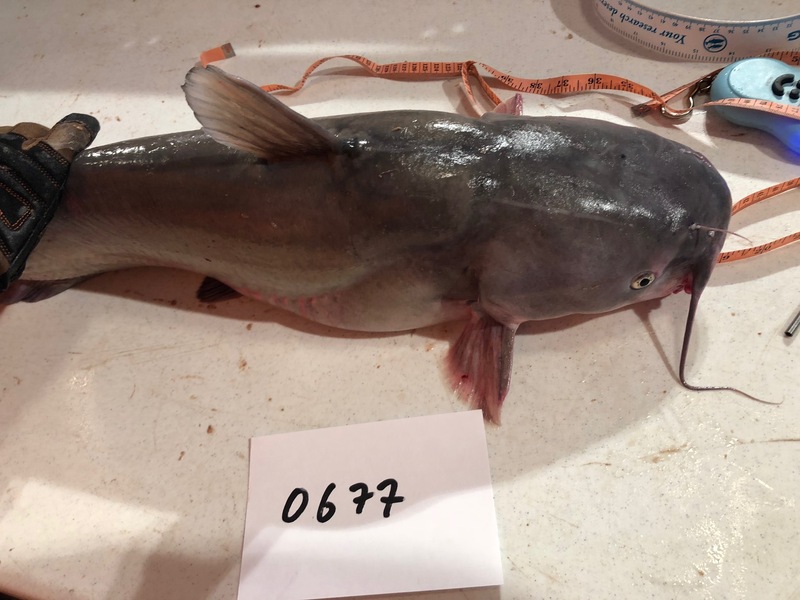 324 Louis L Parker parkerlouiscindy@sncglobal.net Blue Catfish 2018-02-23 14.7 28 18 Lake Conroe Released Jug/Noodle Cut Bait 60 degree water temp. 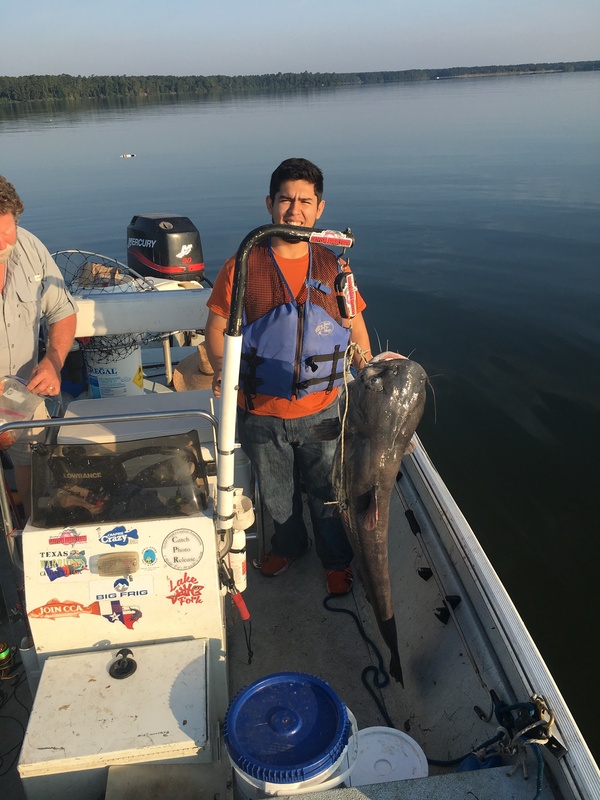 317 Louis L Parker parkerlouiscindy@sbcglobal.net Blue Catfish 2018-05-17 12.5 32 18.5 Lake Conroe Released Jug/Noodle Cut perch, 20 ft of water. 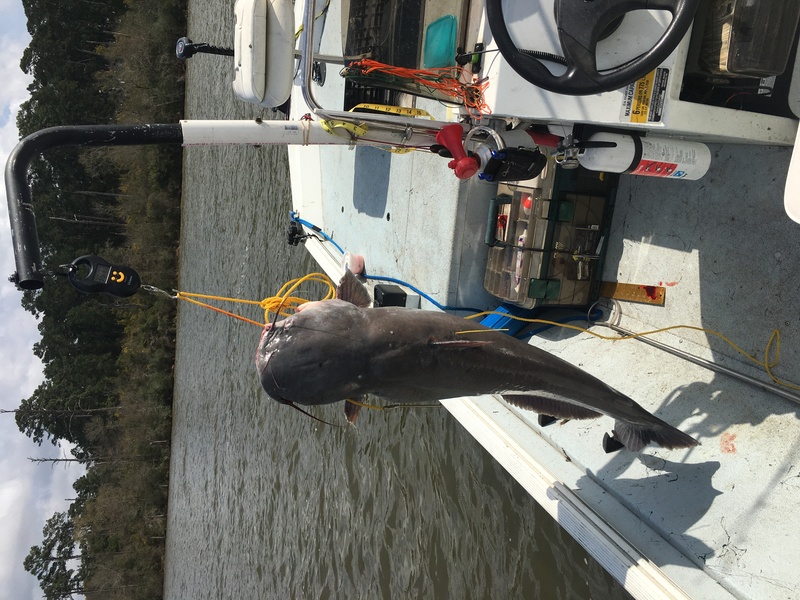 North of 1097 bridge. 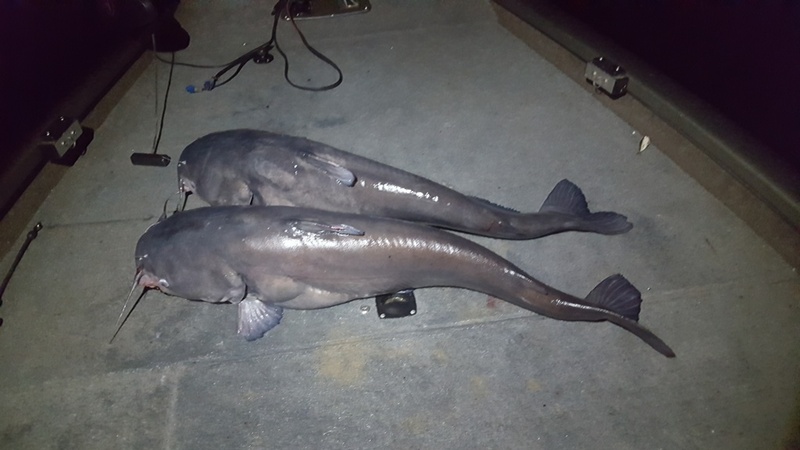 302 Louis Parker parkerlouiscindy@sbcglobal.net Blue Catfish 2018-07-24 17 34 20 Lake Conroe north of 1097 bridge Released Jug/Noodle Lake Conroe north of 1097, released in great condition. 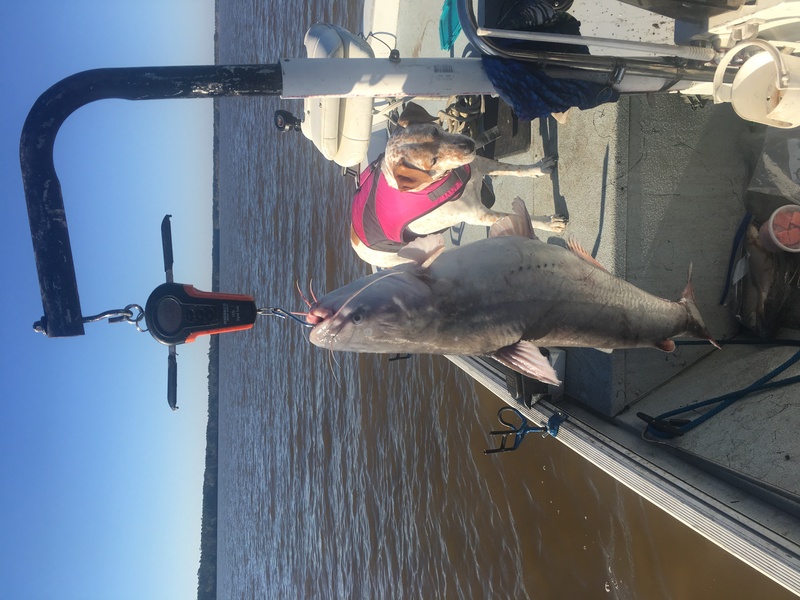 Cut Shad, 20 ft of water, water temperature 90 degrees. 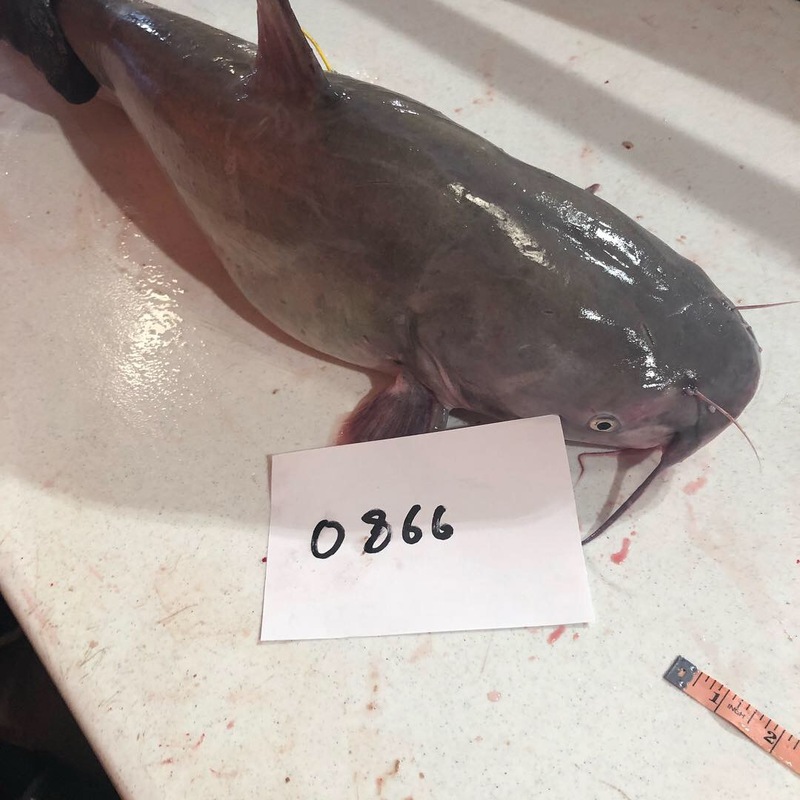 316 Louis Parker parkerlouiscindy@sbcglobal.net Blue Catfish 2018-07-24 17 35 20 Lake Conroe north of 1097 bridge Released Jug/Noodle Lake Conroe north of 1097, released in great condition. 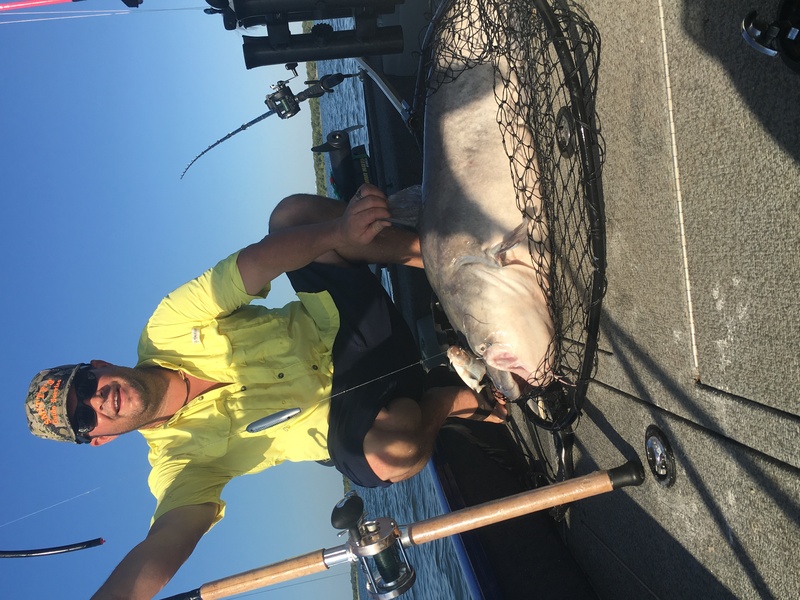 Cut Shad, 20 ft of water, water temperature 90 degrees. 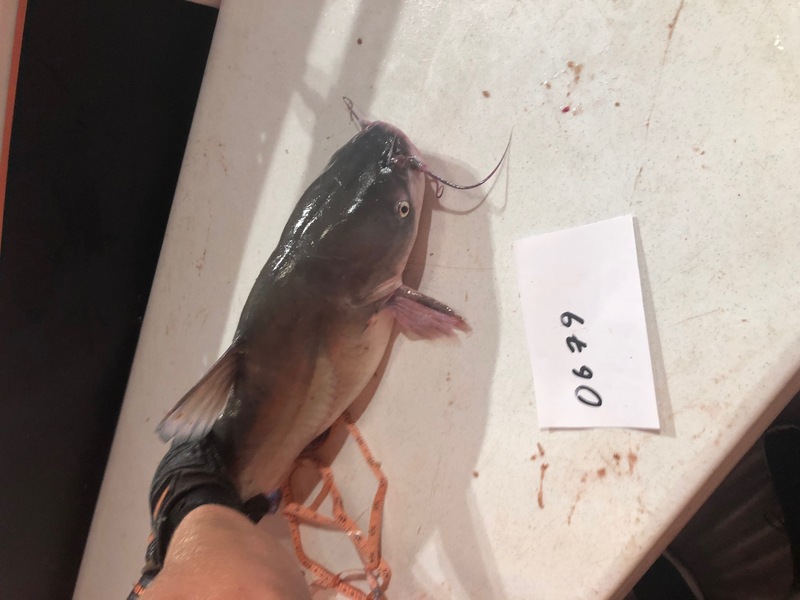 315 Louis Parker parkerlouiscindy@sbcglobal.net Blue Catfish 2018-07-24 25 38 23 1/2 Lake Conroe north of 1097 bridge Released Jug/Noodle Lake Conroe north of 1097, released in great condition. 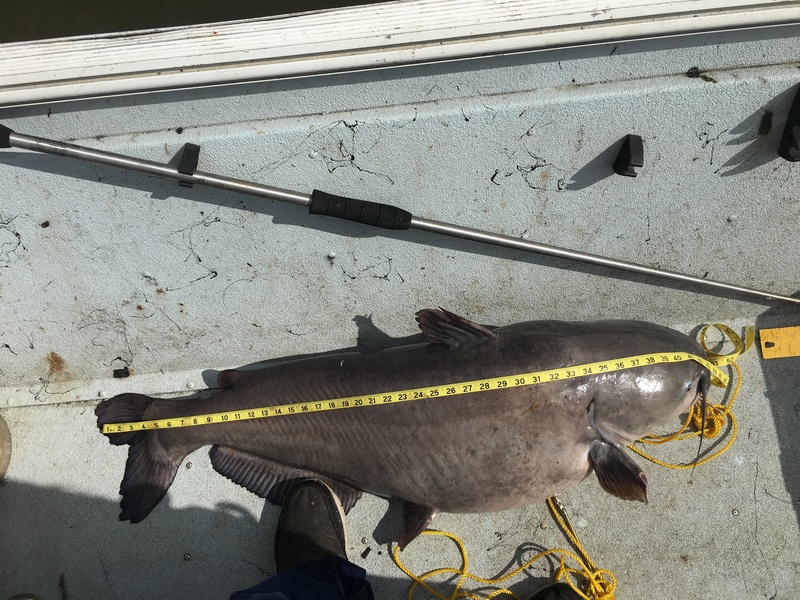 Cut Shad, 20 ft of water, water temperature 90 degrees. 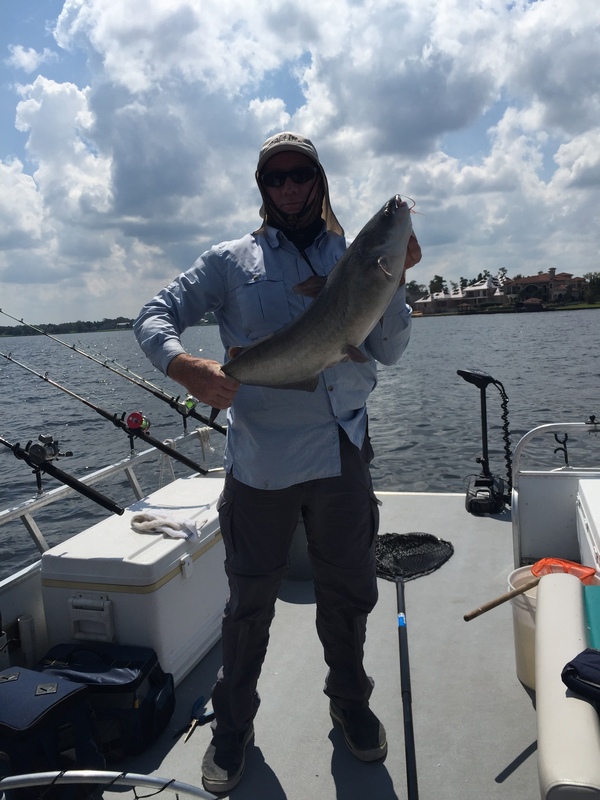 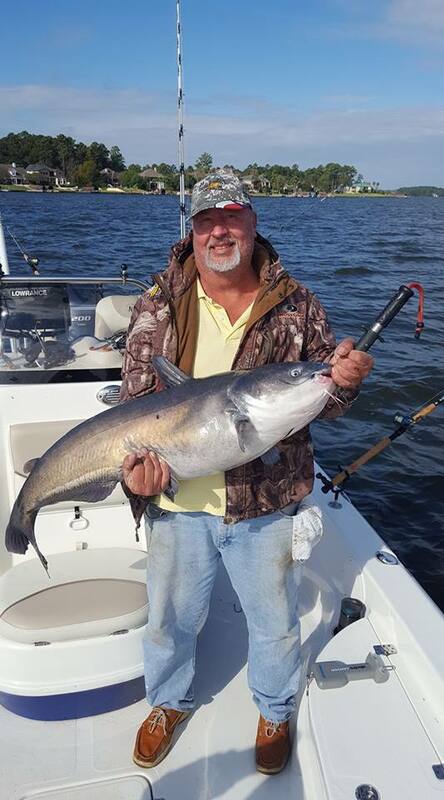 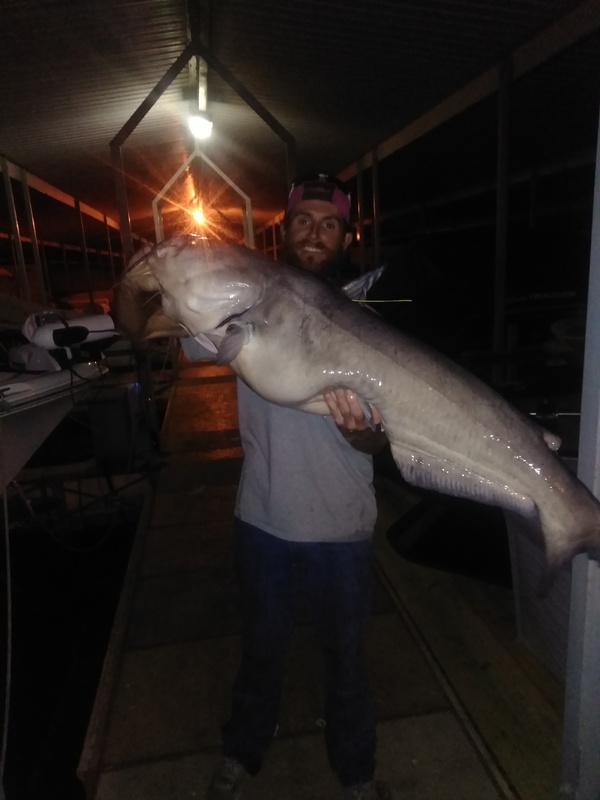 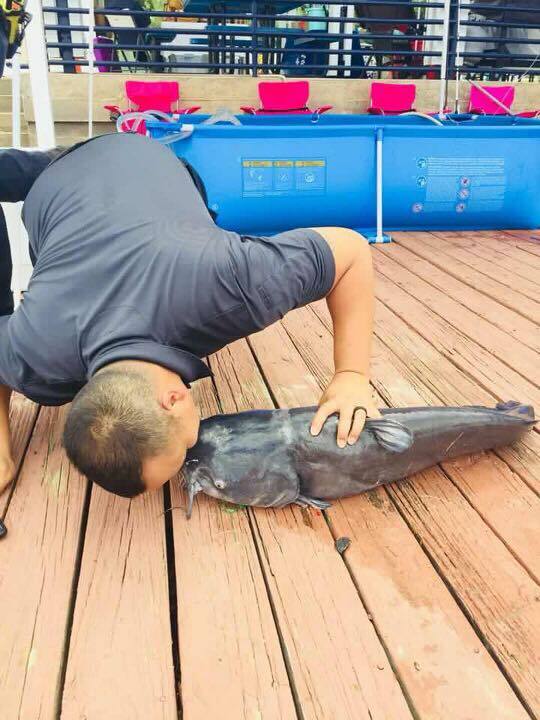 0066 Charles Whitney chawhitney@aol.com Blue Catfish 2018-07-21 38.2 44 27 Lake Conroe Released Jug/Noodle Caught on chicken heart in 16' deep water. 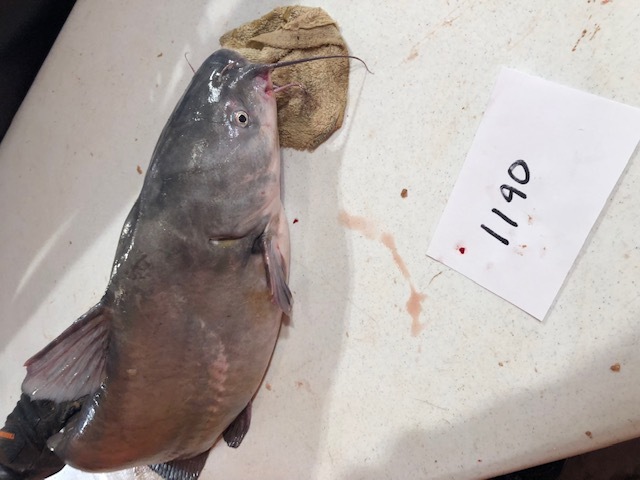 314 Louis Parker parkerlouiscindy@sbcglobal.net Blue Catfish 2018-08-01 31 40 25 1/2 Lake Conroe Released Jug/Noodle Cut gizzard Shad, north of 1097 bridge. 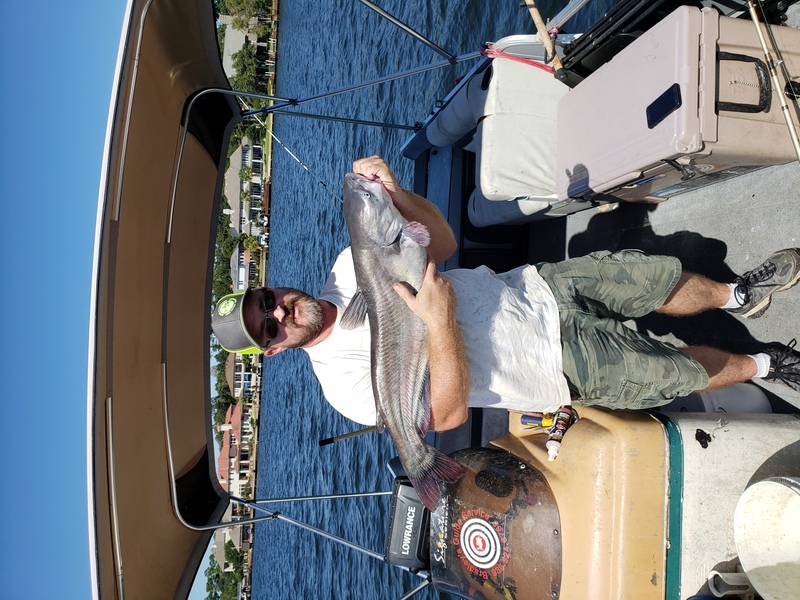 Water temp 88.9 degrees. 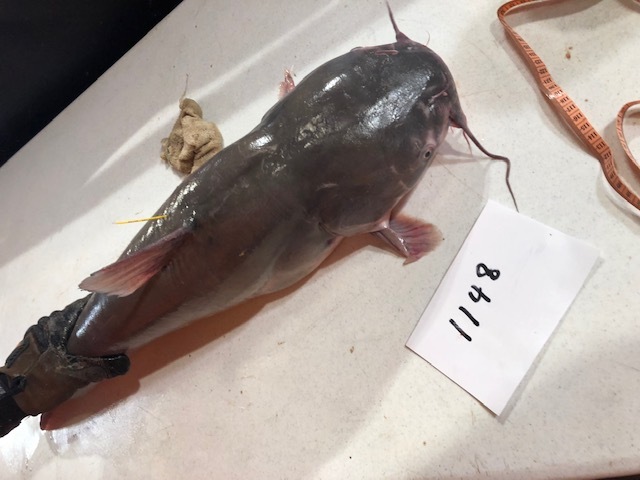 313 Louis Parker parkerlouiscindy@sbcglobal.net Blue Catfish 2018-08-01 35 41 1/2 26 Lake Conroe Released Jug/Noodle Cut gizzard Shad, north of 1097 bridge. 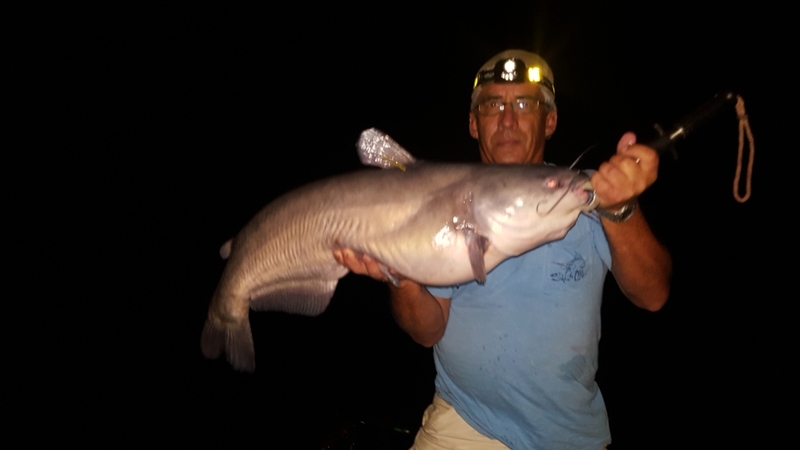 Water temp 88.9 degrees. 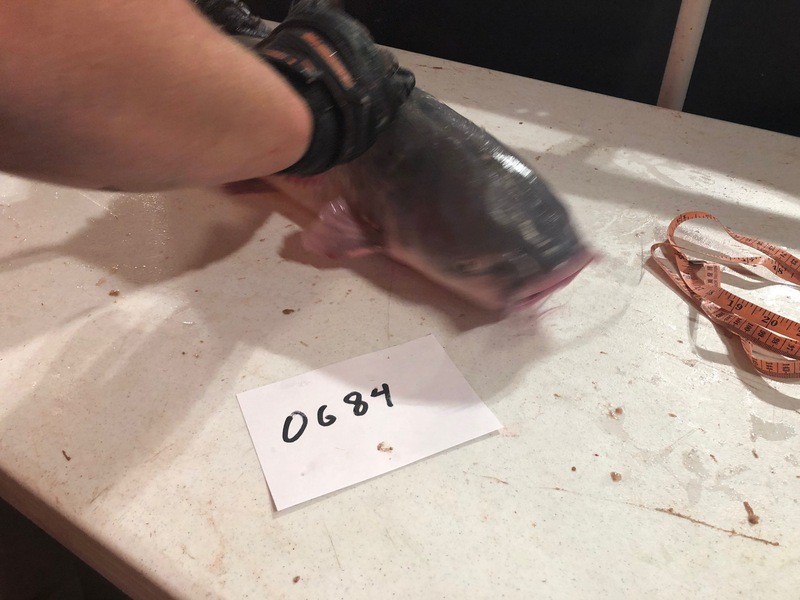 312 Louis Parker parkerlouiscindy@sbcglobal.net Blue Catfish 2018-08-02 44 44 28 1/2 Lake Conroe Released Jug/Noodle Cut gizzard Shad, north of 1097 bridge. 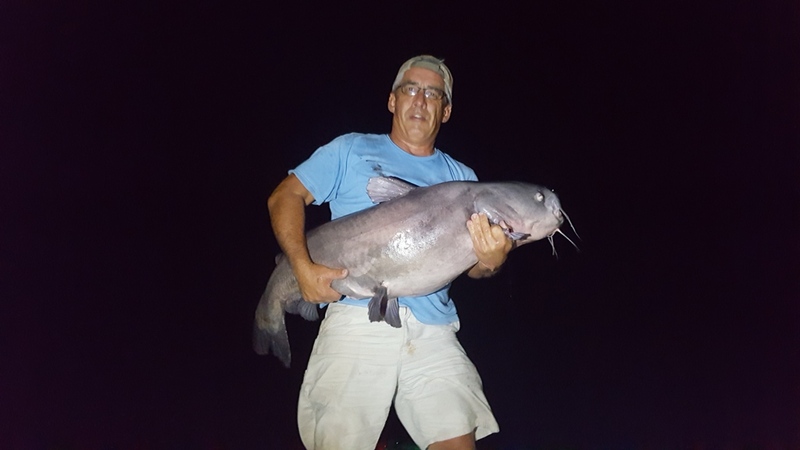 Water temp 88.9 degrees. 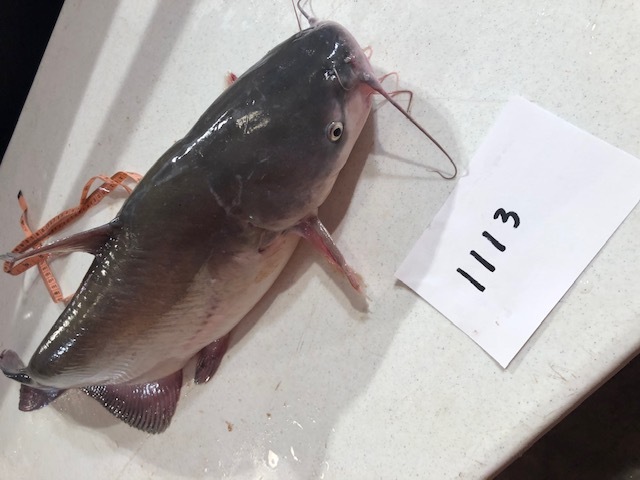 311 Louis Parker parkerlouiscindy@sbcglobal.net Blue Catfish 2018-08-02 15 33 1/2 19 Lake Conroe Released Jug/Noodle Cut gizzard Shad, north of 1097 bridge. 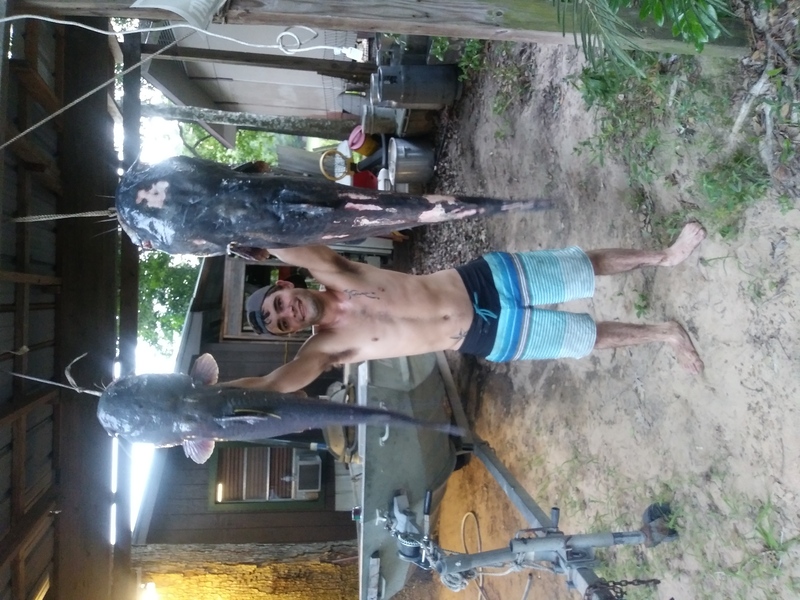 Water temp 88.9 degrees. 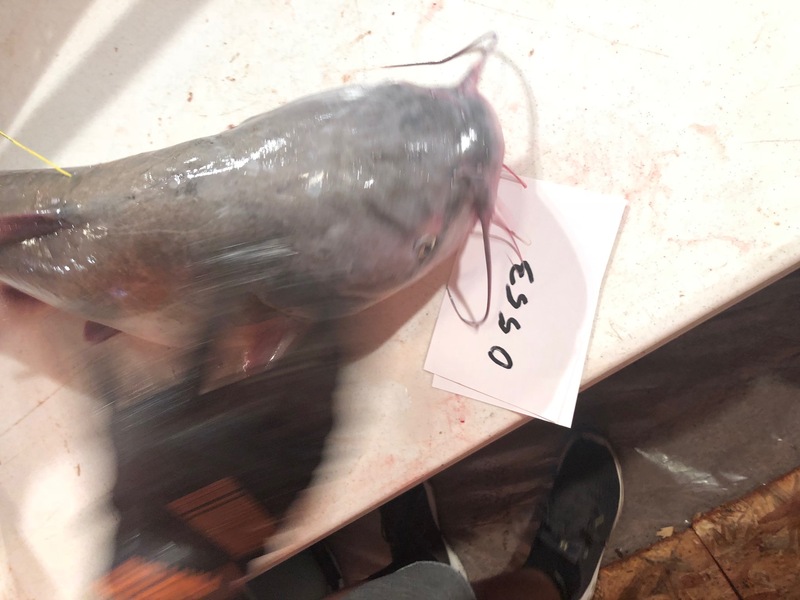 310 Louis Parker parkerlouiscindy@sbcglobal.net Blue Catfish 2018-08-02 28 38 25 Lake Conroe Released Jug/Noodle Cut gizzard Shad, north of 1097 bridge. 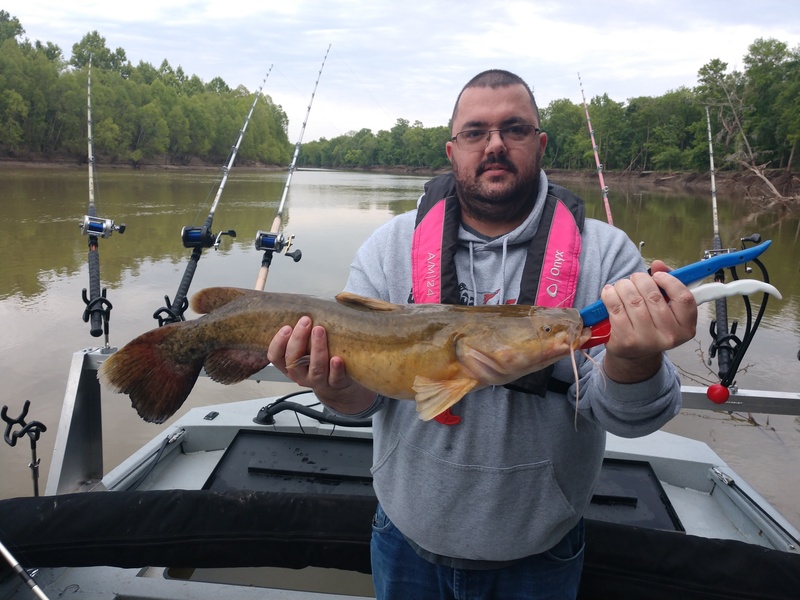 Water temp 88.9 degrees. 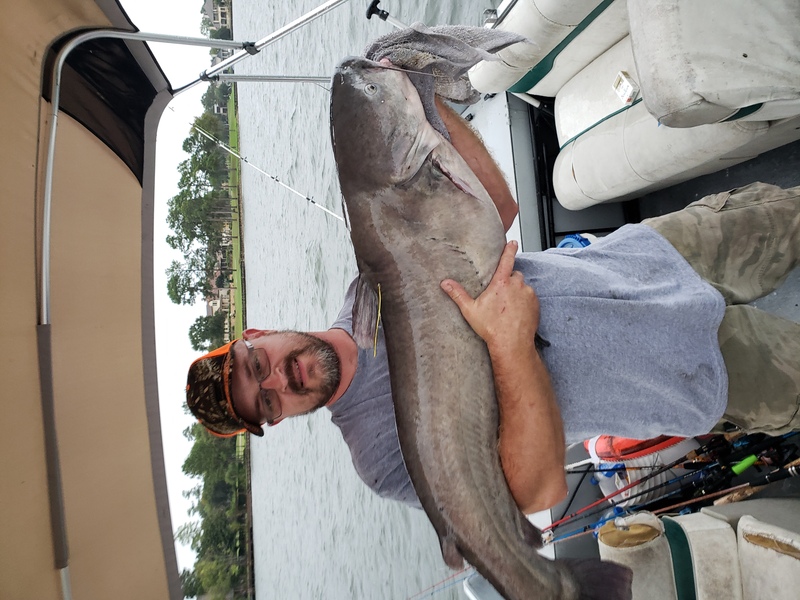 0767 brad nickel brdnckl1@gmail.com Blue Catfish 2018-08-14 15.67 31 21 lake conroe Released Rod and Reel 85 degree water temp, cut shad used for bait in 20'. 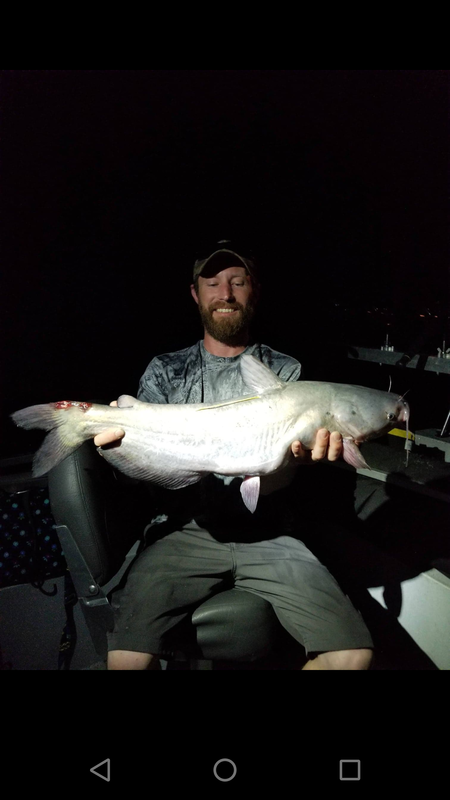 0711 brad nickel brdnckl1@gmail.com Blue Catfish 2018-09-11 17.61 32 20 lake conroe Released Rod and Reel Drifting cut shad in 20ft of water. 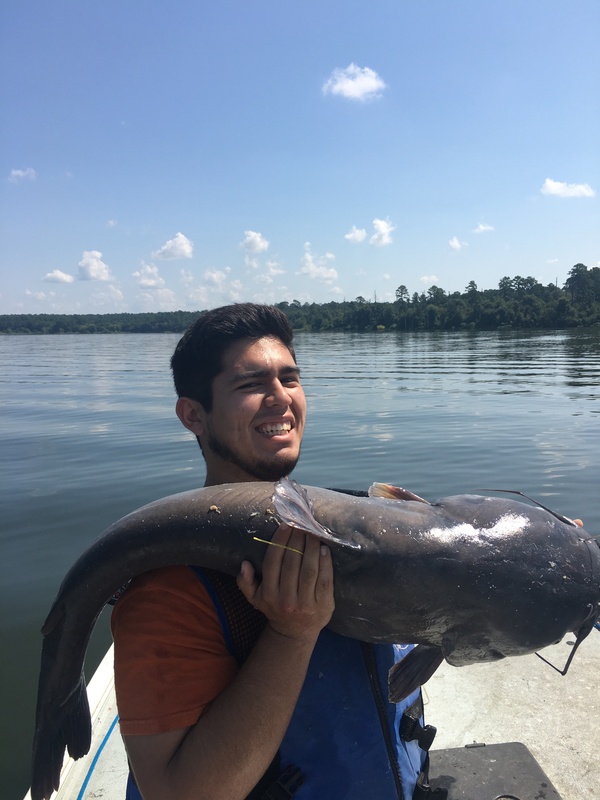 0765 Adam Sandoval ad.rox@hotmail.com Blue Catfish 2018-09-21 36 40.5 26.5 Conroe Released Rod and Reel Bradley's bite enhancer and shad. 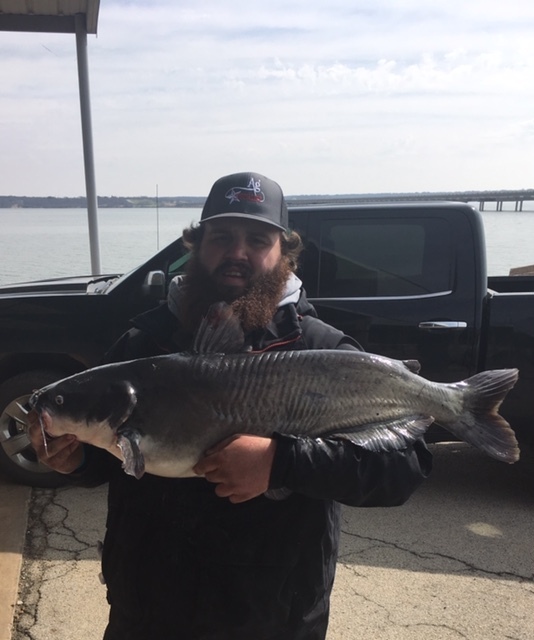 1149 Possum Kingdom Catmasters txtca@yahoo.com Blue Catfish 2018-10-21 27.47 34 24 Possum Kingdom Released Rod and Reel muddy water, possumkingdomcatmasters.com this is the fish that flipped off the table and knocked down the 40ft banner for the stage including the scale and digital display.... all live on Facebook. 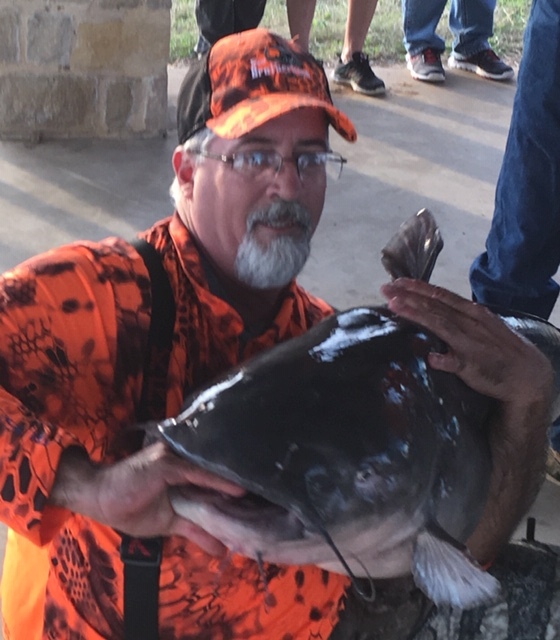 1158 Possum Kingdom Catmasters txtca@yahoo.com Blue Catfish 2018-10-21 46.4 45 29.5 Possum Kingdom Released Rod and Reel muddy water, possumkingdomcatmasters.com Big Fish winner for event. 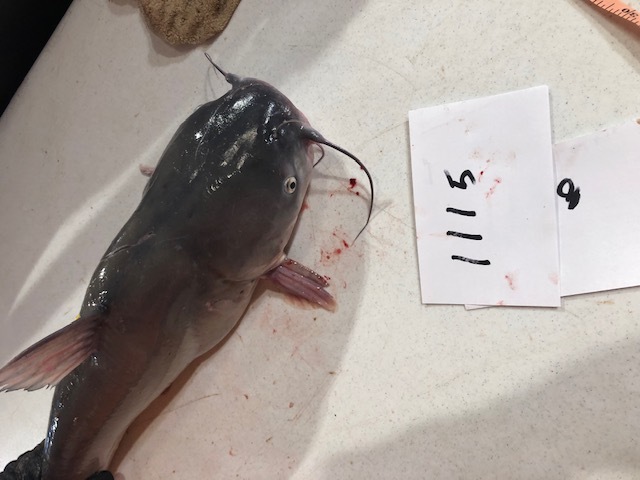 Large cut on head, left side. 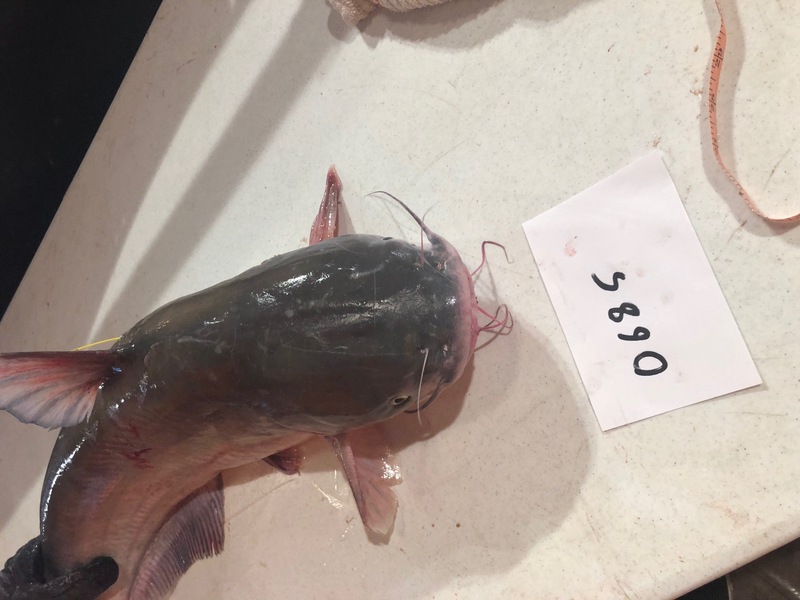 1176 Possum Kingdom Catmasters txtca@yahoo.com Blue Catfish 2018-10-21 11.8 32.2 17.5 Possum Kingdom Released Rod and Reel muddy water, possumkingdomcatmasters.com fish had 1 eye at weigh in. 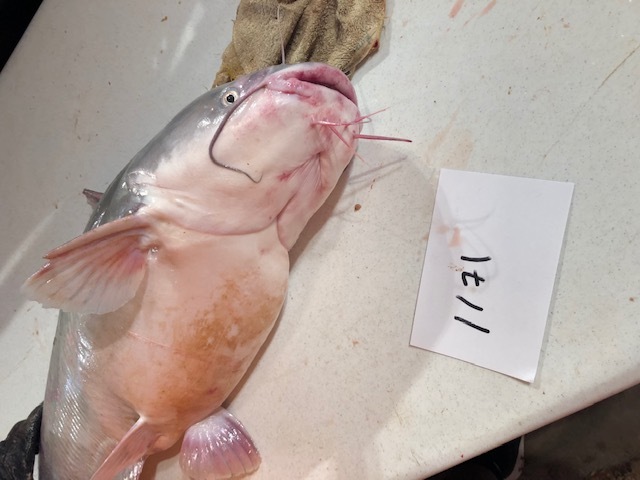 Previously healed. 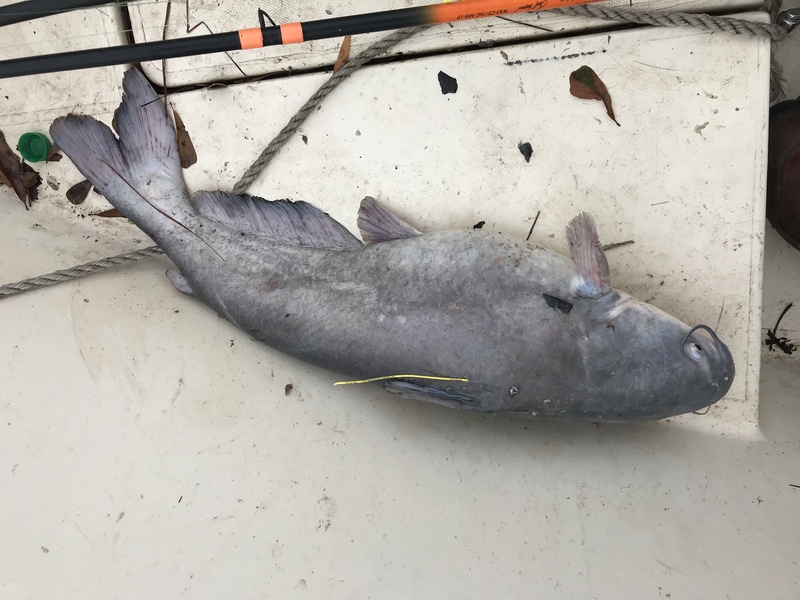 1170 Possum Kingdom Catmasters txtca@yahoo.com Blue Catfish 2018-10-21 15.2 33.5 19 Possum Kingdom Released Rod and Reel muddy water, possumkingdomcatmasters.com this fish had a large notch on its back near the tail, previously healed. 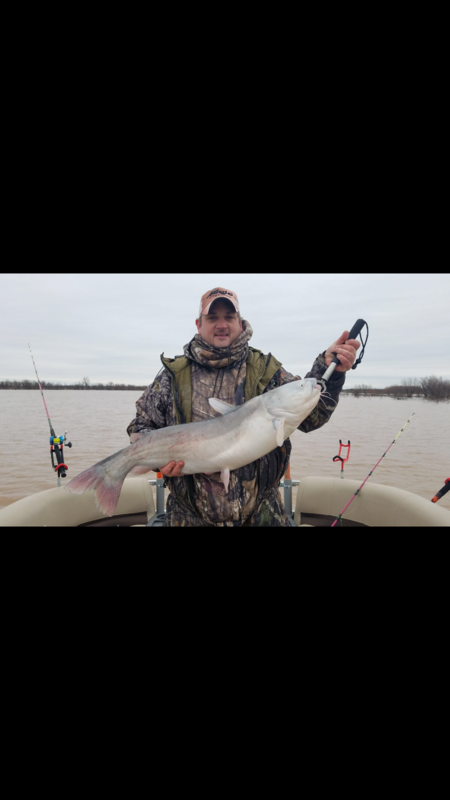 1727 Rodney Sullivan rodney@brazosnet.com Blue Catfish 2018-11-03 25.47 38 24 Lake Brownwood Released Rod and Reel Cut shad in 5 feet of water. 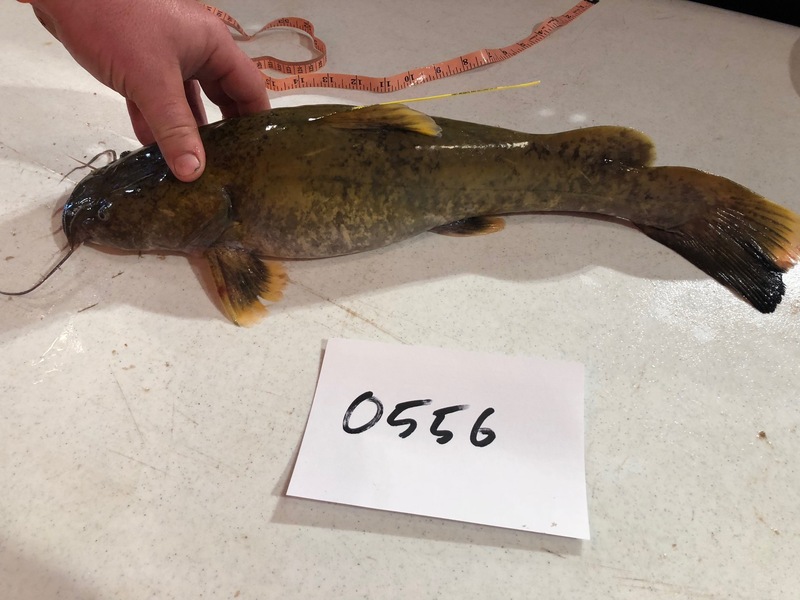 Water temp 63 degrees stained. 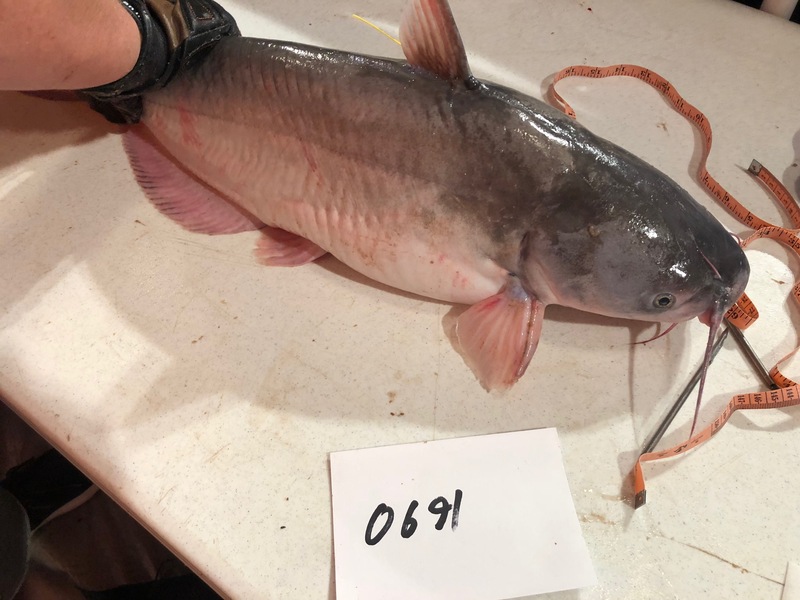 1744 Rodney Sullivan rodney@brazosnet.com Blue Catfish 2018-11-04 30.20 39 25 Lake Brownwood Released Rod and Reel Cut shad, water temp 62 degrees, 7 feet deep. 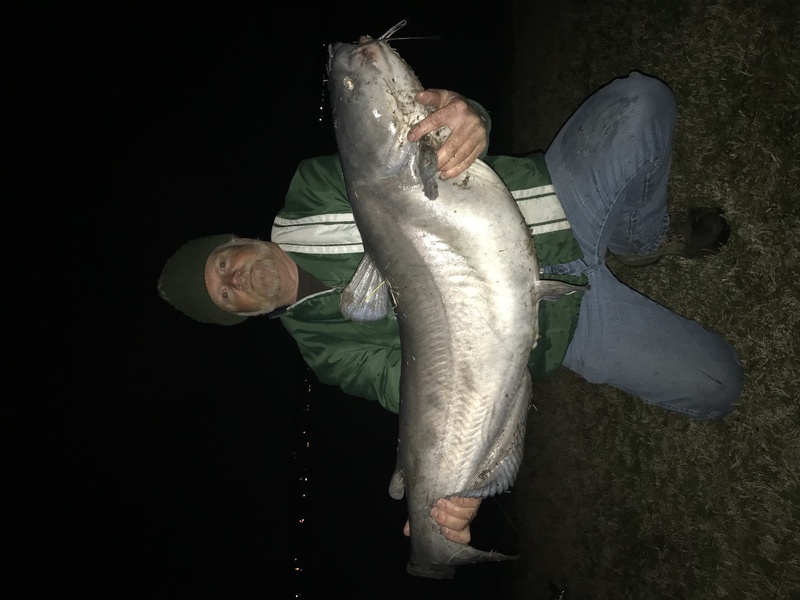 1745 Rod Sullivan rodney@brazosnet.com Blue Catfish 2018-11-10 20.94 34 23 Hubbard Creek Lake Released Rod and Reel Water temp 56 degrees / stained on cut shad. 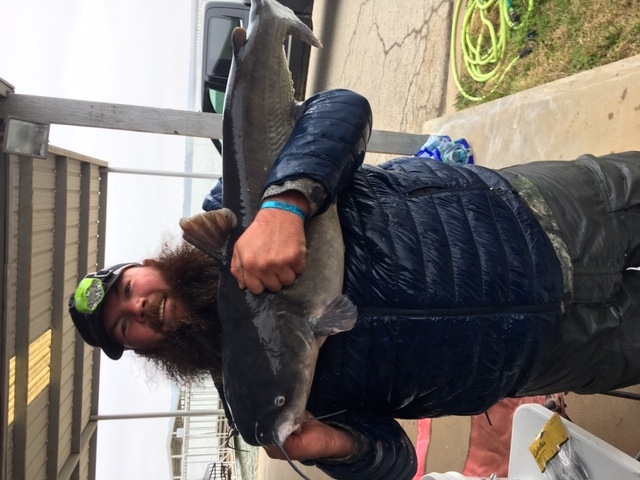 1728 Arron Armstrong rodney@brazosnet.com Blue Catfish 2018-11-10 28.70 36 24 Hubbard Creek Lake Released Rod and Reel Water temp 56 degrees / stained on cut shad. 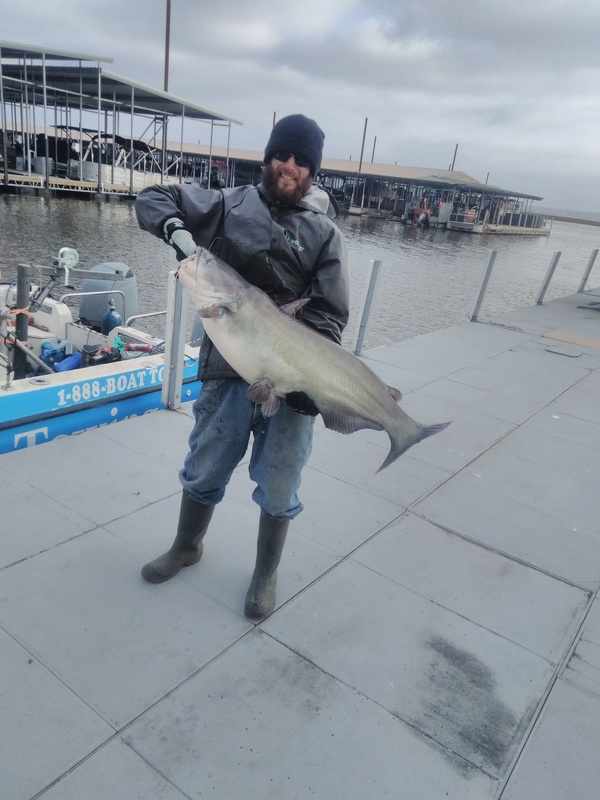 1747 D J Bradshaw rodney@brazosnet.com Blue Catfish 2018-11-10 20.80 33.5 22 Hubbard Creek Lake Released Rod and Reel Water temp 56 degrees / stained on cut shad. 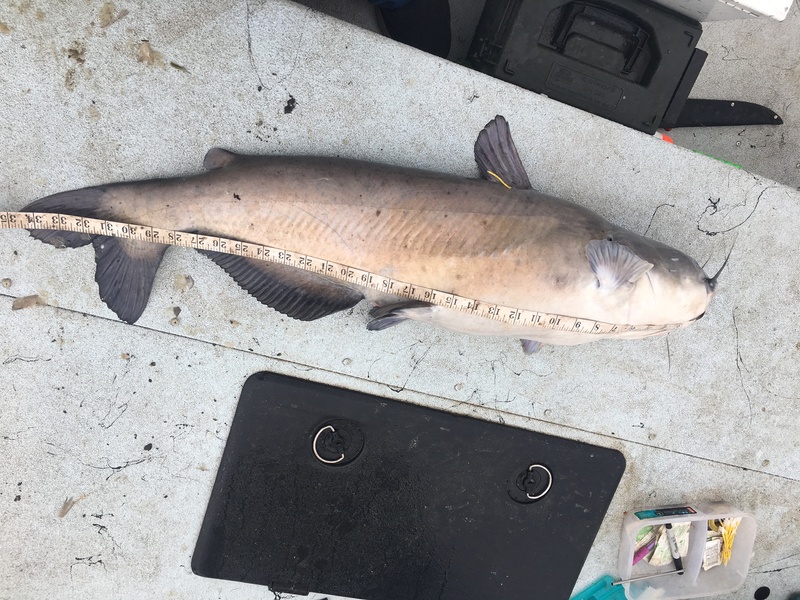 1743 Armstrong/Bradshaw rodney@brazosnet.com Blue Catfish 2018-11-10 10.70 28 17 Hubbard Creek Lake Released Rod and Reel Water temp 56 degrees / stained on cut shad. 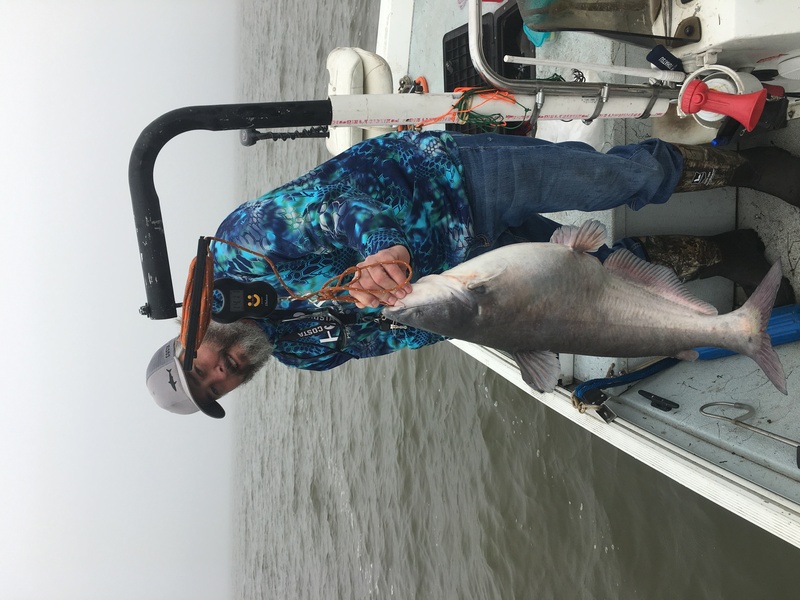 1726 Armstrong/Bradshaw rodney@brazosnet.com Blue Catfish 2018-11-10 12.7 29.5 17.5 Hubbard Creek Lake Released Rod and Reel Water temp 56 degrees / stained on cut shad. 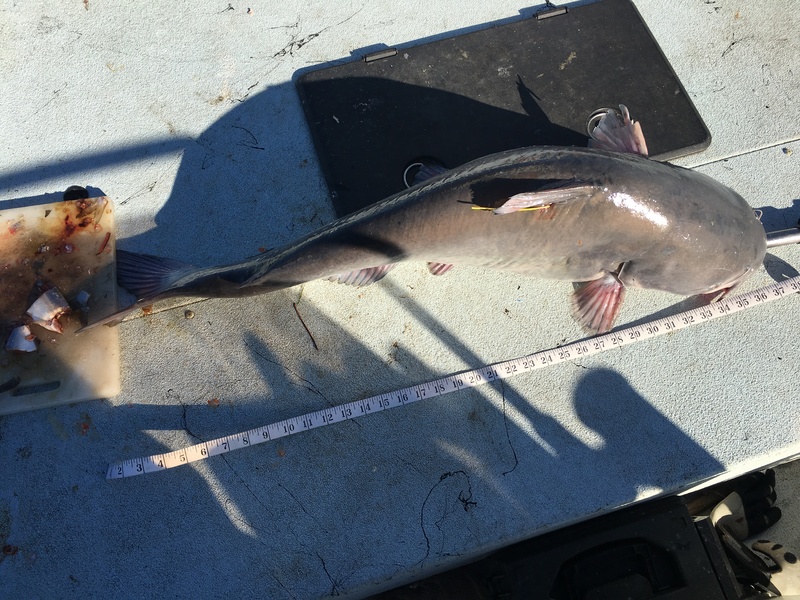 1737 Armstrong/Bradshaw rodney@brazosnet.com Blue Catfish 2018-11-10 11.3 28.5 16.5 Hubbard Creek Lake Released Rod and Reel Water temp 56 degrees / stained on cut shad. 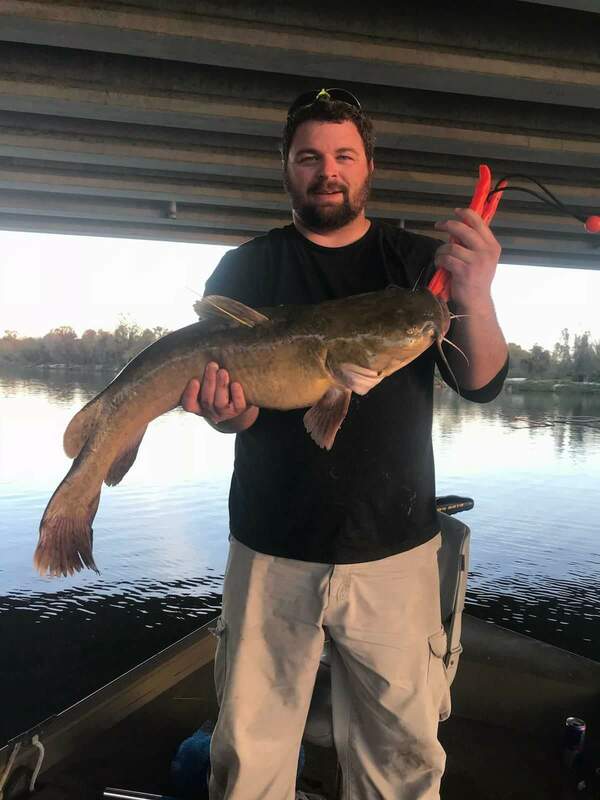 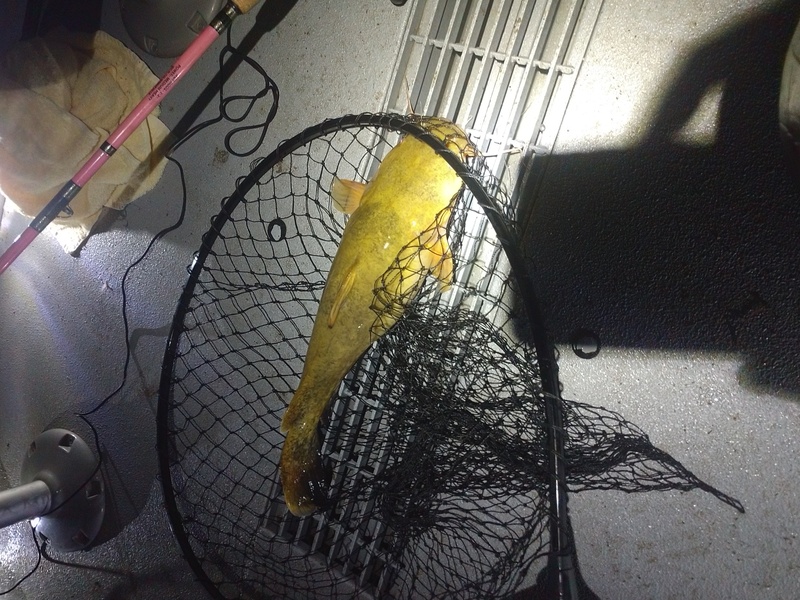 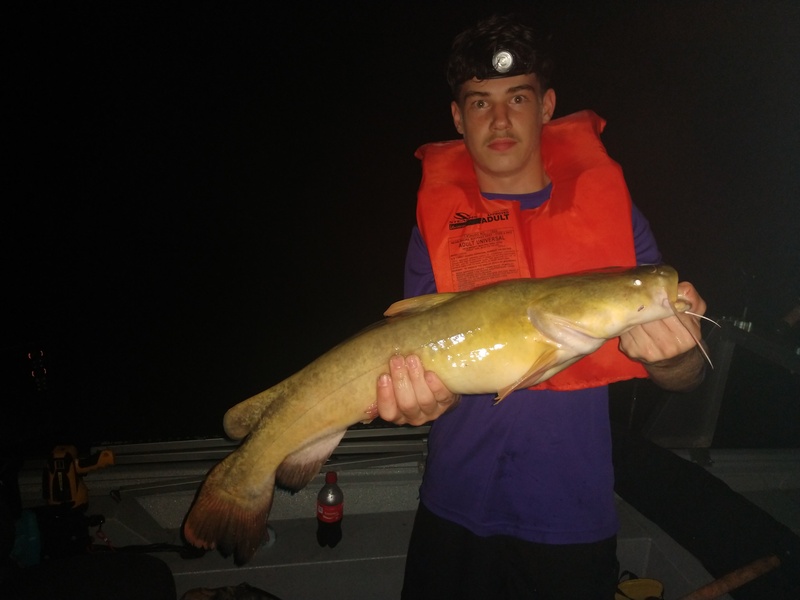 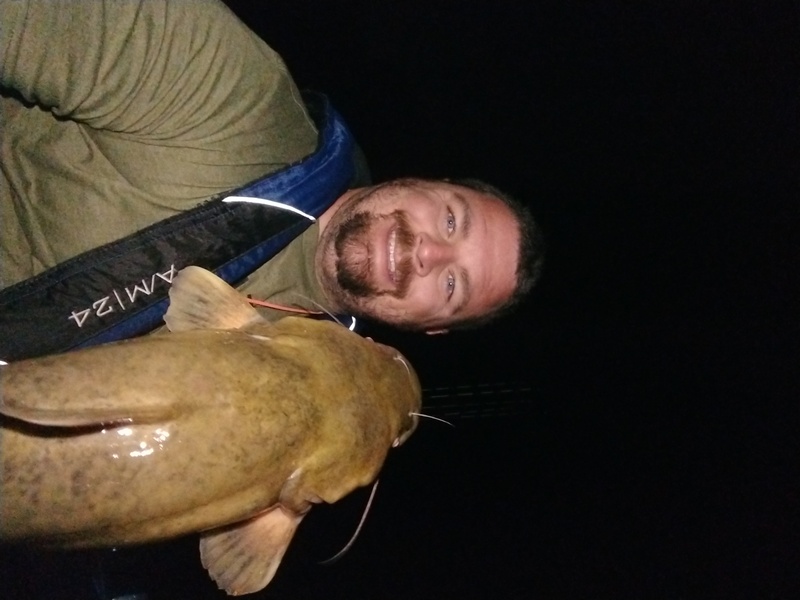 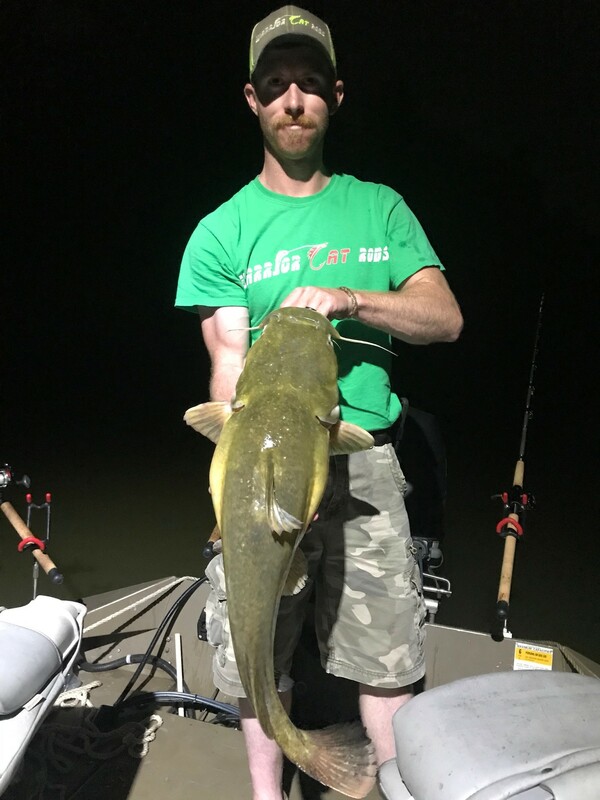 0708 Brad nickel brdnckl1@gmail.com Flathead Catfish 2018-11-18 38.53 43 29 Lake Conroe Released Rod and Reel Live perch used as bait. 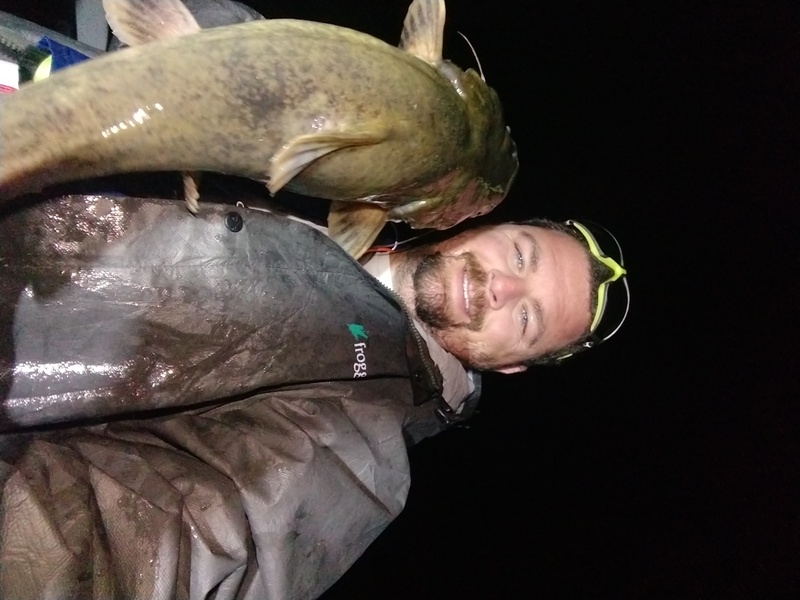 Water temp at 55 degrees. 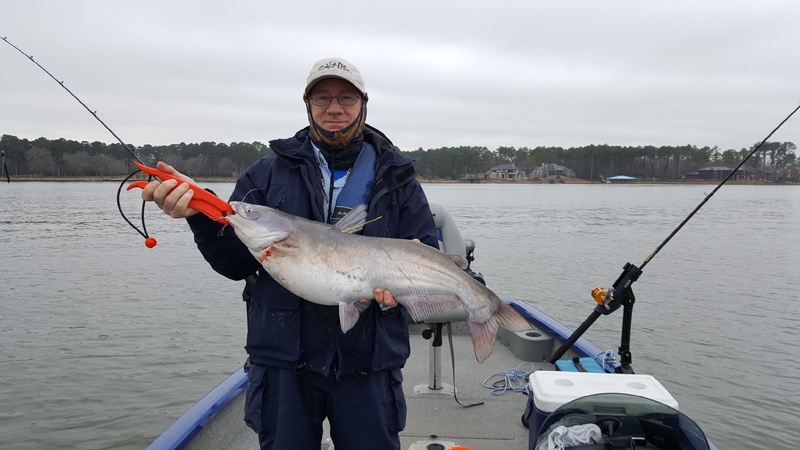 305 Louis Parker parkerlouiscindy@sbcglobal.net Blue Catfish 2018-11-20 26.13 36 1/2 25 Lake Conroe Released Rod and Reel North end of Lake Conroe, on cut bait. 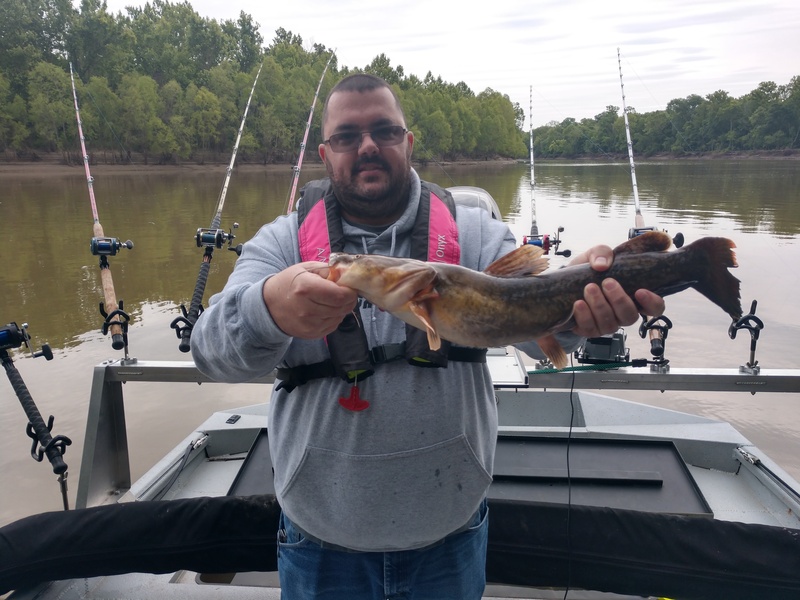 Water temp 58 degrees, along old river channel. 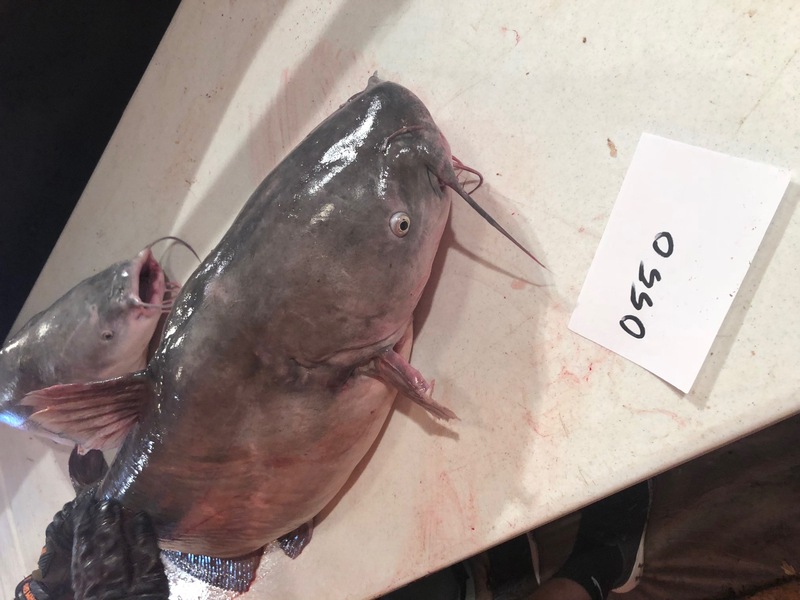 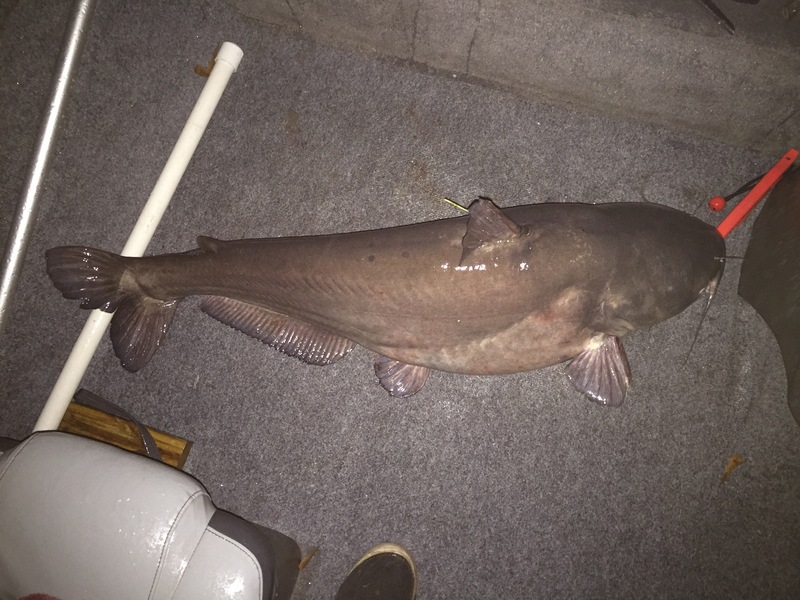 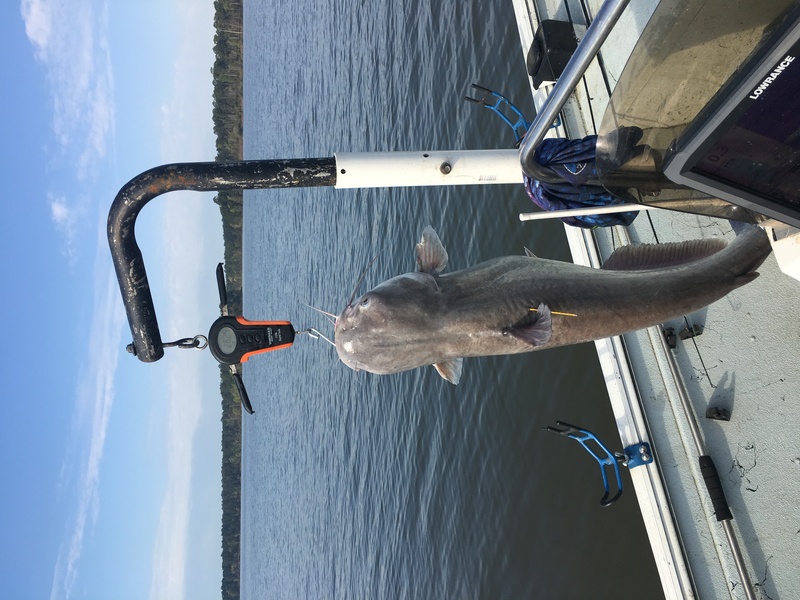 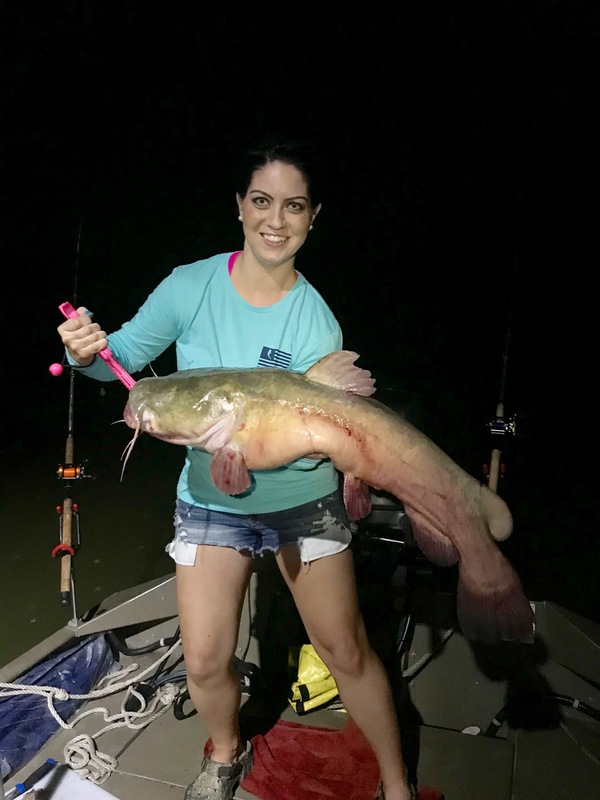 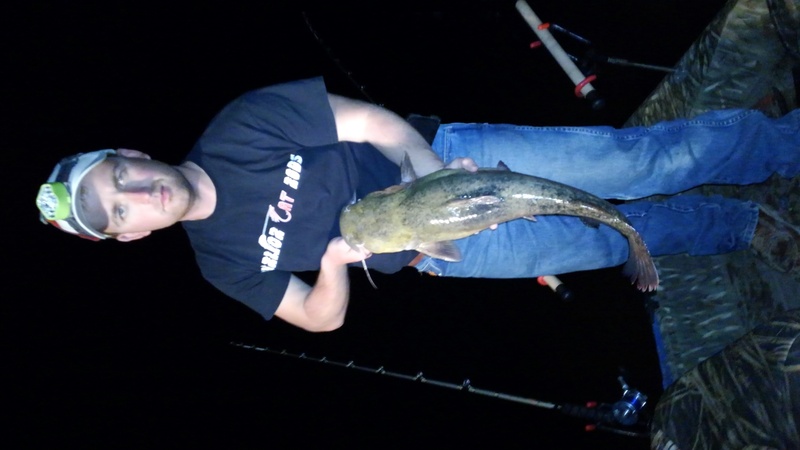 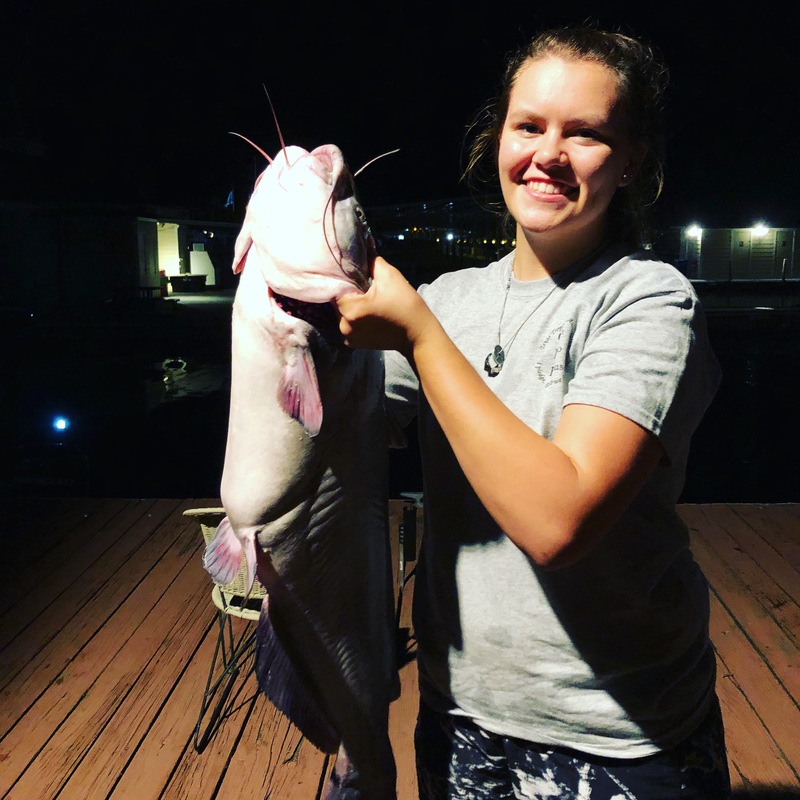 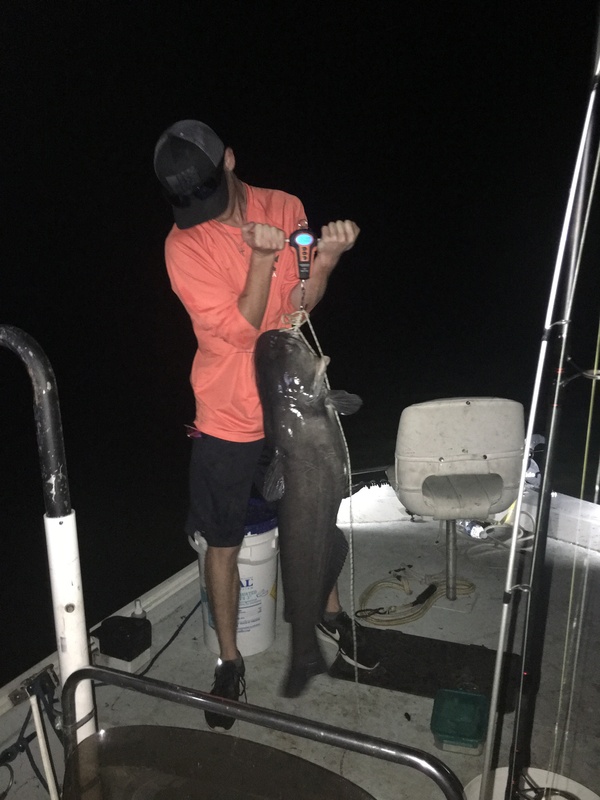 306 Louis Parker parkerlouiscindy@sbcglobal.net Flathead Catfish | Blue Catfish 2018-11-20 8.15 21 16 Lake Conroe Released Rod and Reel North end of Lake Conroe, on cut bait. 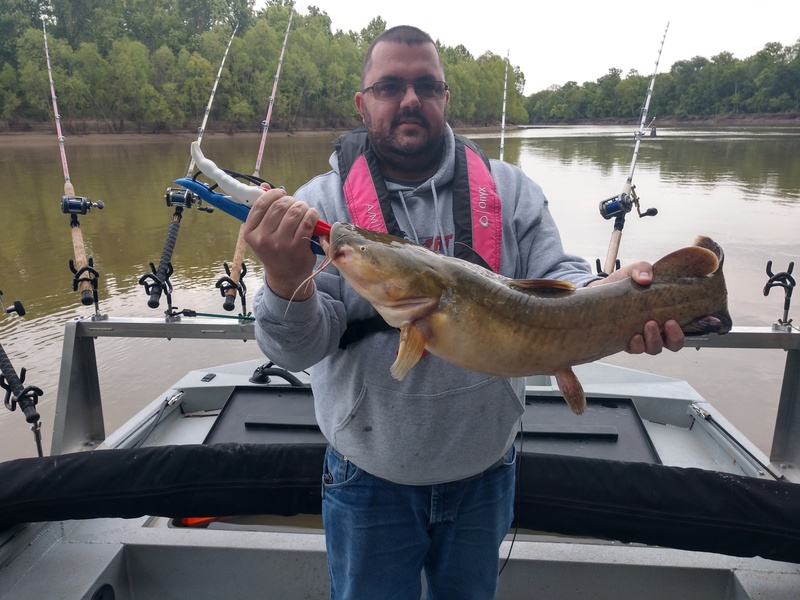 Water temp 58 degrees, along old river channel. 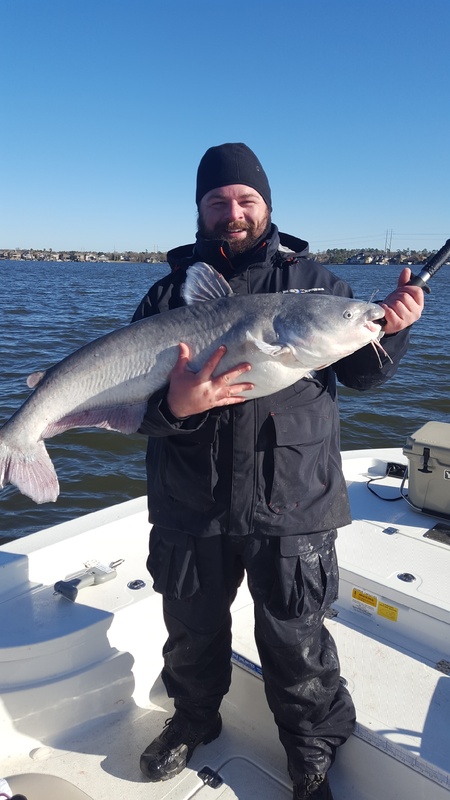 0749 Brad nickel brdnckl1@gmail.com Blue Catfish 2018-11-27 54.10 45 31 Lake Conroe Released Rod and Reel Drifting cut perch in 35-40 fow. 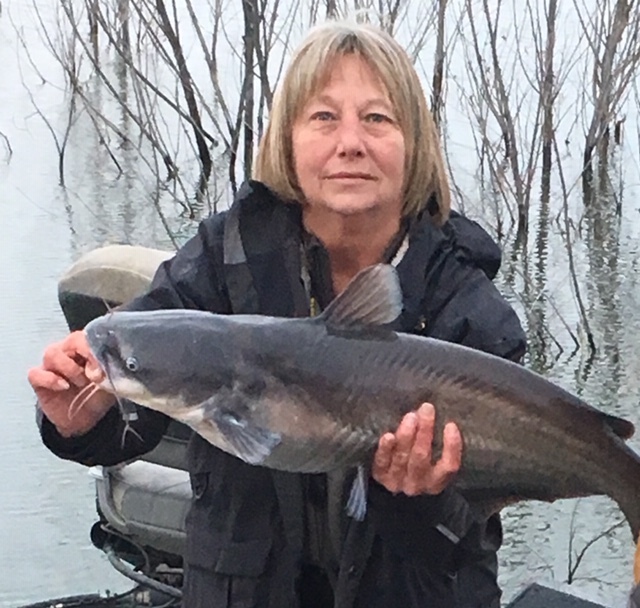 1739 Patricia Sullivan rodney@brazosnet.com Blue Catfish 2018-12-02 15.3 32 19.5 Hubbard Creek Lake Released Rod and Reel Water muddy & 52 degrees. 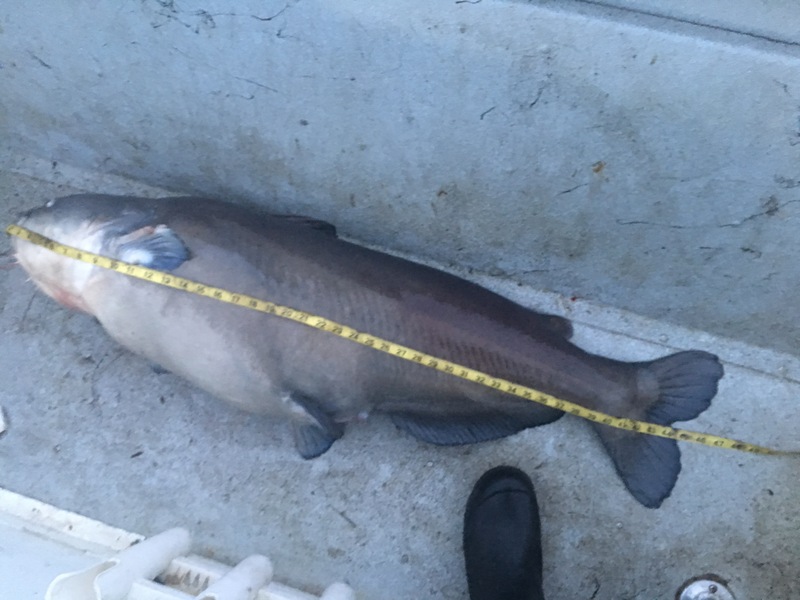 2.5 deep. 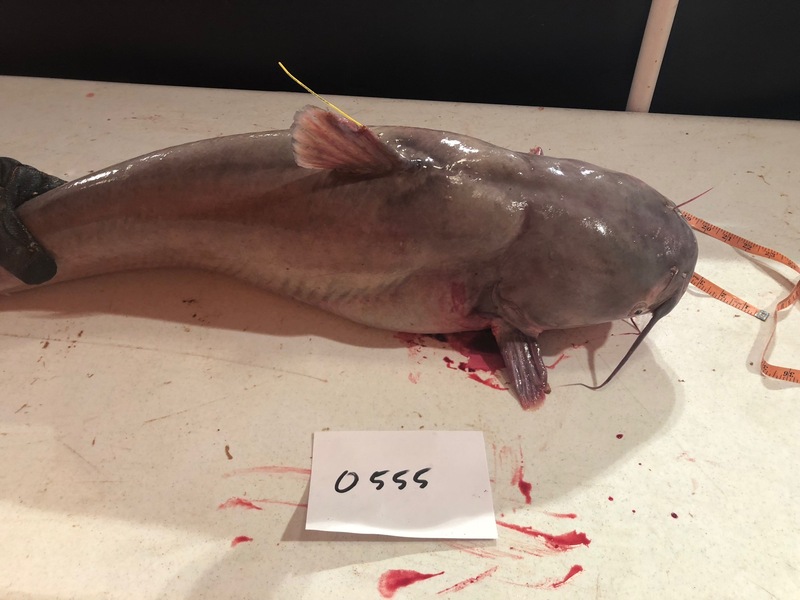 566 Louis Parker parkerlouiscindy@sbcglobal.net Blue Catfish 2018-12-10 14.09 30 20 Lake Conroe Released Jug/Noodle Water temp 58.0 degrees on cut gizzard shad. 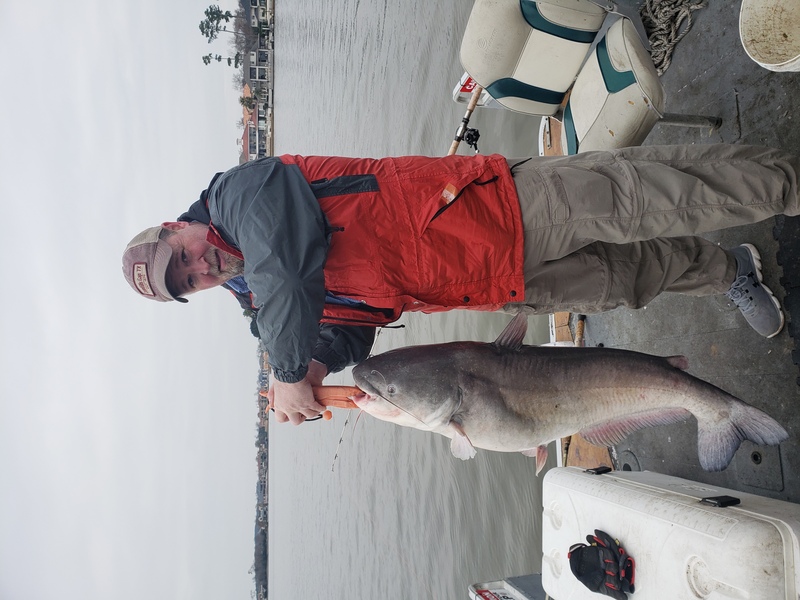 557 Louis Parker parkerlouiscindy@sbcglobal.net Blue Catfish 2018-12-10 10:00 29 18 Lake Conroe Released Jug/Noodle Water temp 58.0 degrees on cut gizzard shad. 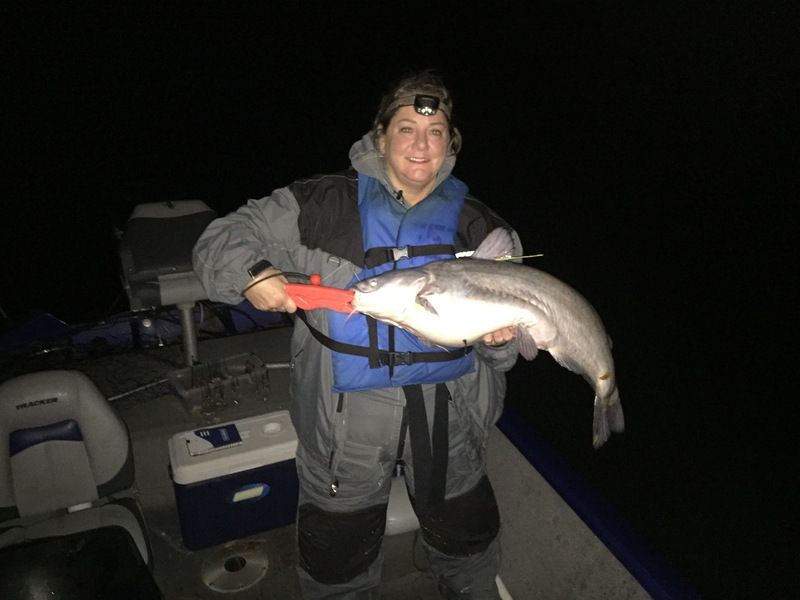 1707 Patrica Sullivan rodney@brazosnet.com Blue Catfish 2018-12-09 16.3 33 20.5 Hubbard Creek Lake Released Rod and Reel Water temperature 47 degrees on cut shad. 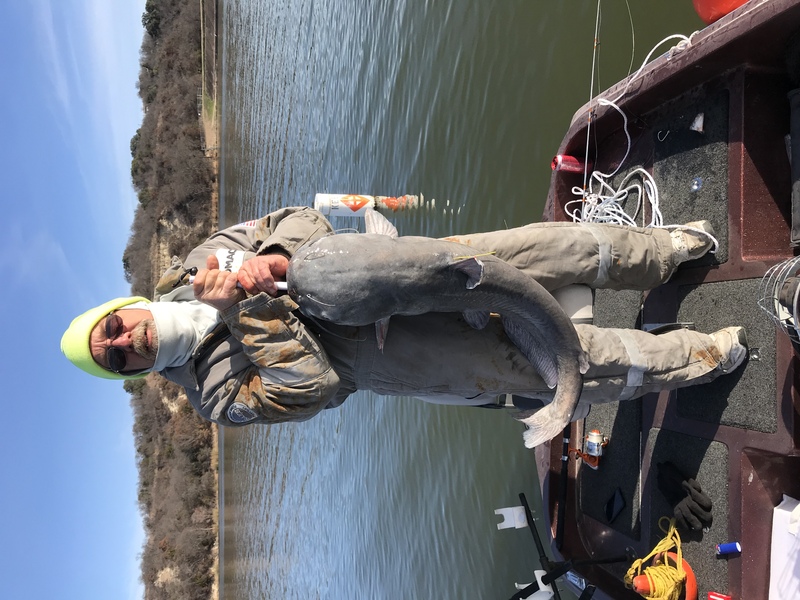 1713 Patrica Sullivan rodney@brazosnet.com Blue Catfish 2018-12-09 11.3 31 17.5 Hubbard Creek Lake Released Rod and Reel Water temperature 47 degrees on cut shad. 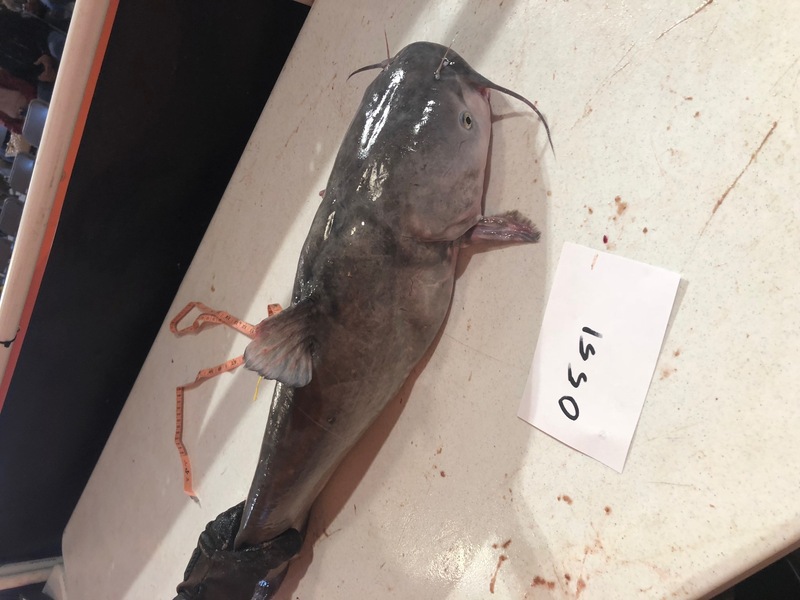 0561 Louis Parker parkerlouiscindy@sbcglobal.net Blue Catfish 2018-12-19 50 44 30 Lake Conroe Released Jug/Noodle Cut gizzard Shad, water temp 59 degrees. 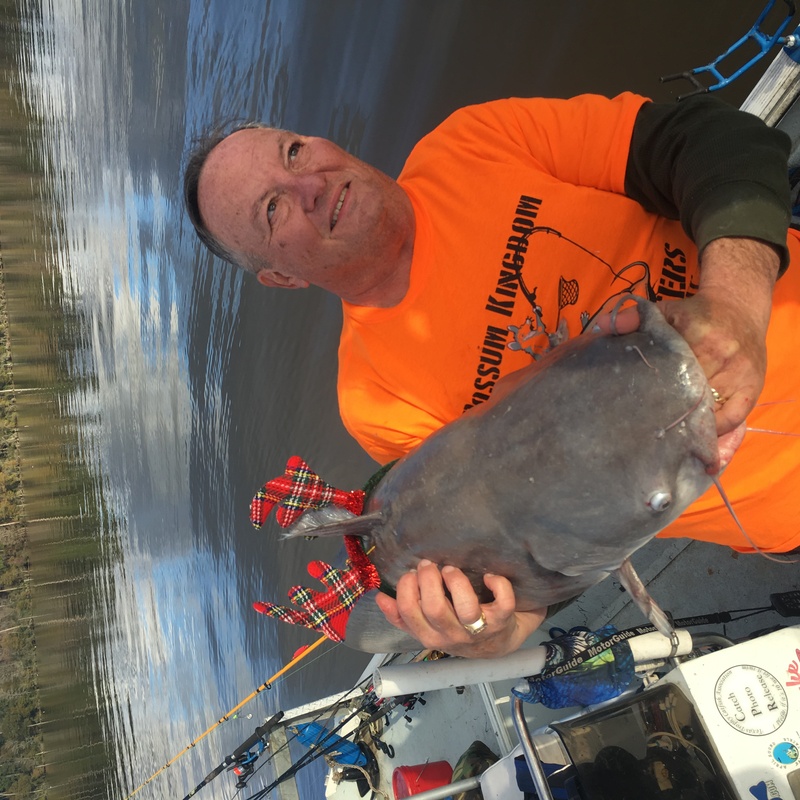 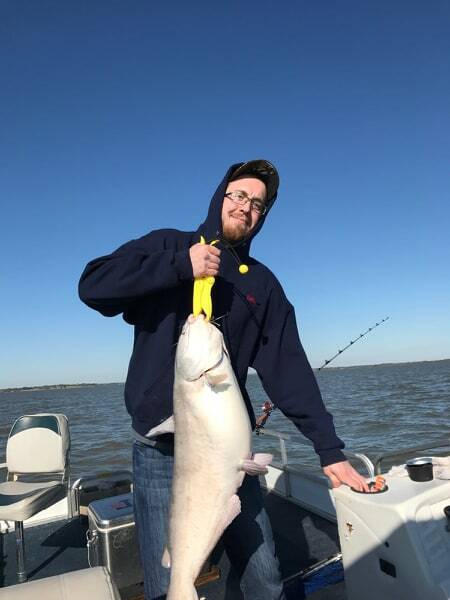 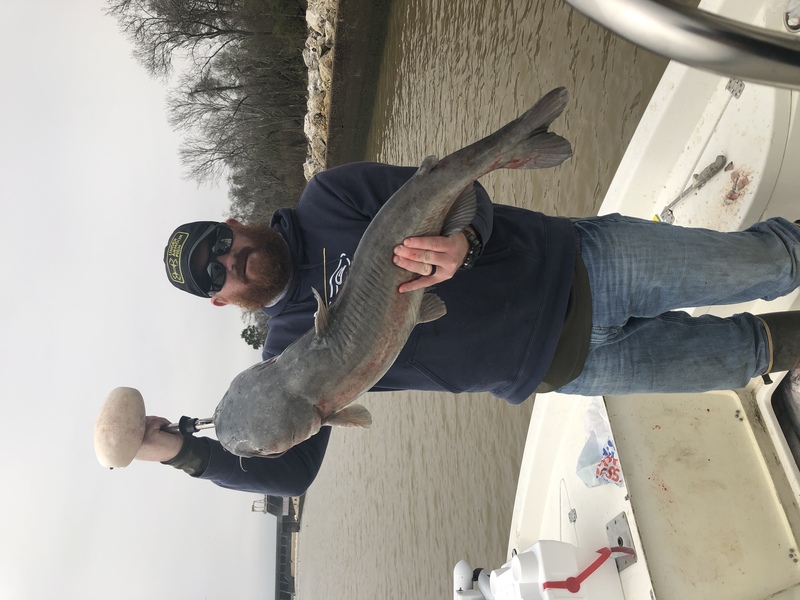 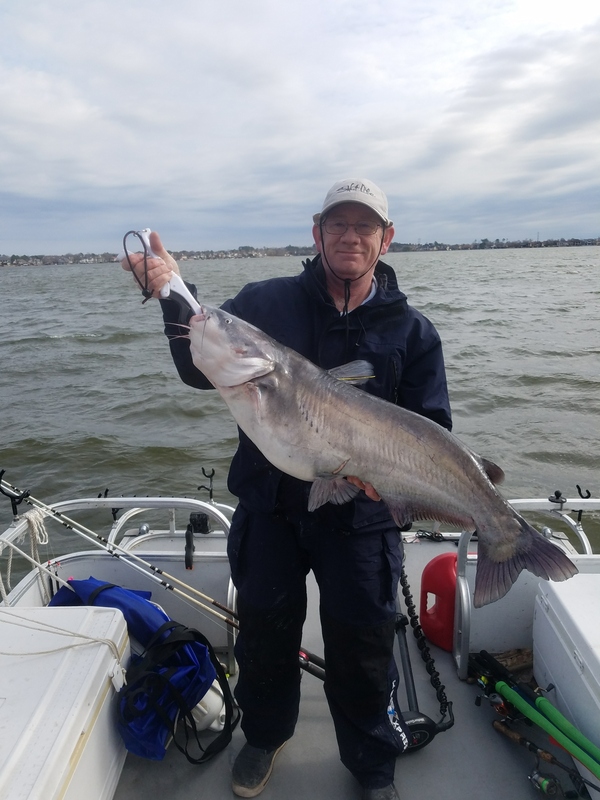 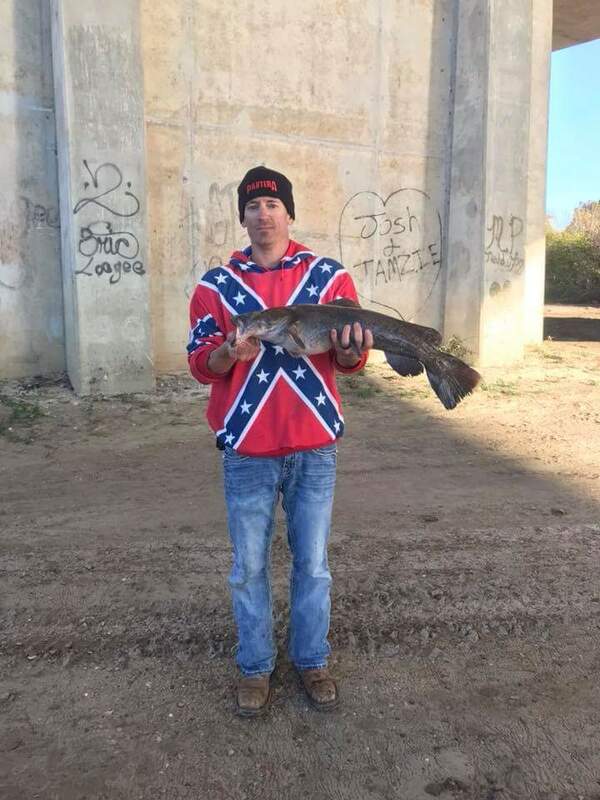 1774 JonMark rodney@brazosnet.com Blue Catfish 2019-01-12 36.6 41 28 Hubbard Creek Lake Released Rod and Reel Muddy water, 44 degrees water temp. 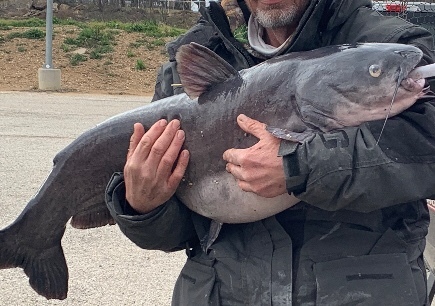 1714 Patrica Sullivan rodney@brazosnet.com Blue Catfish 2019-01-20 20.9 37 23 Hubbard Creek Lake Released Rod and Reel Water clear and 46 degrees, 4 feet deep on cut shad. 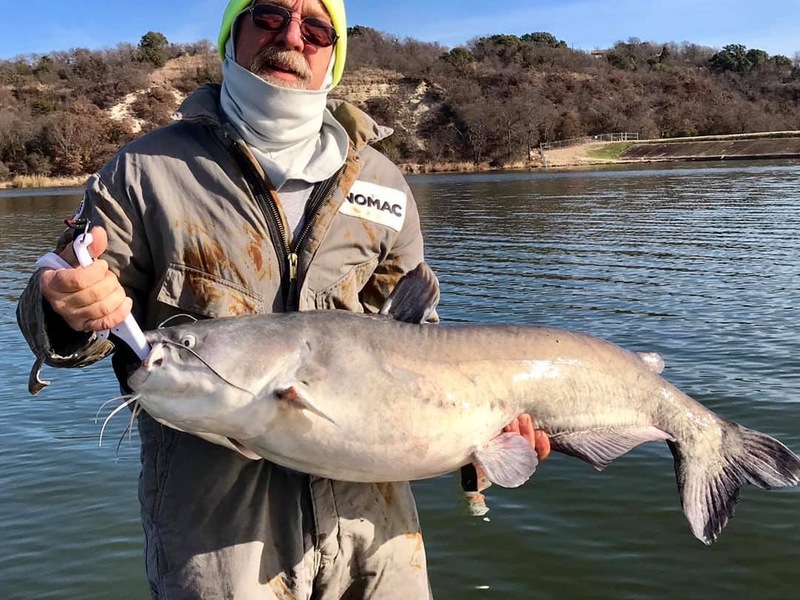 1704 Rod Sullivan rodney@brazosnet.com Blue Catfish 2019-01-20 22.3 38 23 Hubbard Creek Lake Released Rod and Reel Water clear and 46 degrees, 4 feet deep on cut shad. 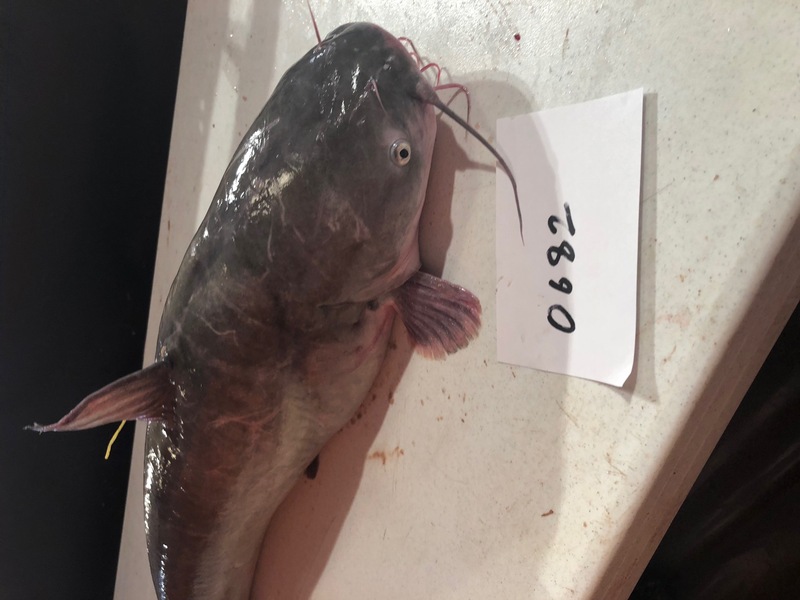 0355 Stephen Baxter stephenbaxter1060@gmail.com Blue Catfish 2019-01-20 39.14 44 1/2 Lake Worth Released Rod and Reel Shad cut bait. 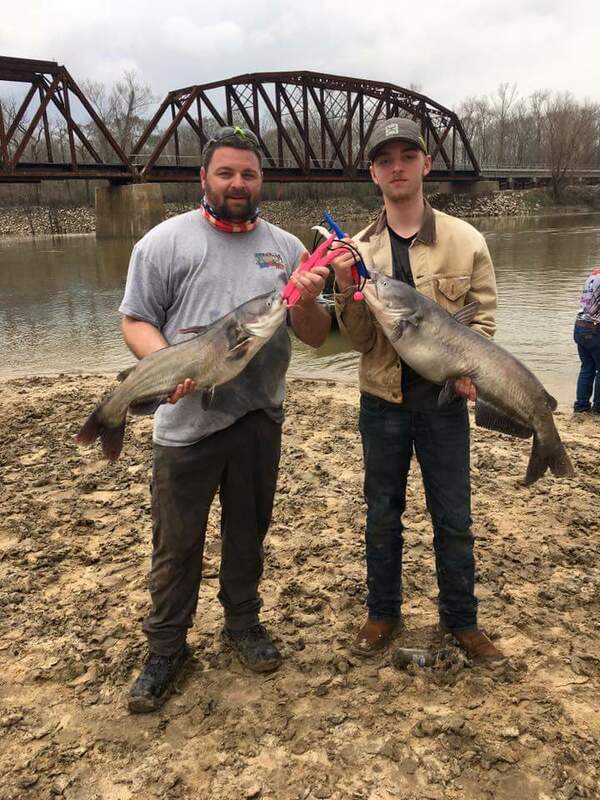 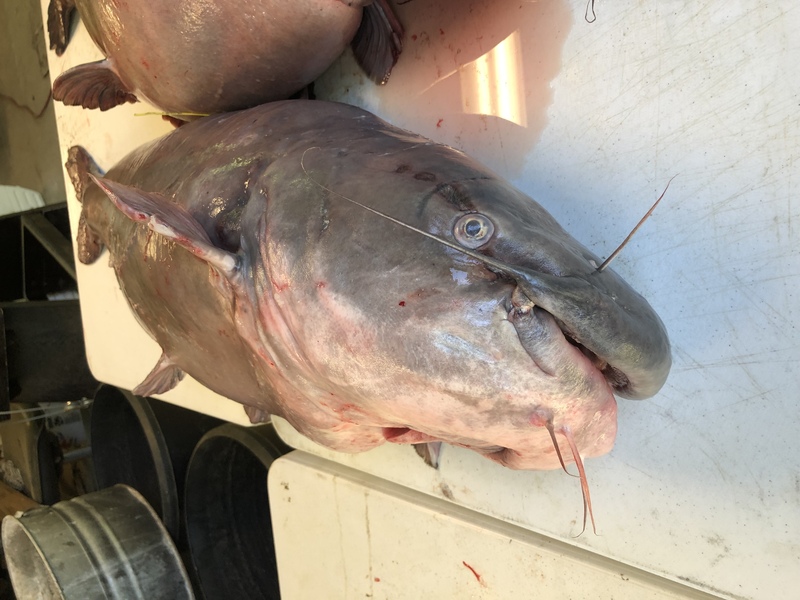 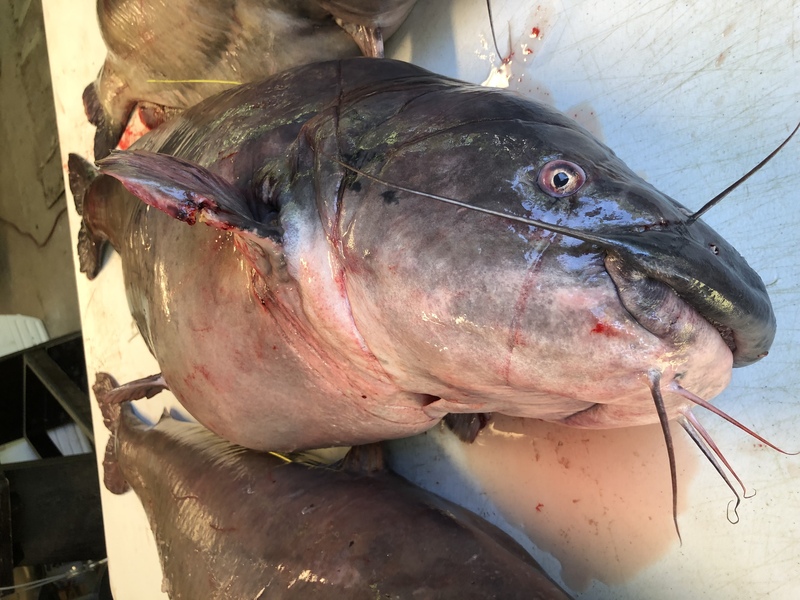 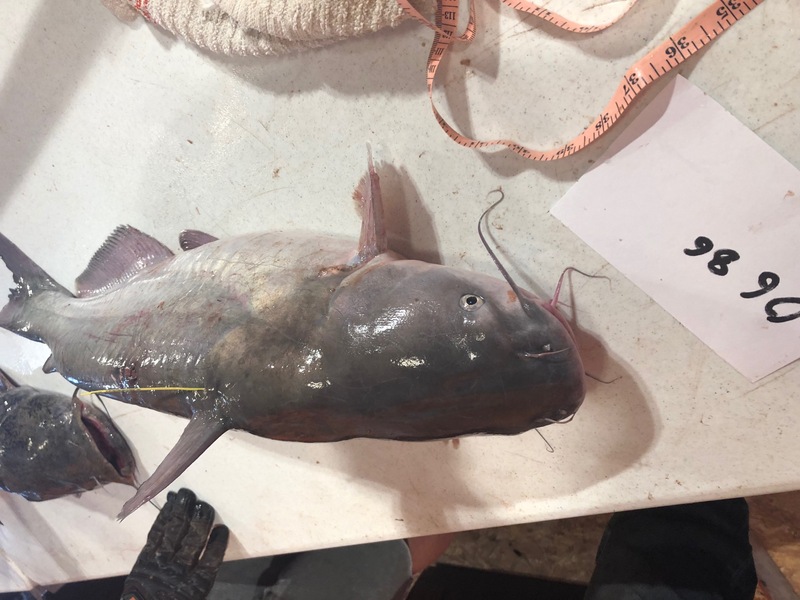 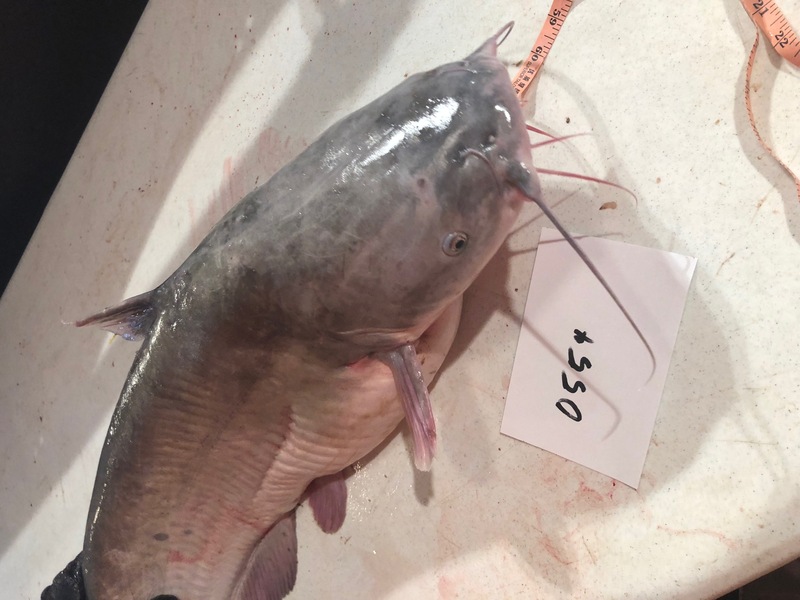 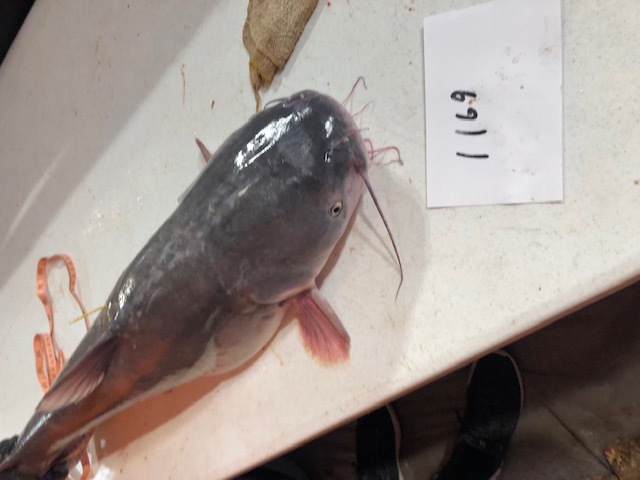 1703 Big Country Catfish Trail rodney@brazosnet.com Blue Catfish 2019-02-03 27.7 38 23 O H Ivie Reservoir Released Rod and Reel Cut shad, water temp 54, 21 feet deep, clear. 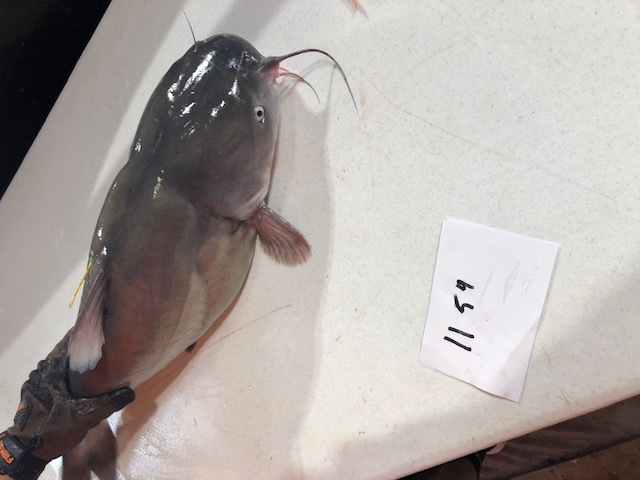 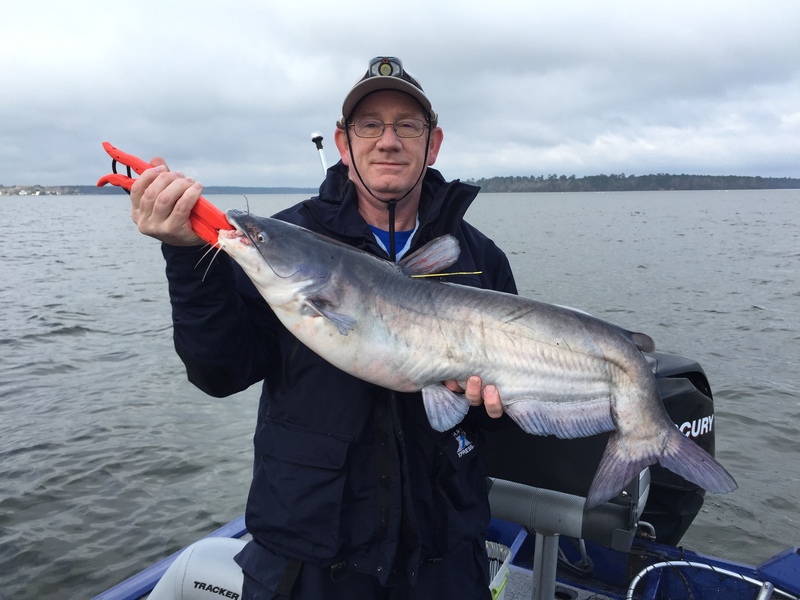 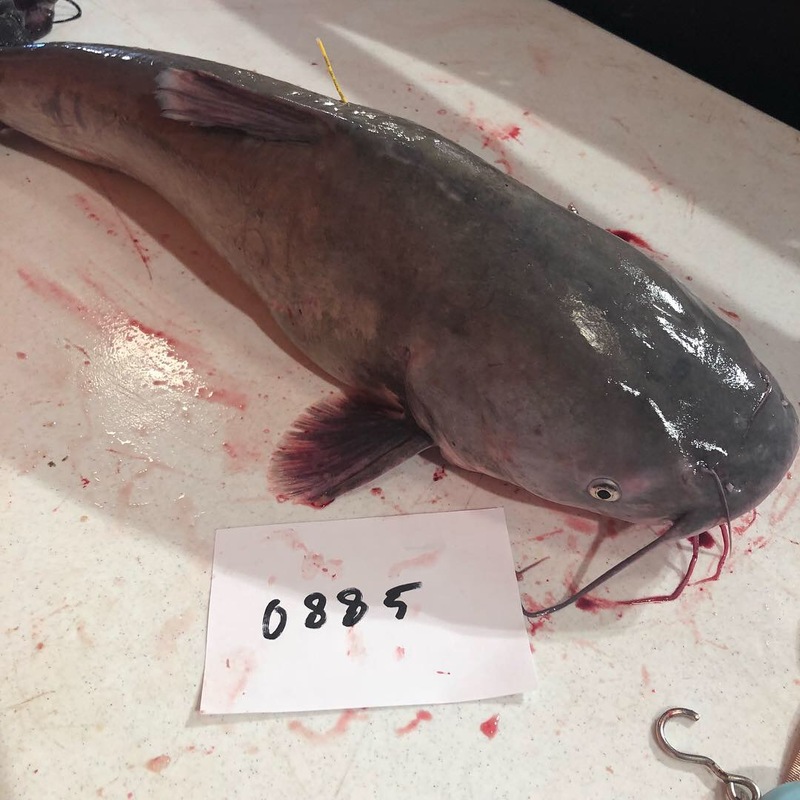 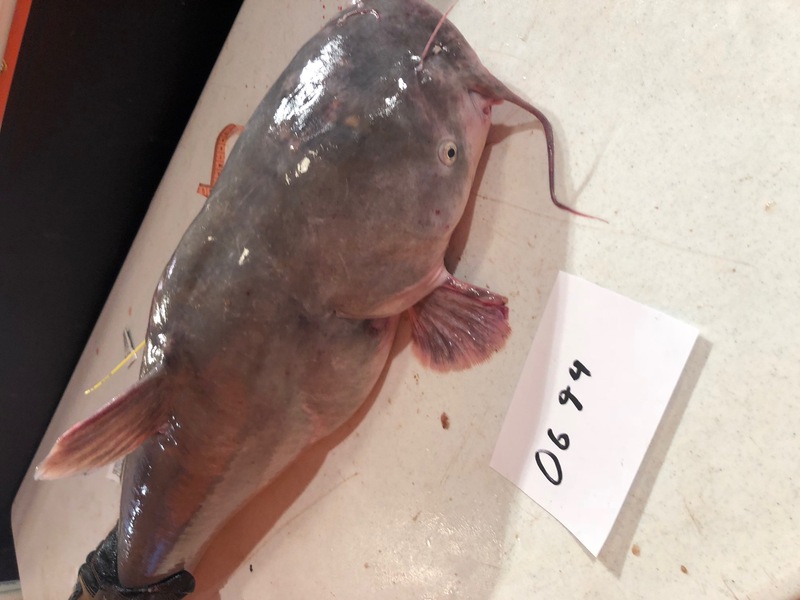 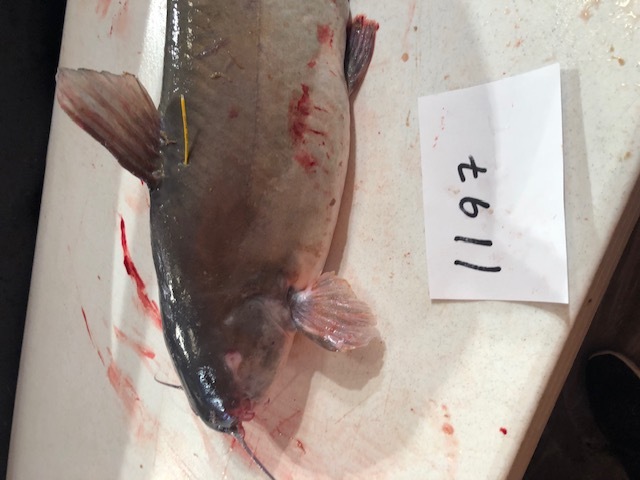 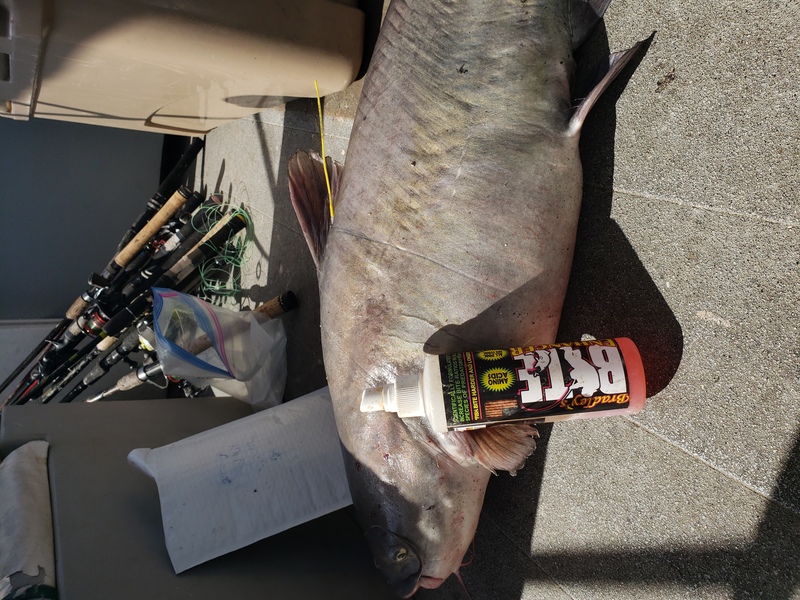 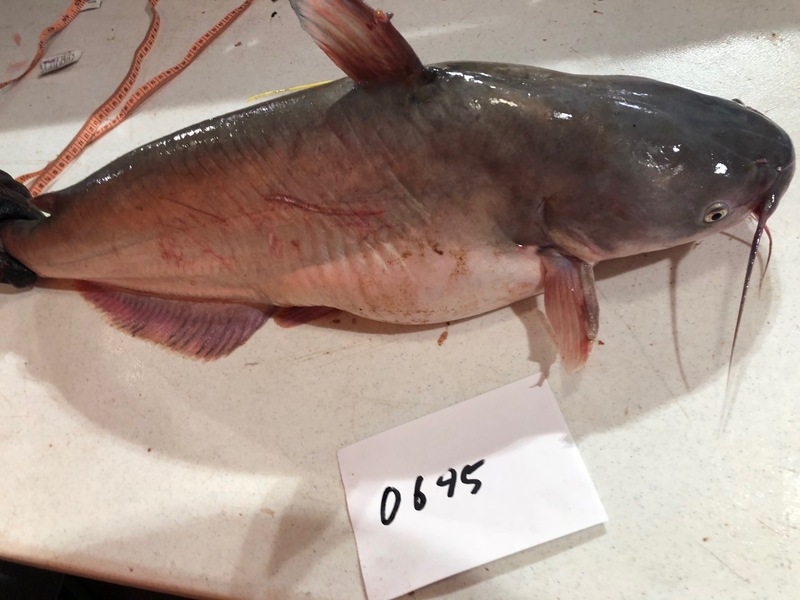 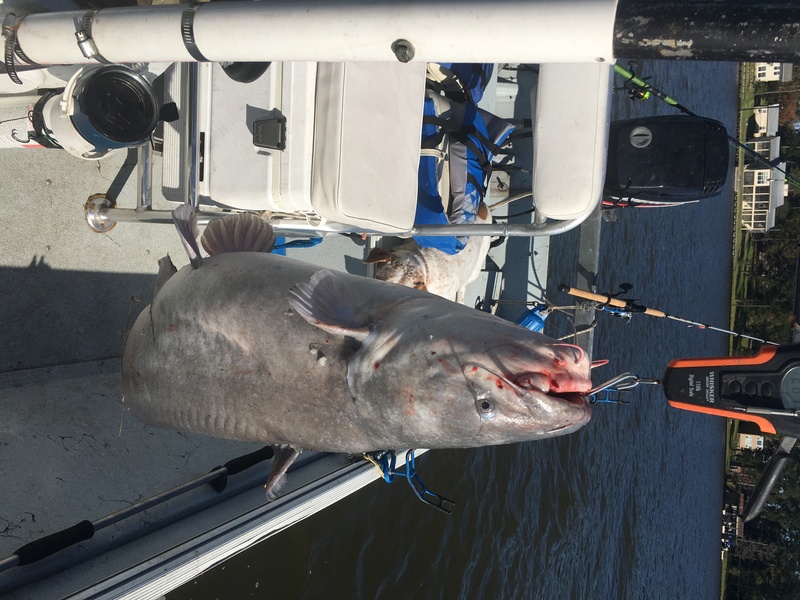 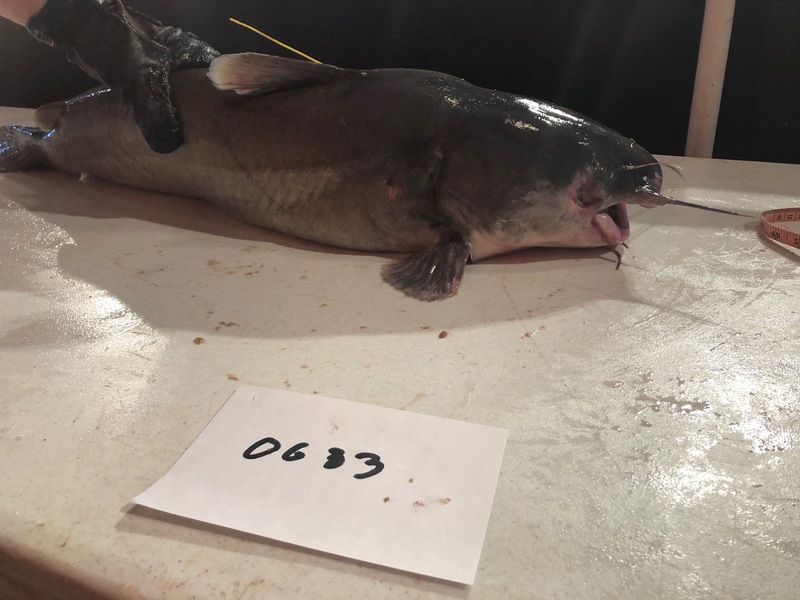 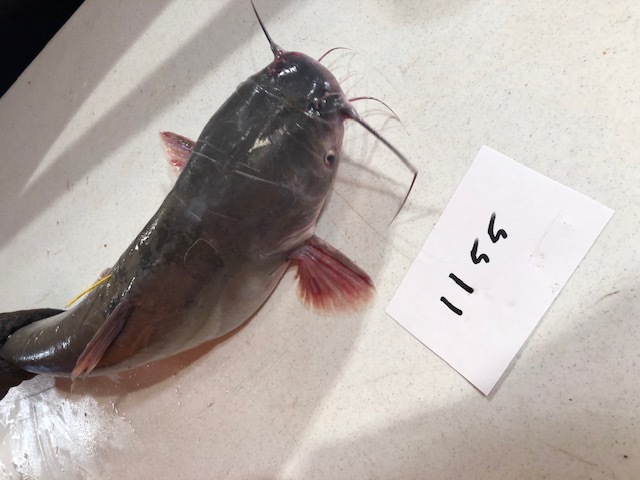 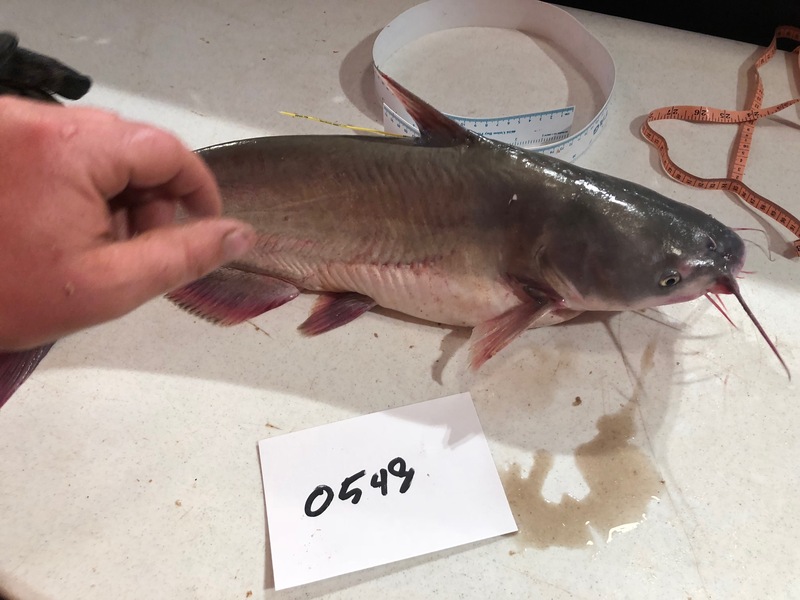 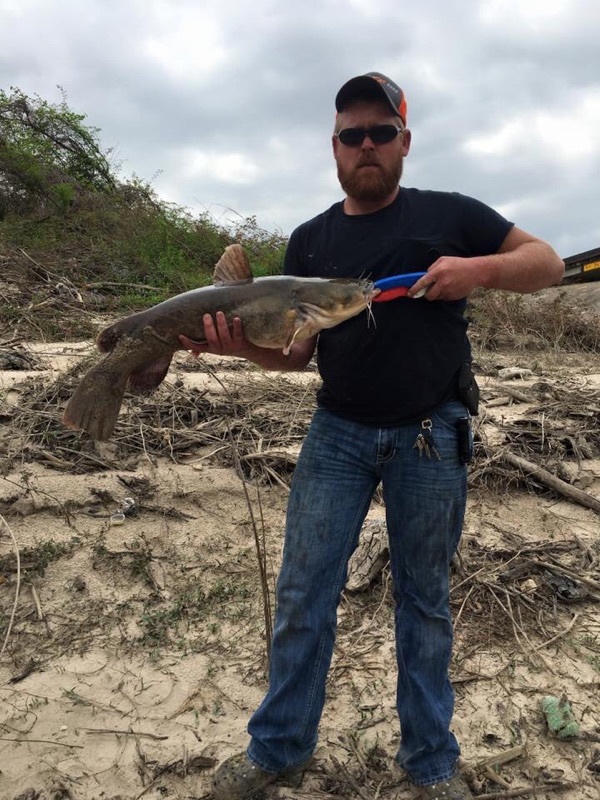 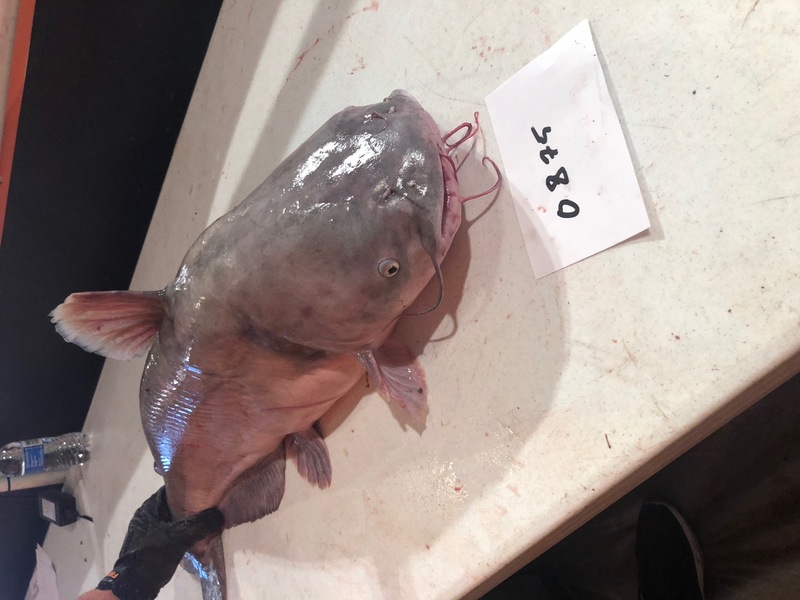 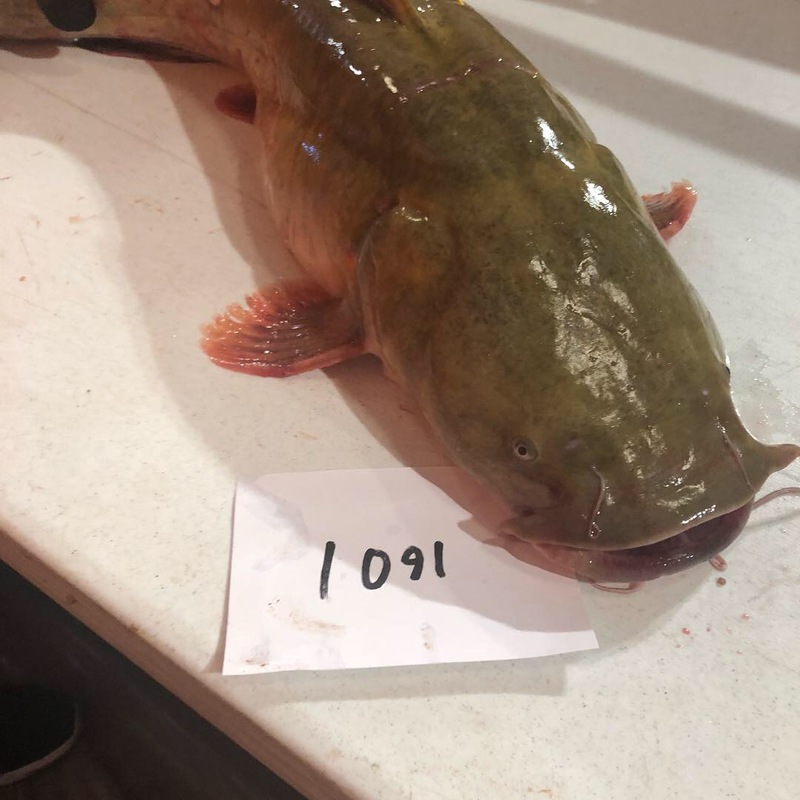 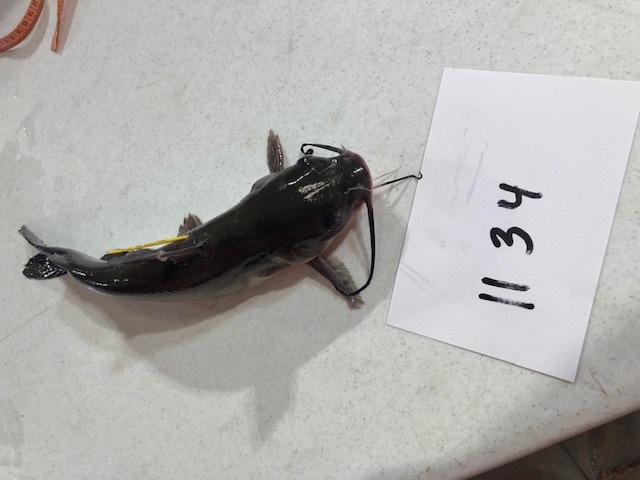 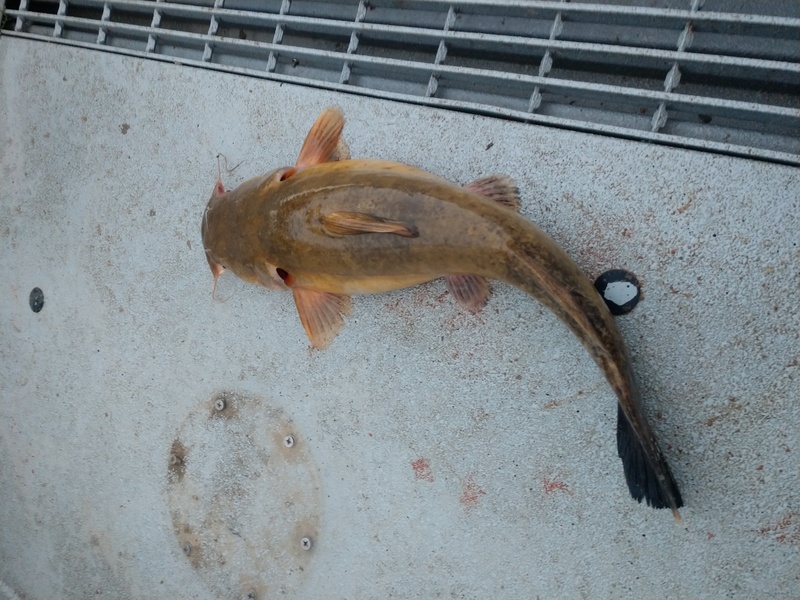 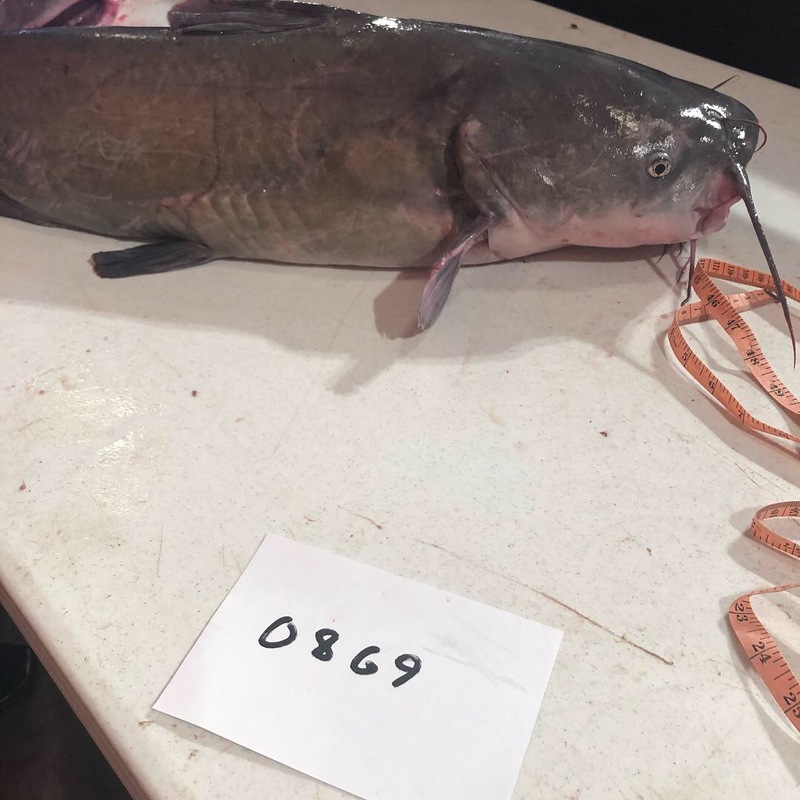 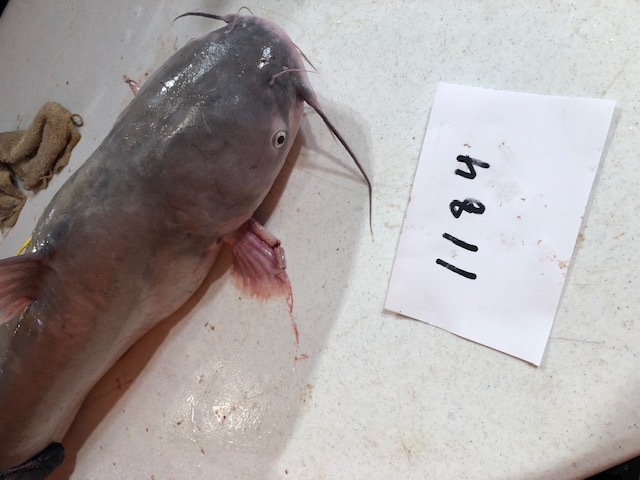 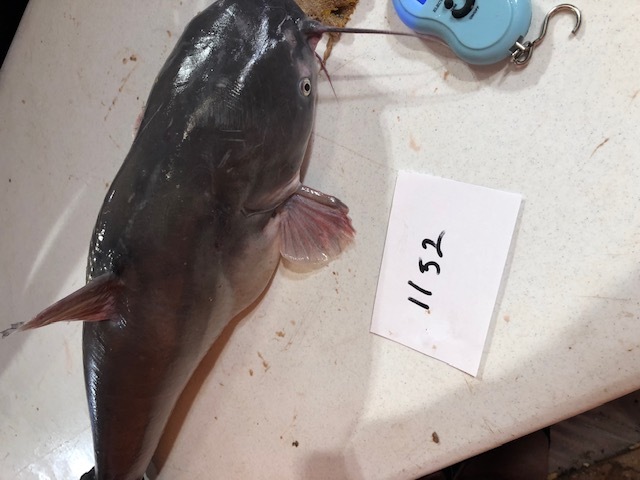 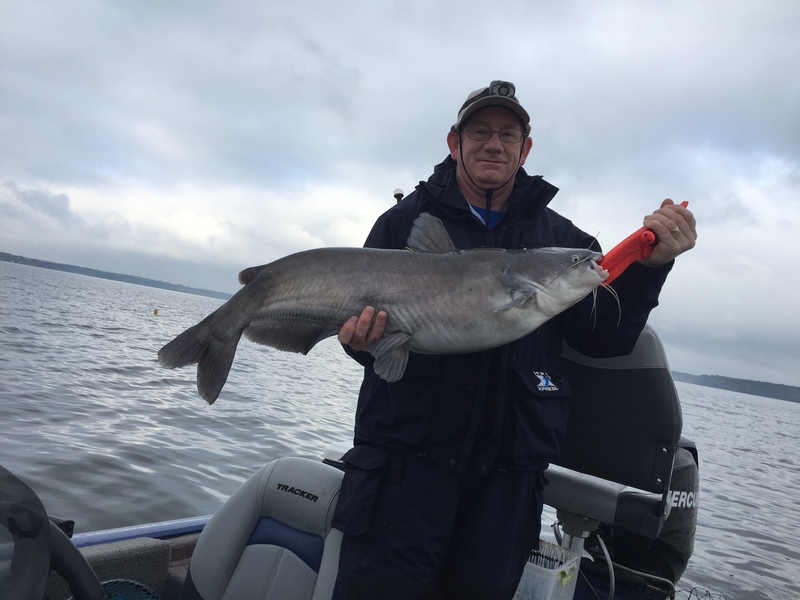 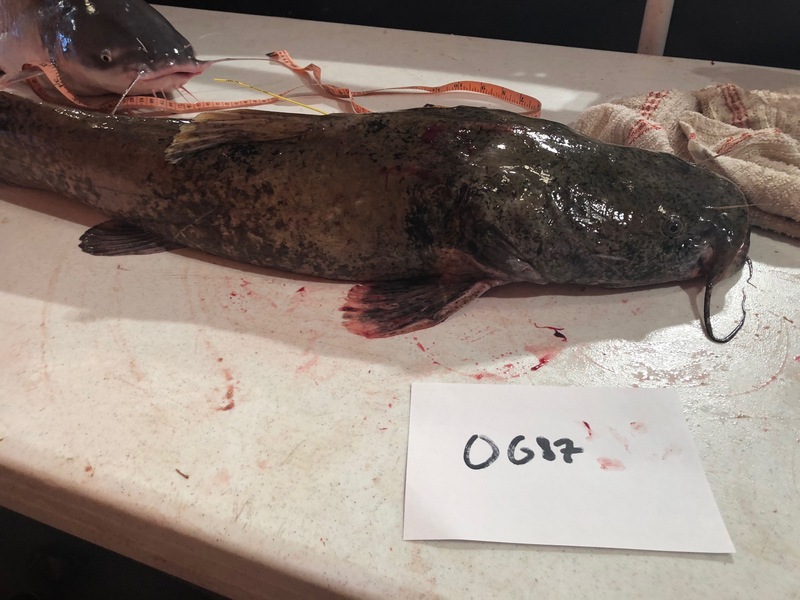 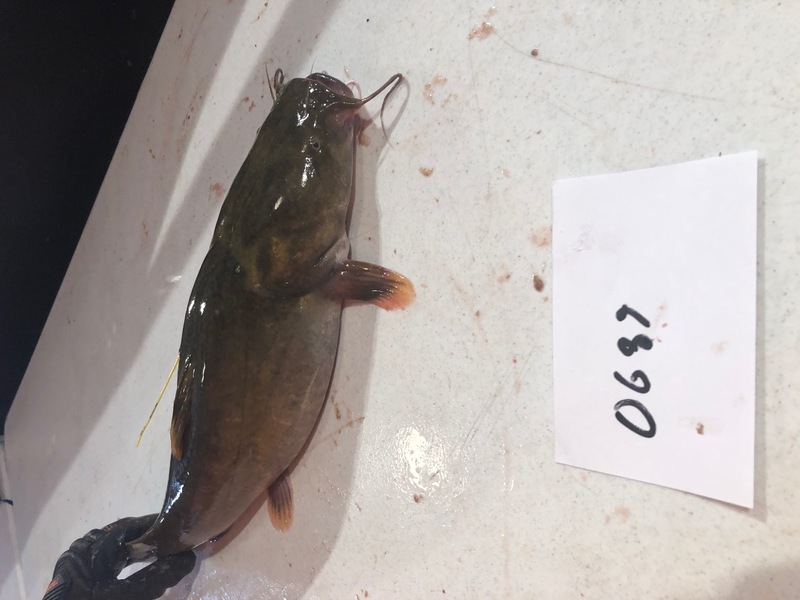 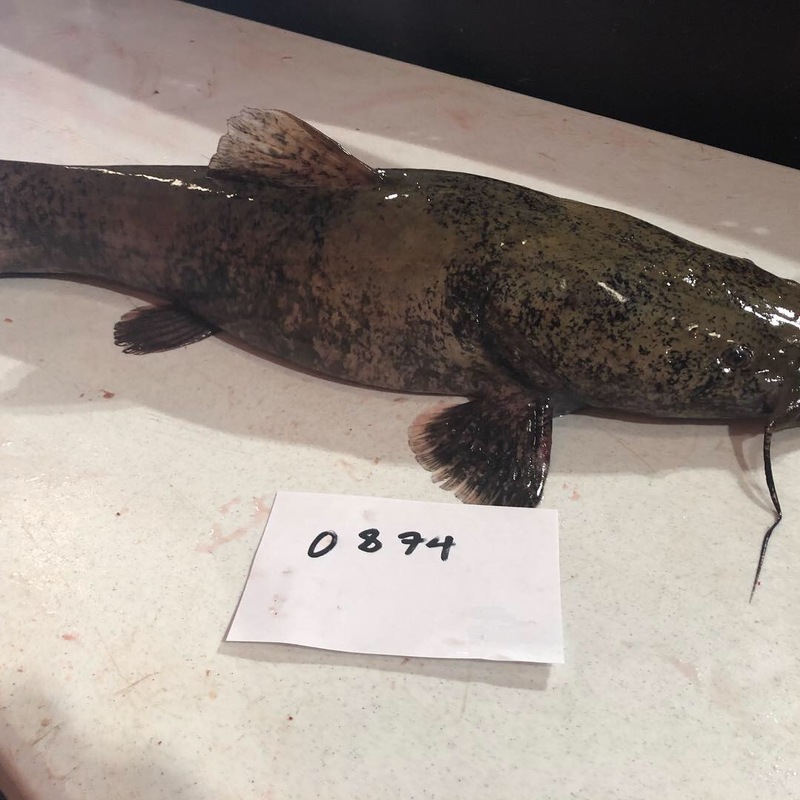 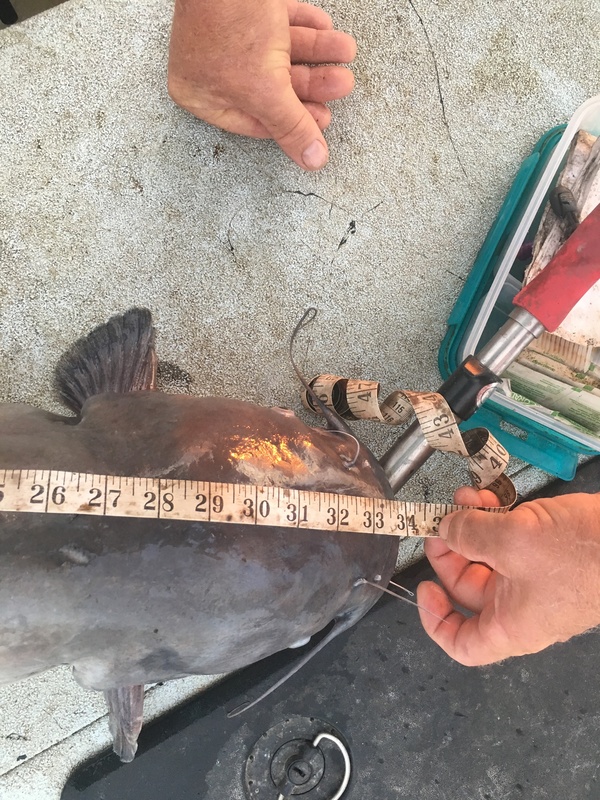 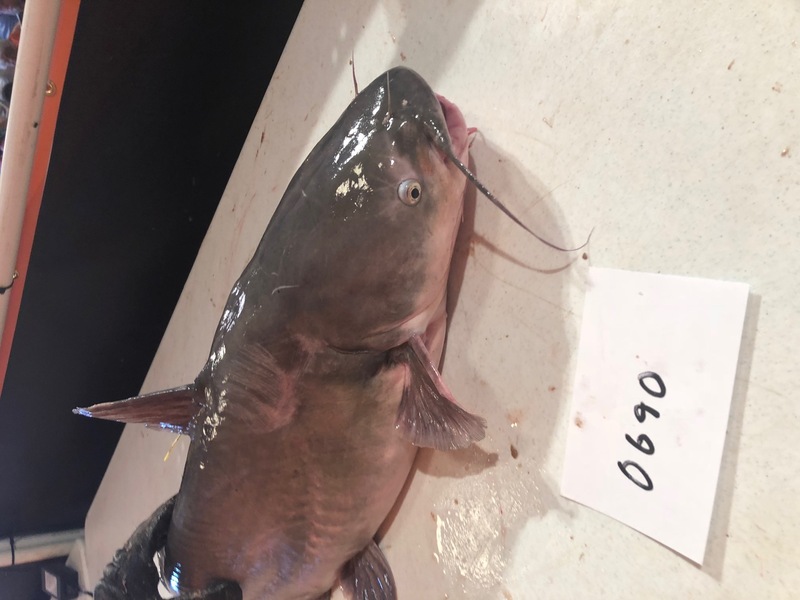 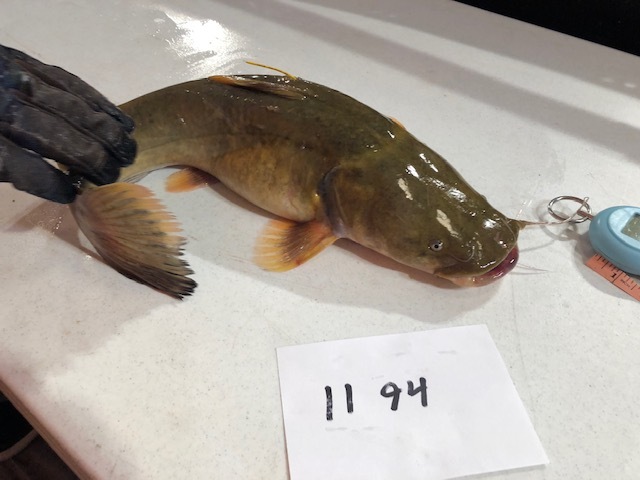 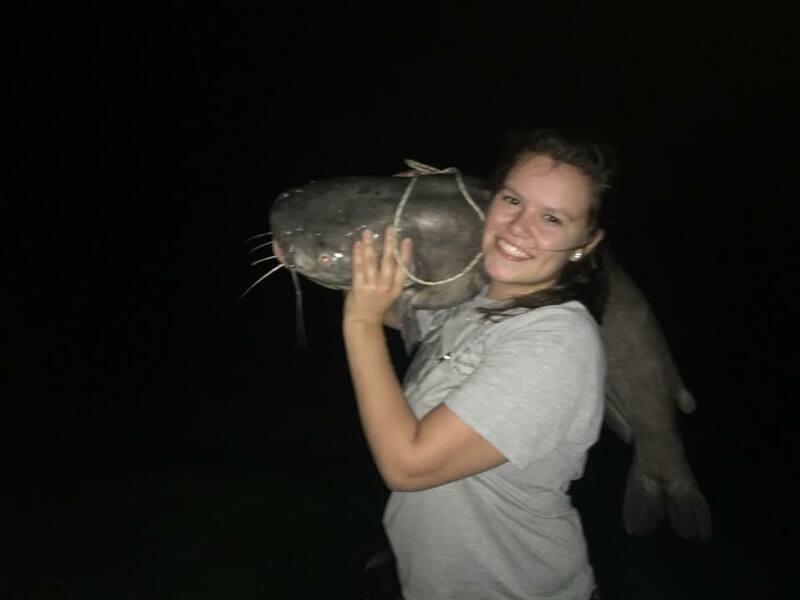 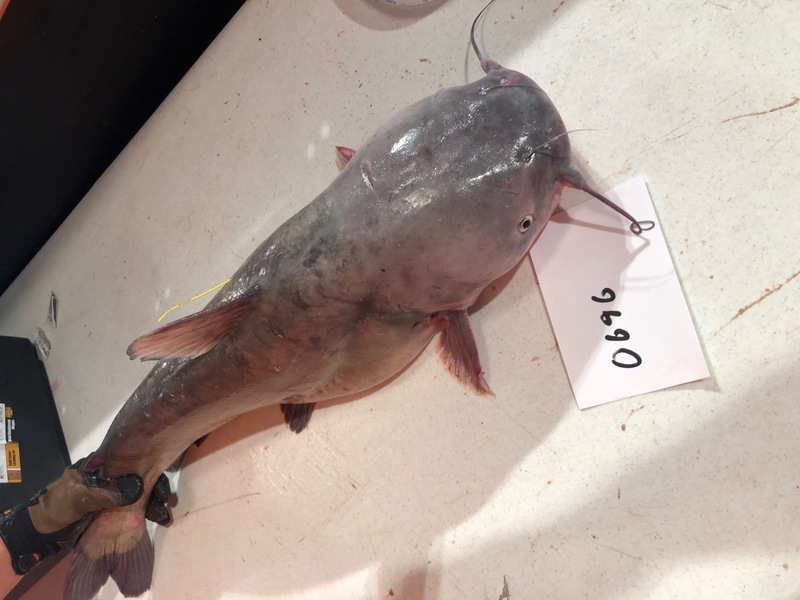 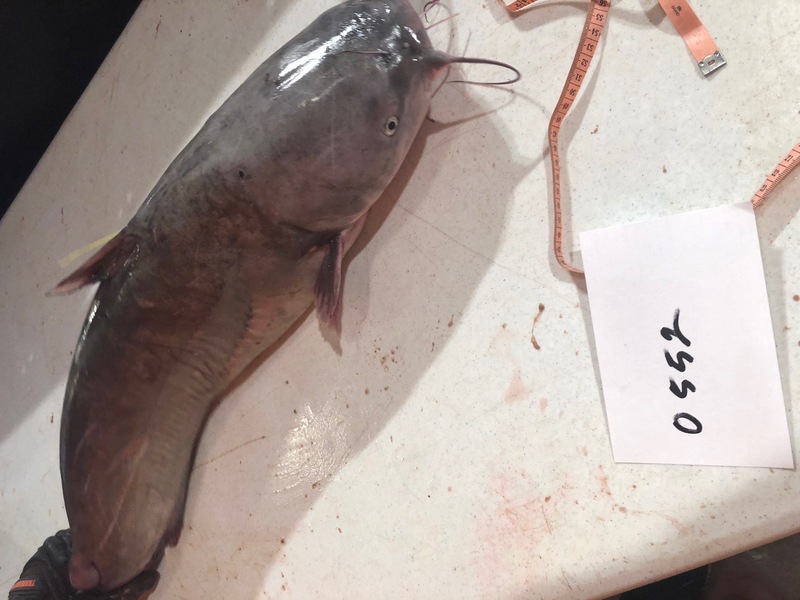 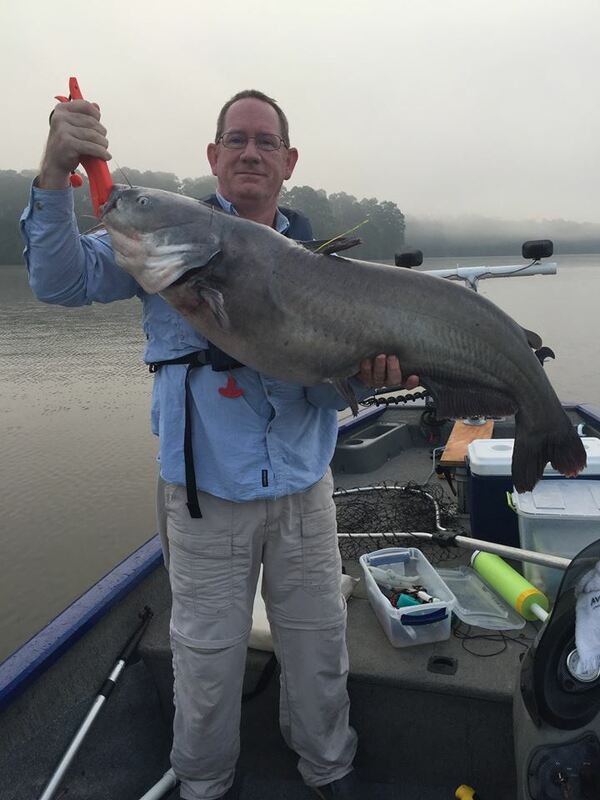 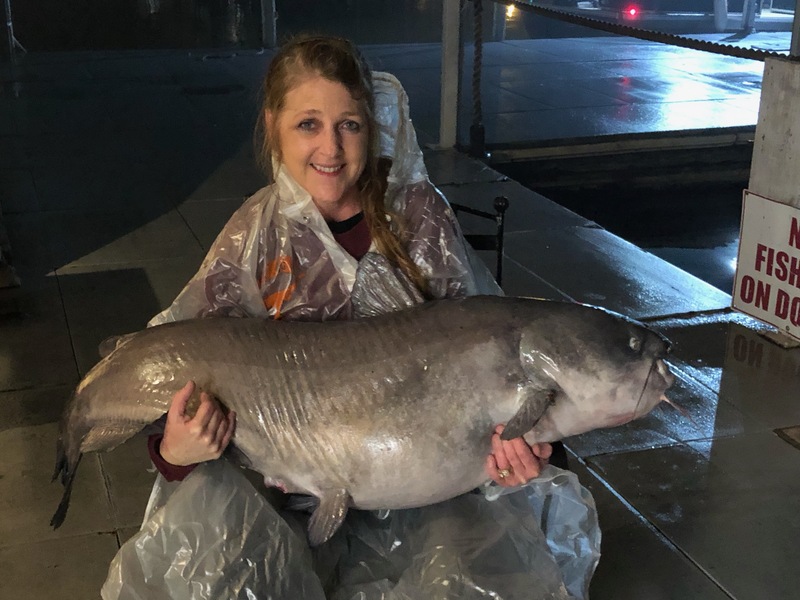 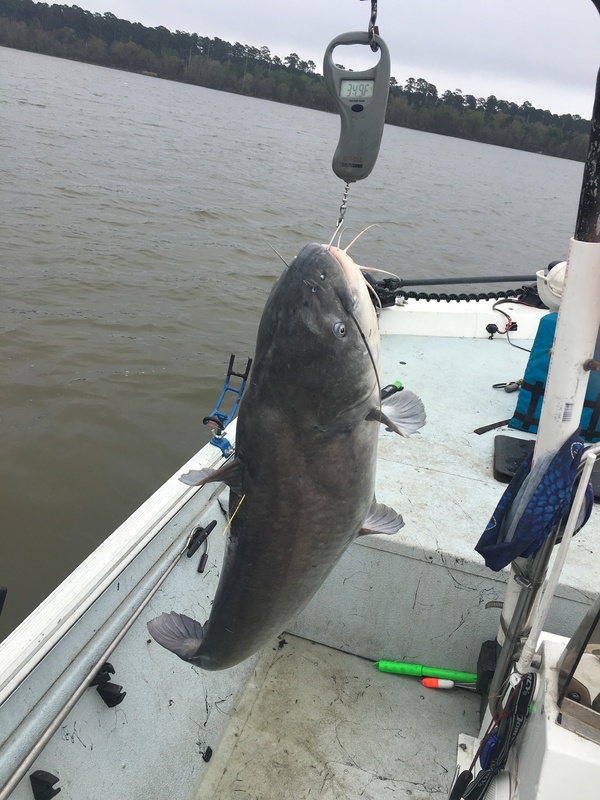 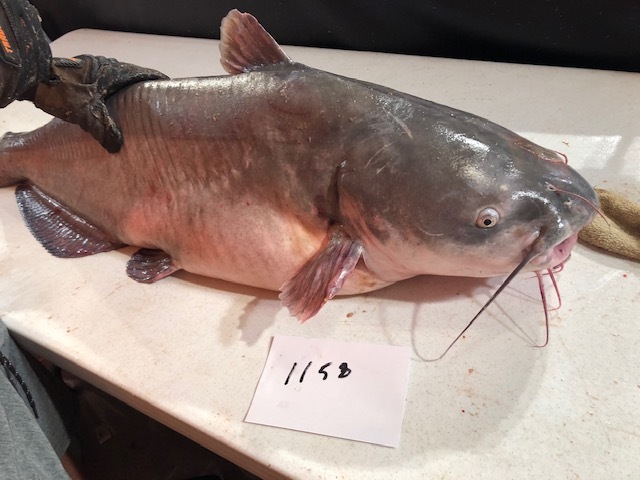 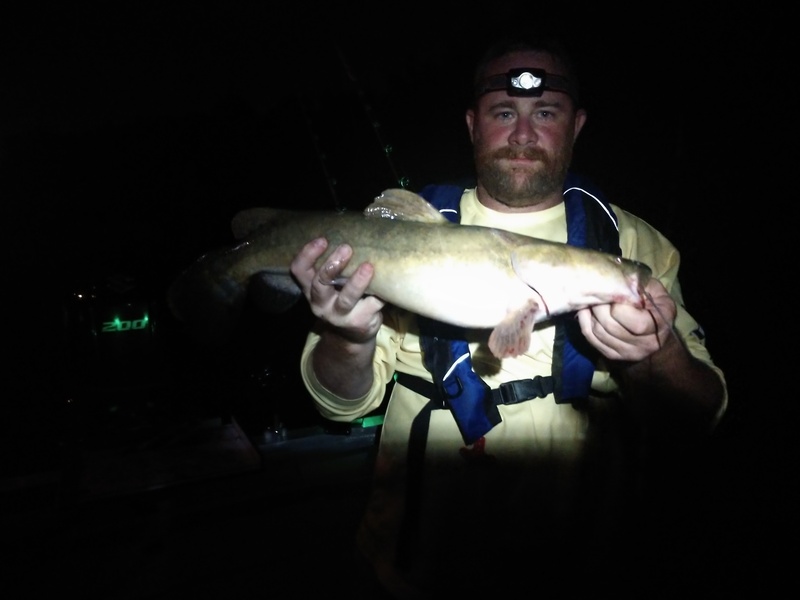 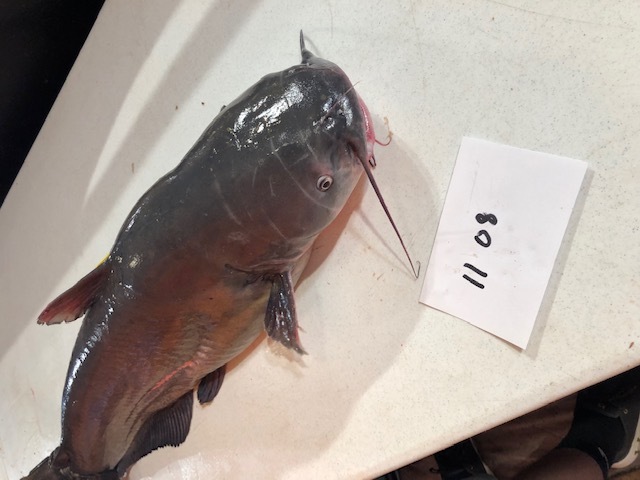 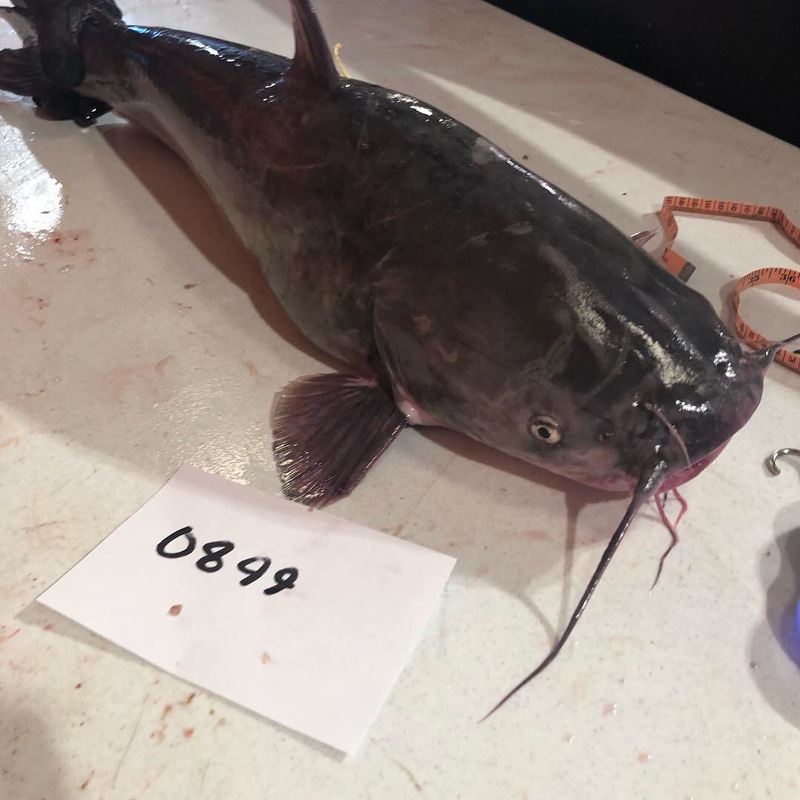 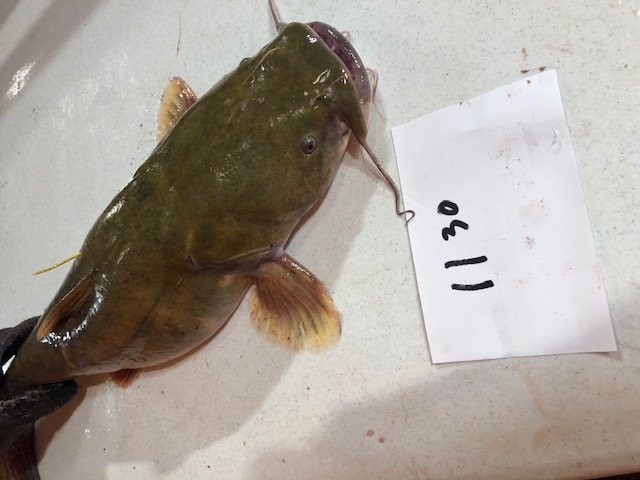 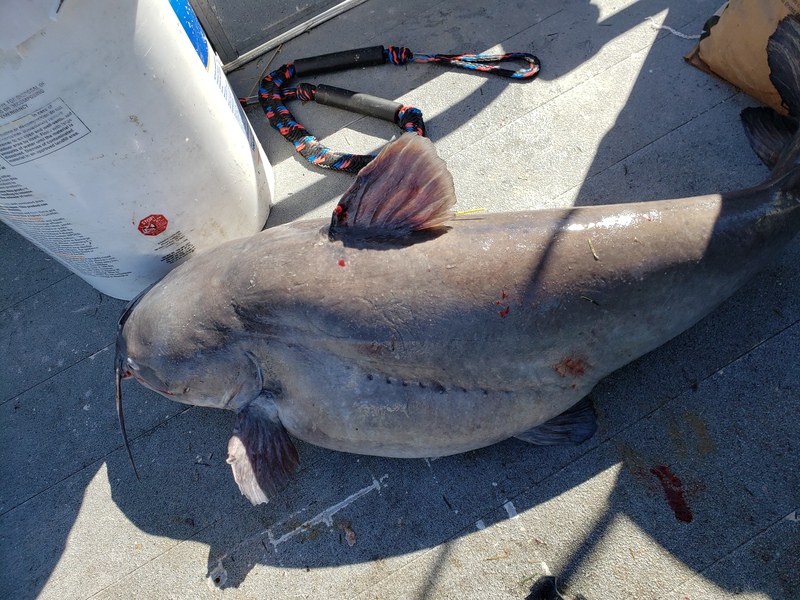 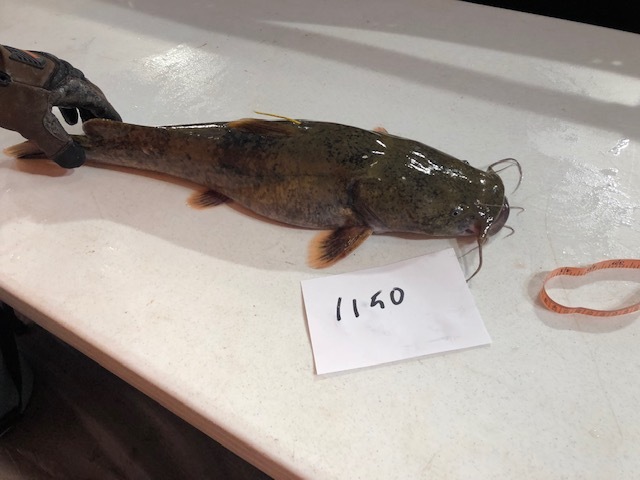 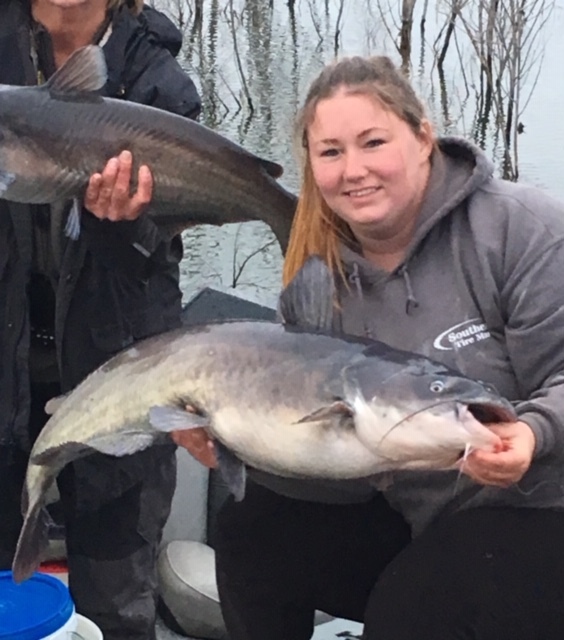 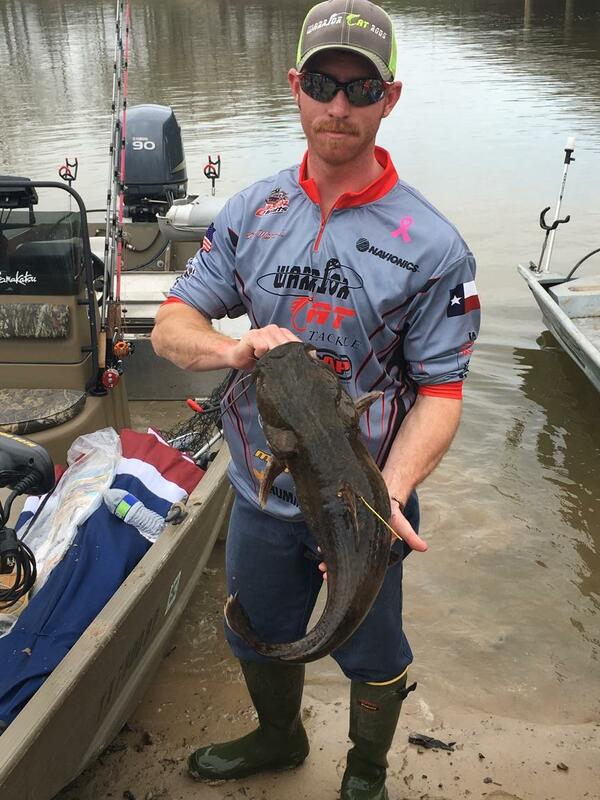 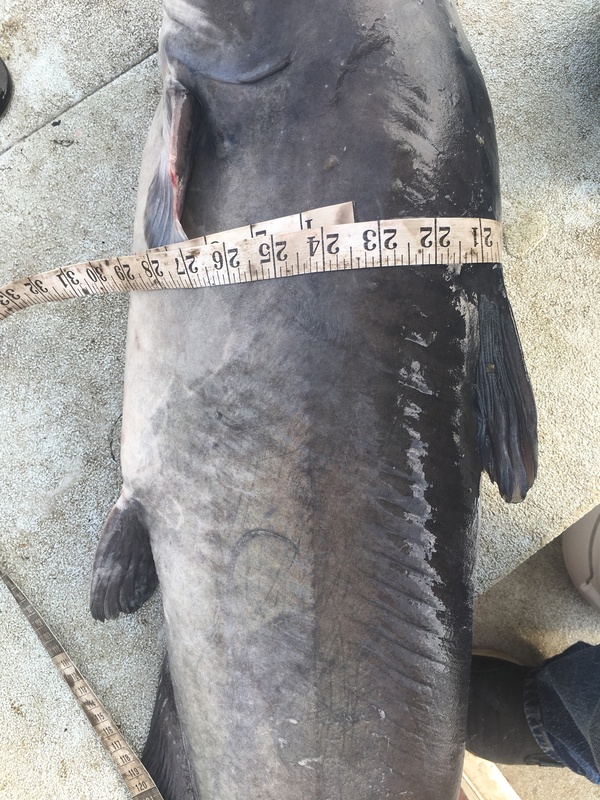 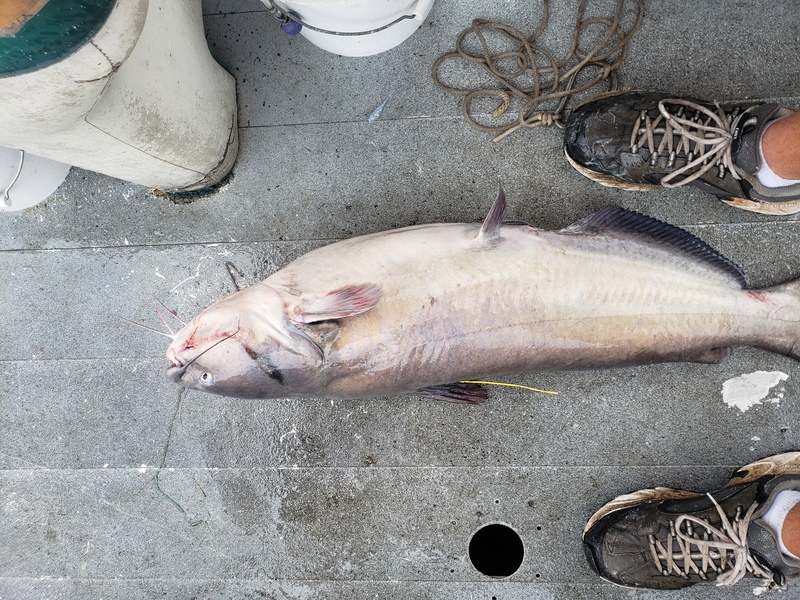 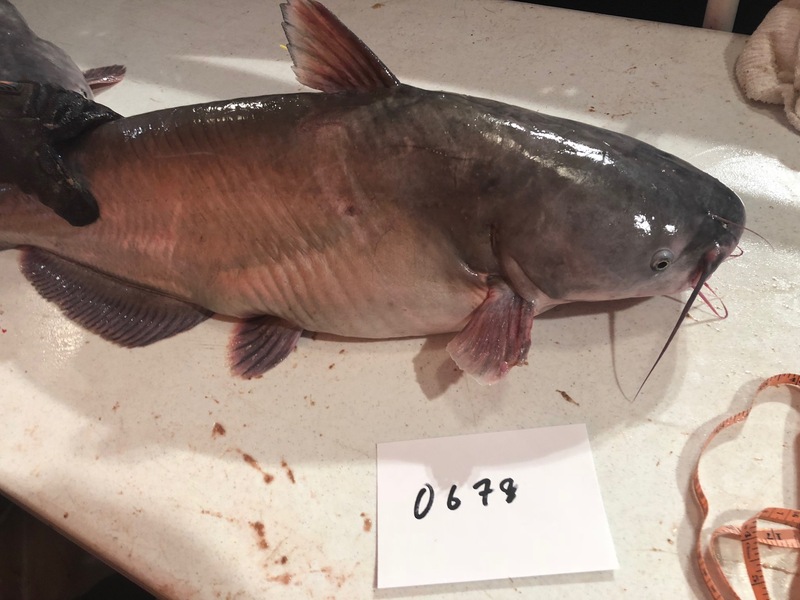 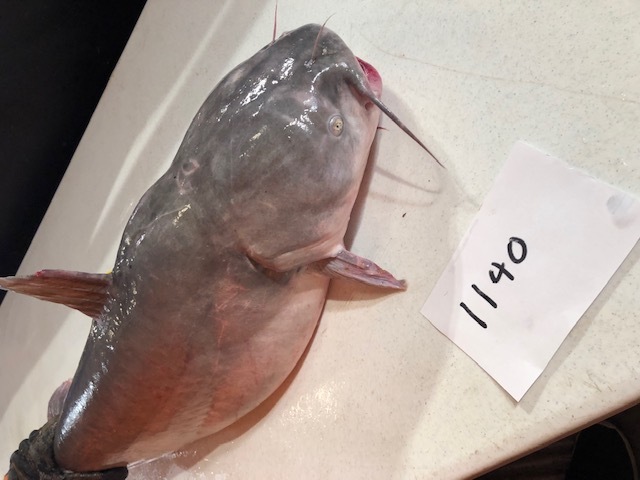 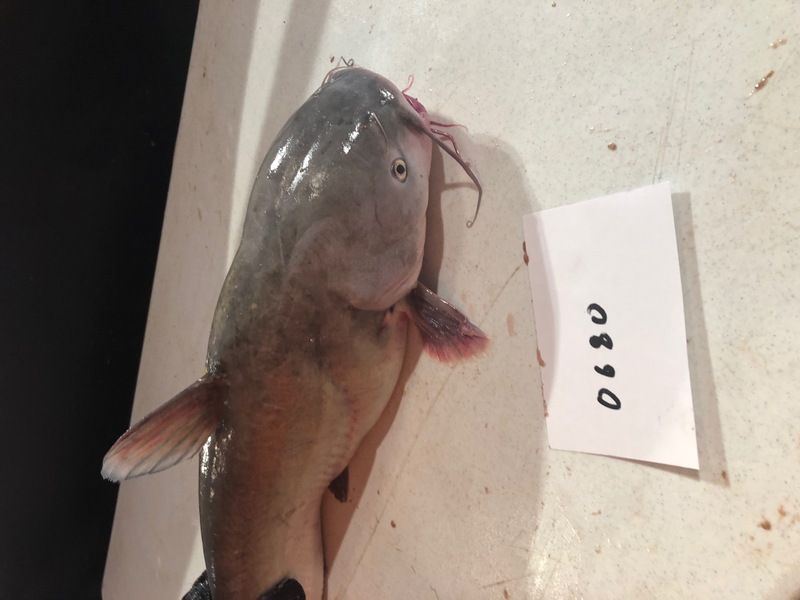 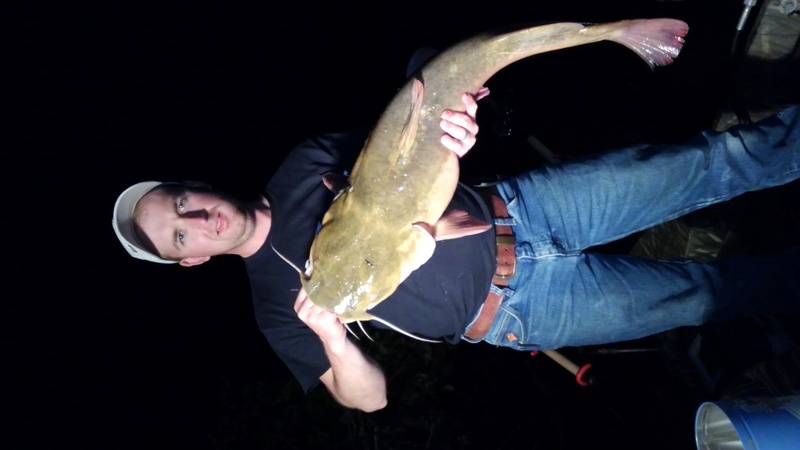 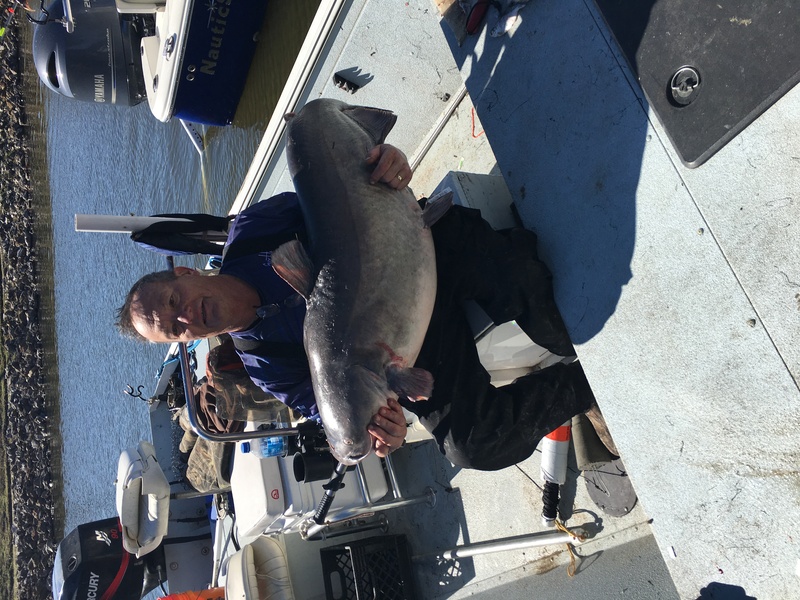 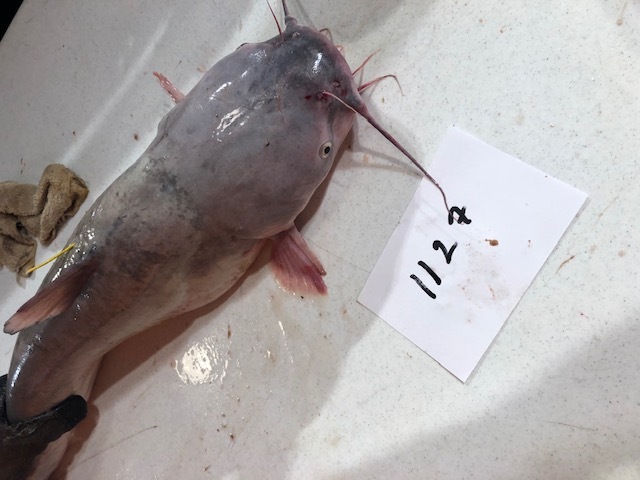 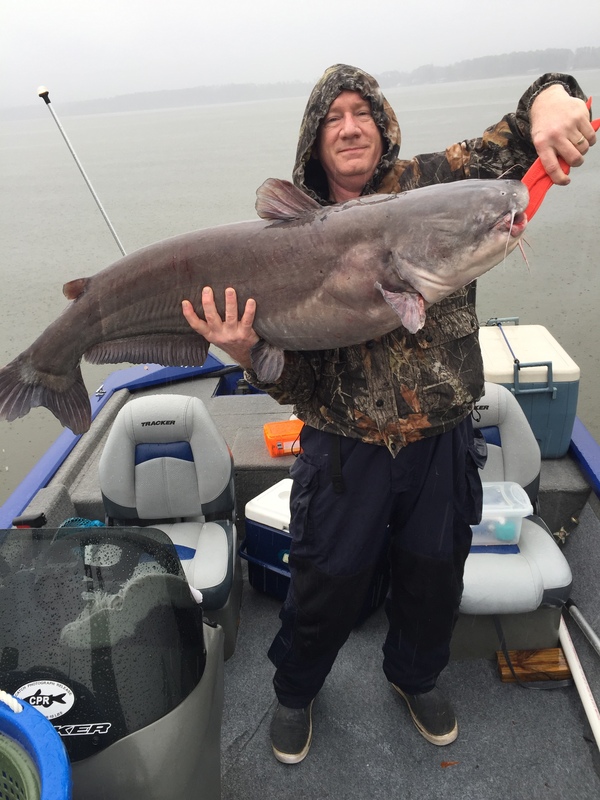 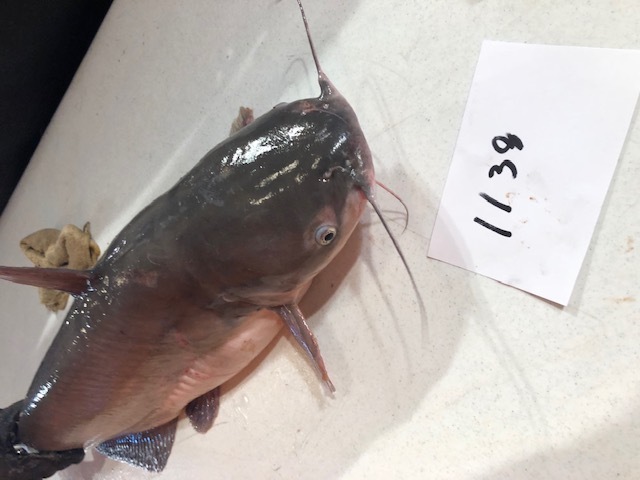 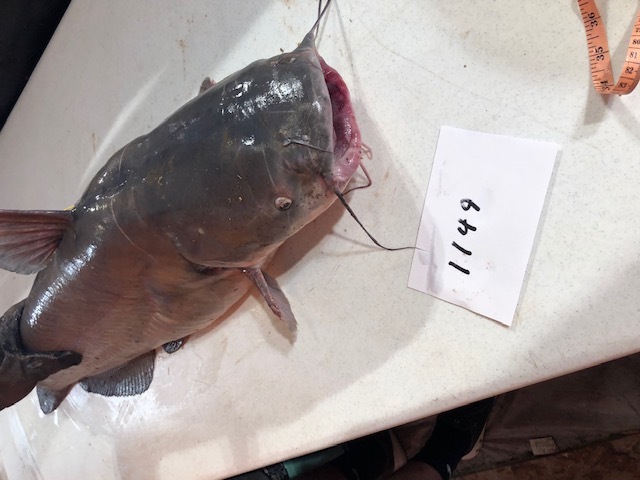 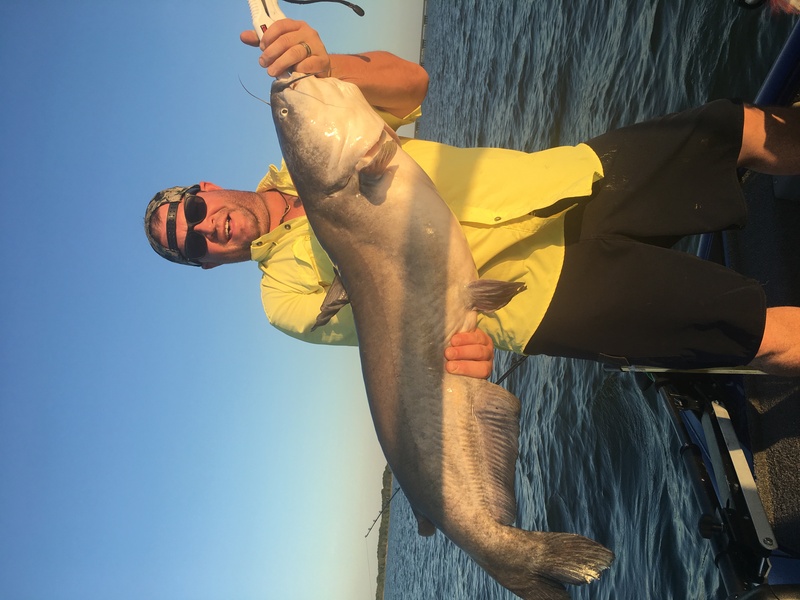 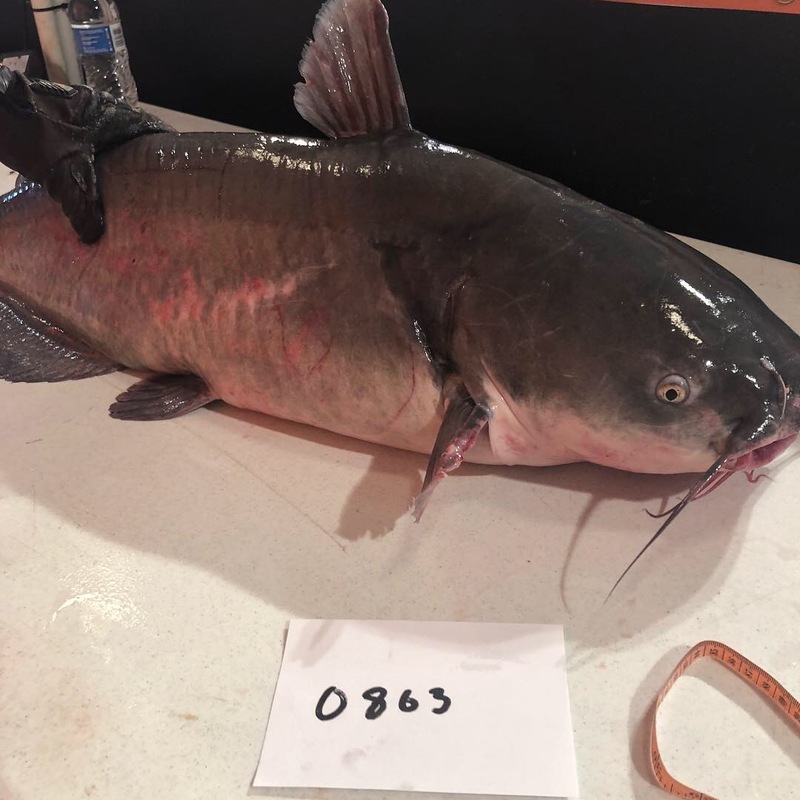 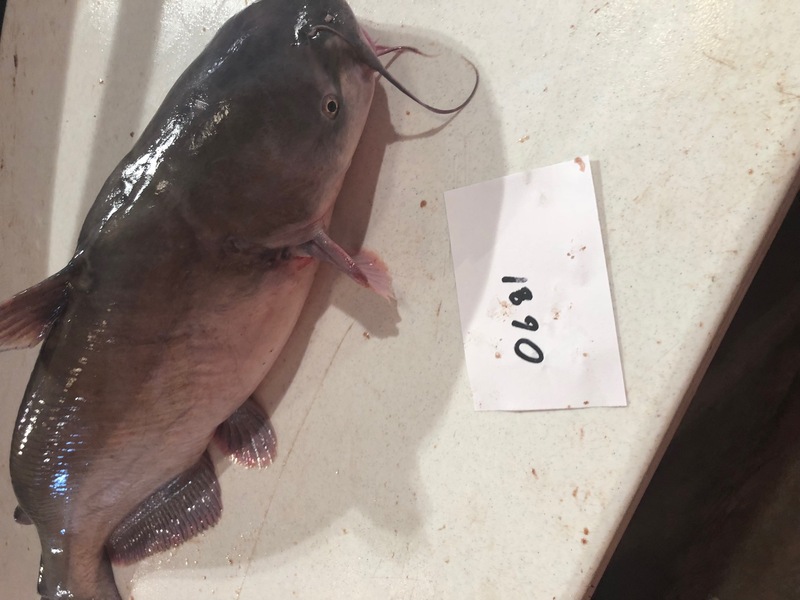 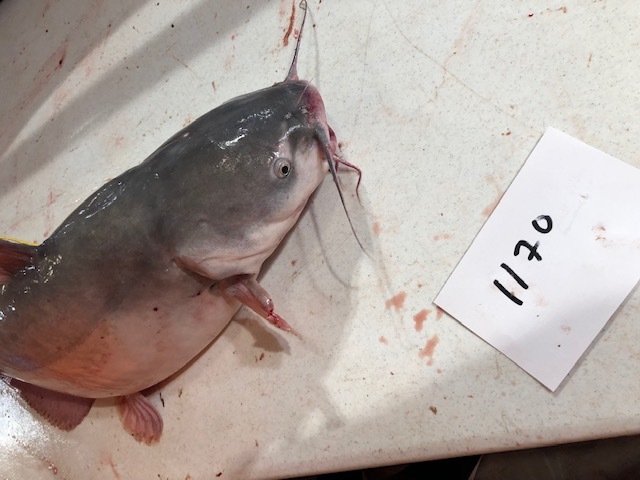 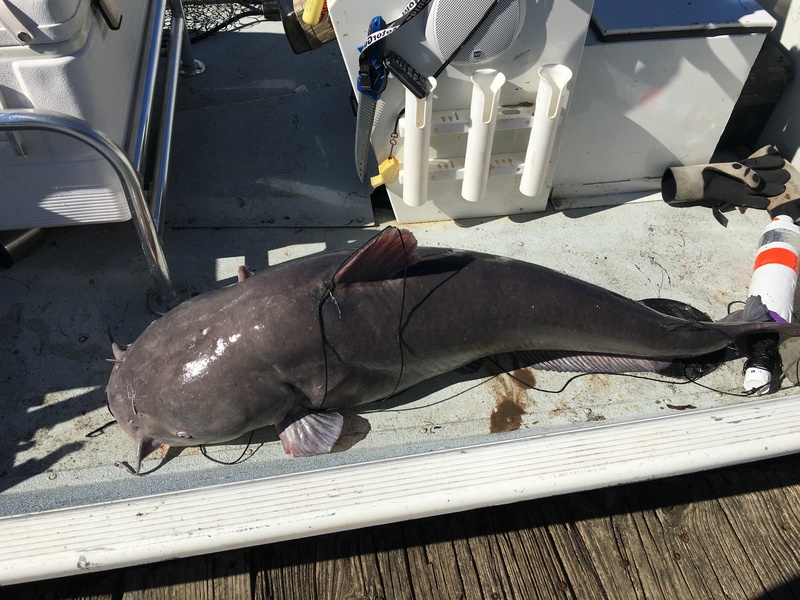 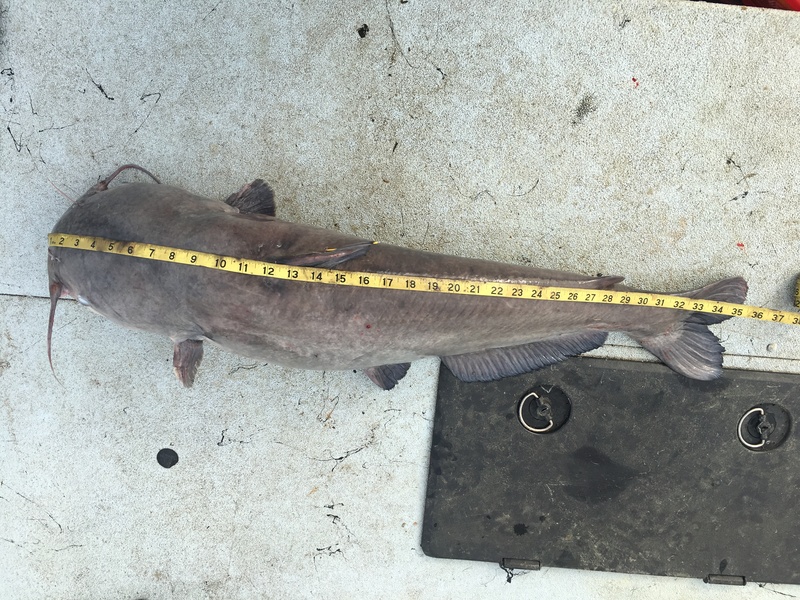 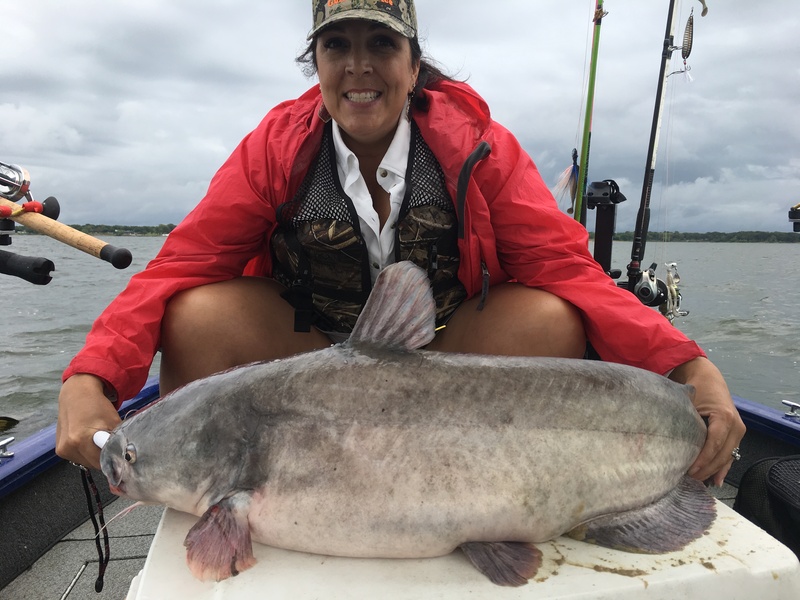 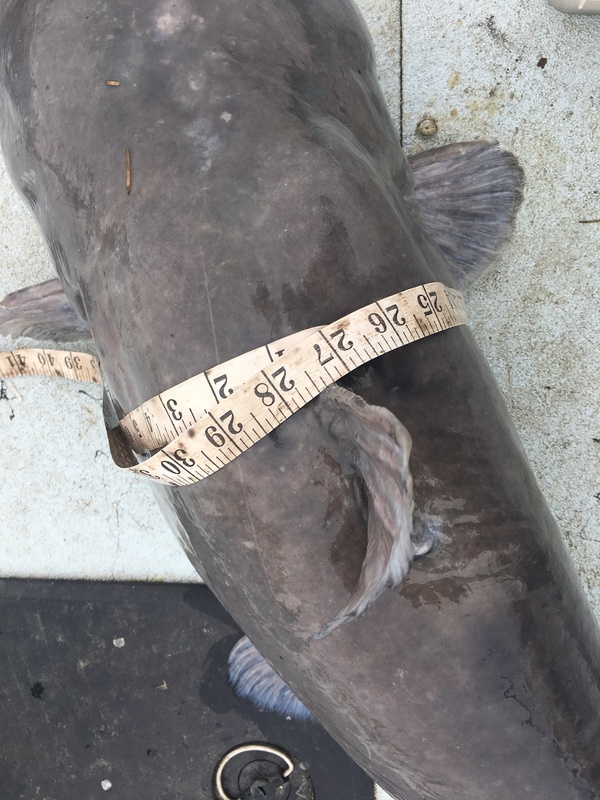 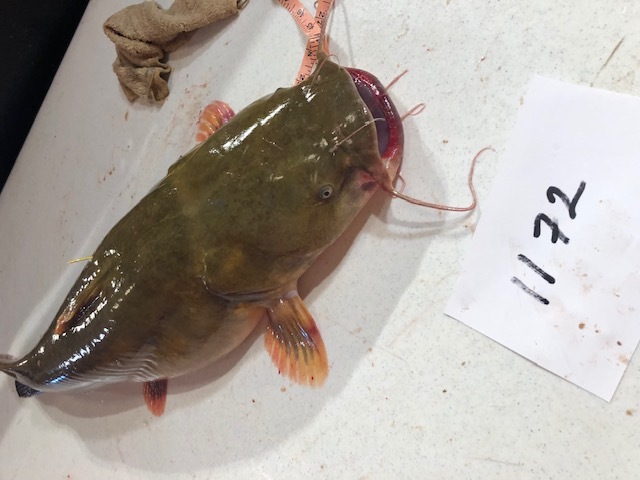 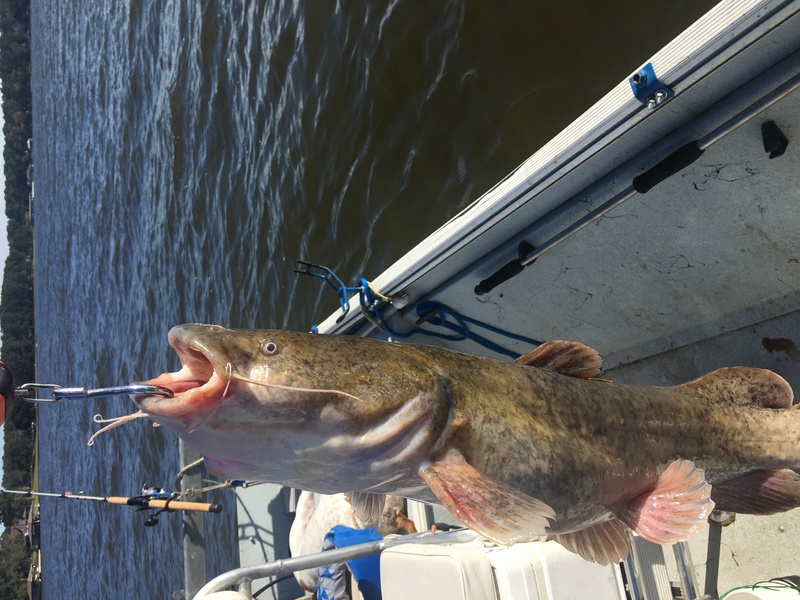 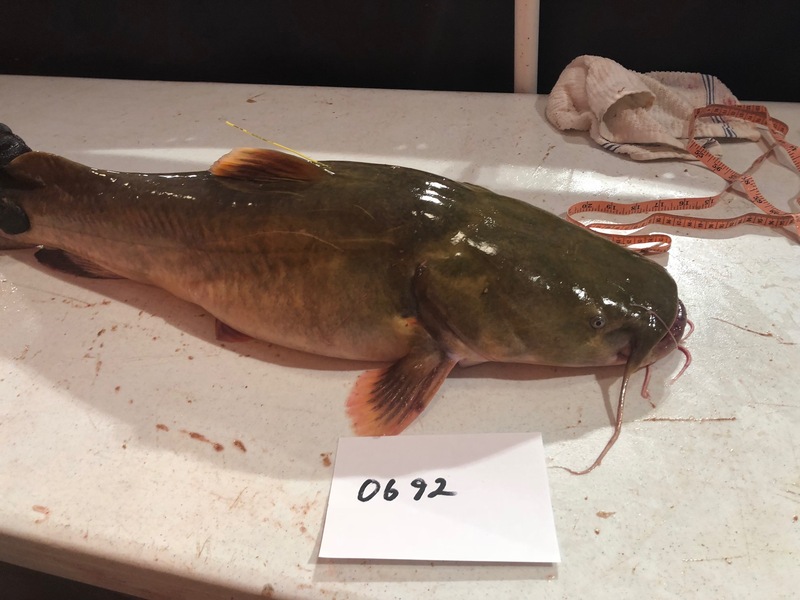 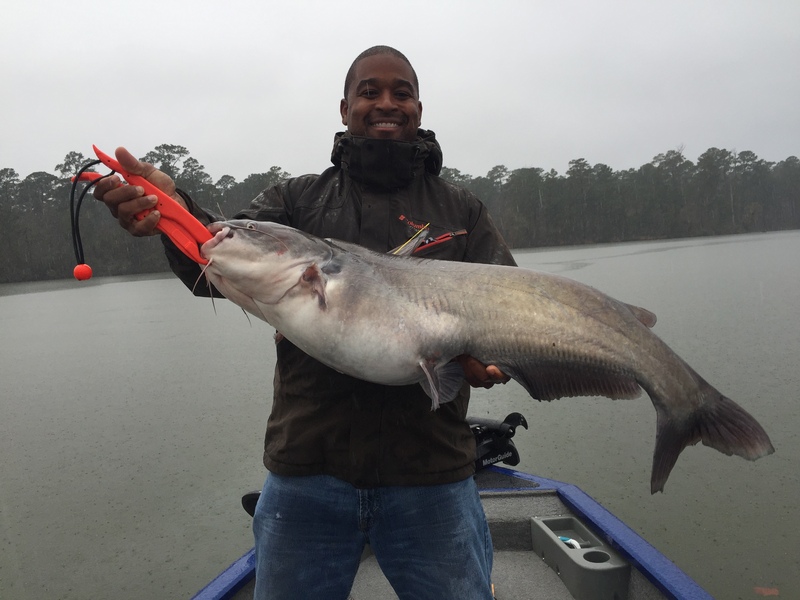 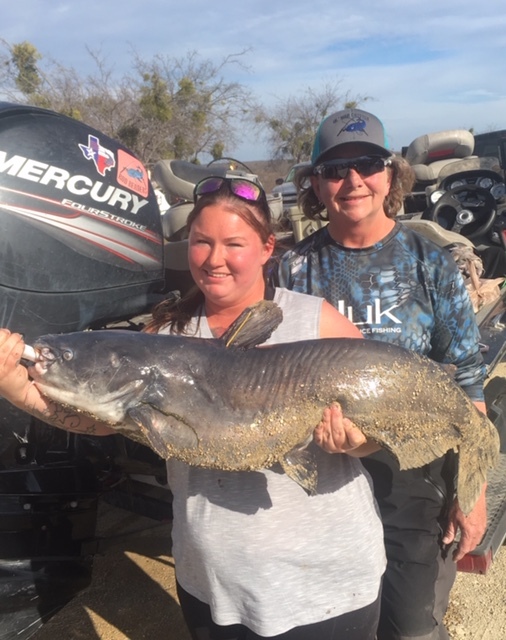 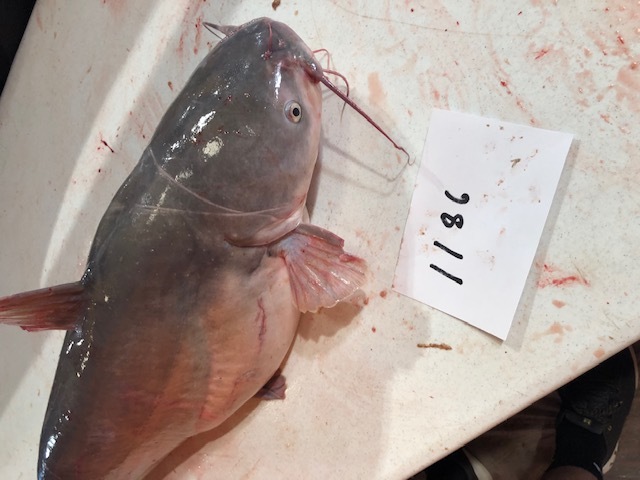 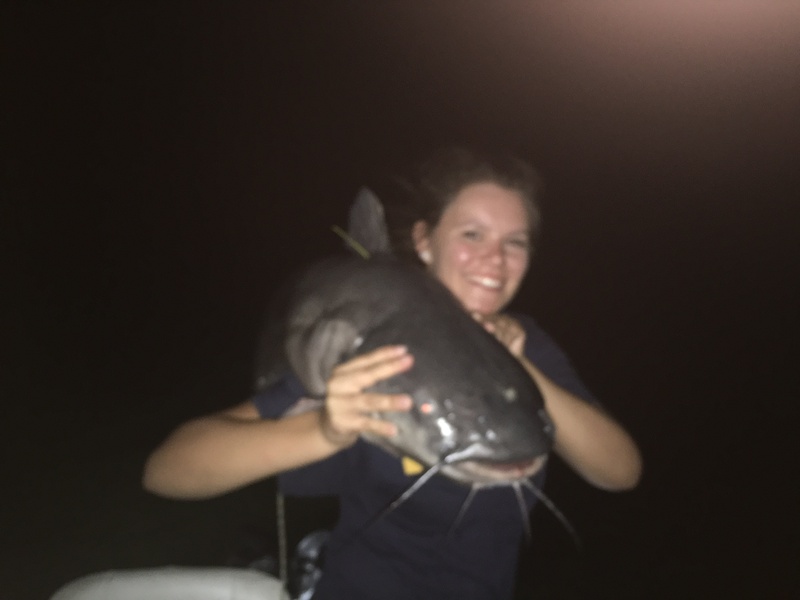 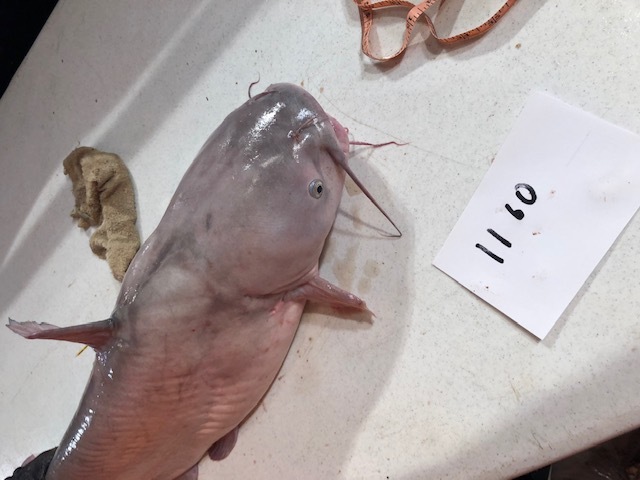 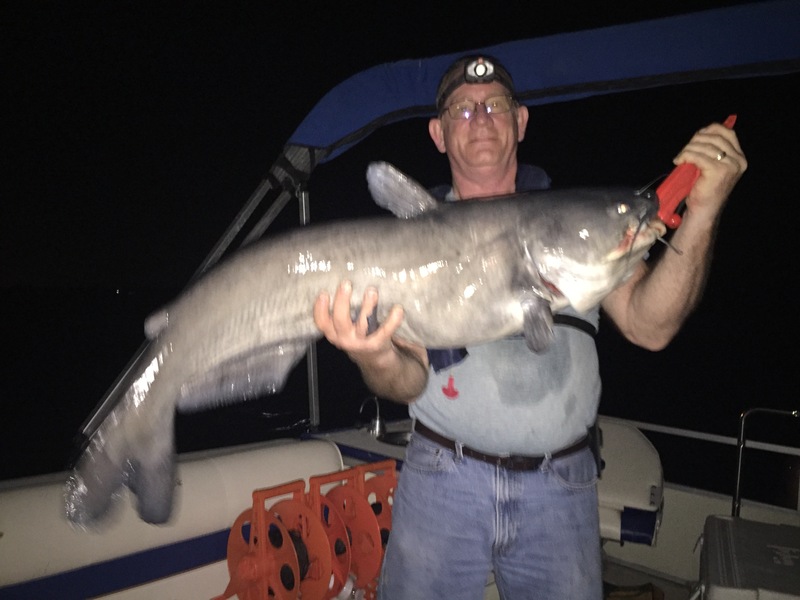 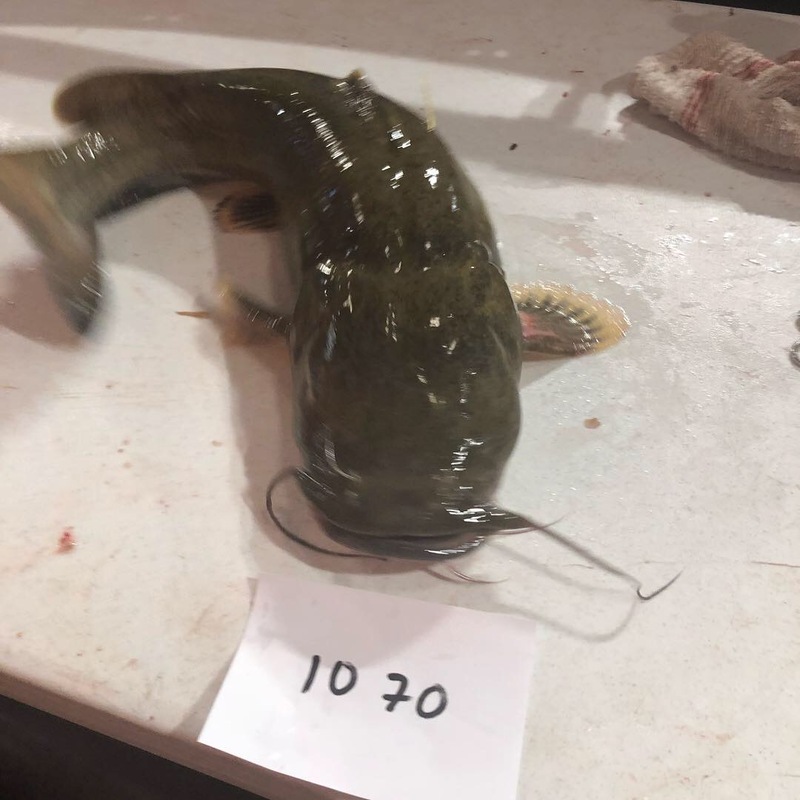 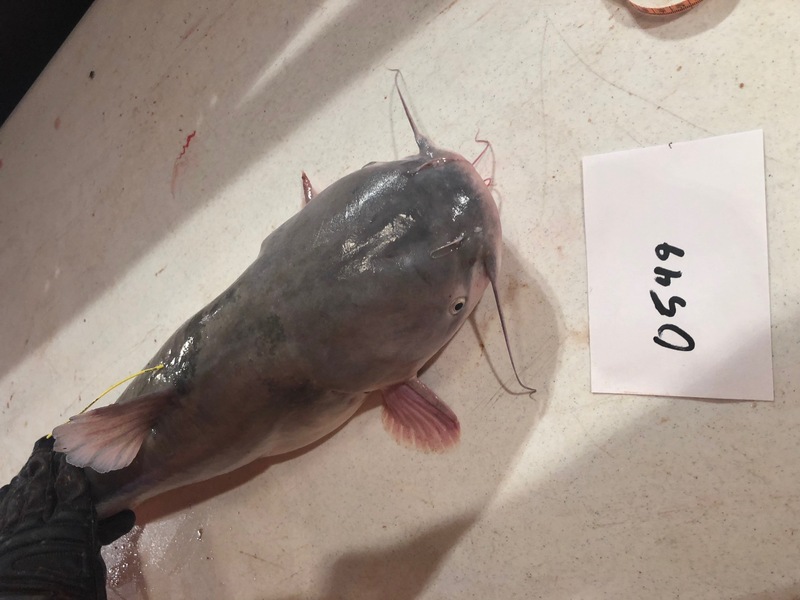 1724 Big Country Catfish Trail rodney@brazosnet.com Blue Catfish 2019-02-03 18.3 34 22.5 O H Ivie Reservoir Released Rod and Reel water temp 54, 21 feet deep, clear. 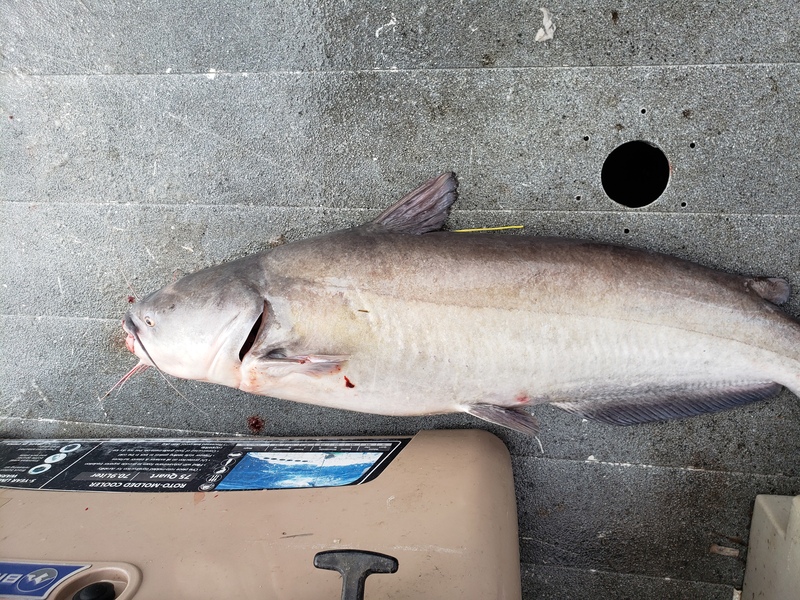 1525 John Werner pardo.m.15@gmail.com Blue Catfish 2019-02-09 38.82 43.5 29 Lake Conroe Released Rod and Reel Cut Bait, North side of lake Conroe, muddy water, 40 degrees outside, NE 6 mph wind, 30.41 barometer. 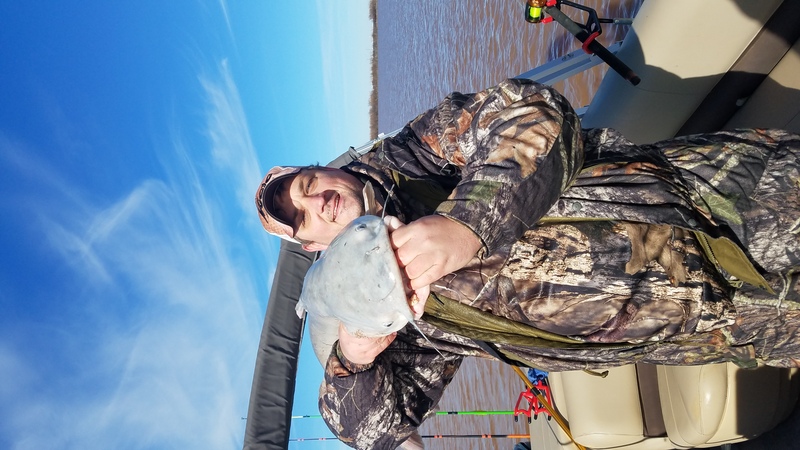 1718 Ol'Man Catfish Tournament rodney@brazosnet.com Blue Catfish 2019-02-16 18.5 36 21 Hubbard Creek Lake at Breckenridge Released Rod and Reel Cut shad, wind hard north and 31 degrees air. 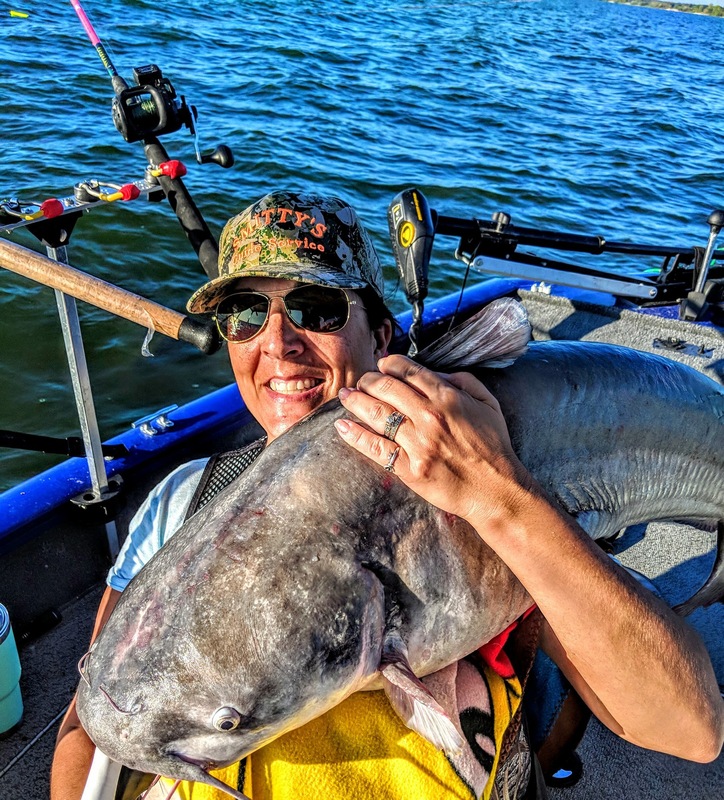 1660 Cynthia Cooey mackccr@hotmail.com Blue Catfish 2019-03-25 21.7 35.5 22.5 Lake Tawakoni Released Rod and Reel This big blue was caught by Mik Garcia. 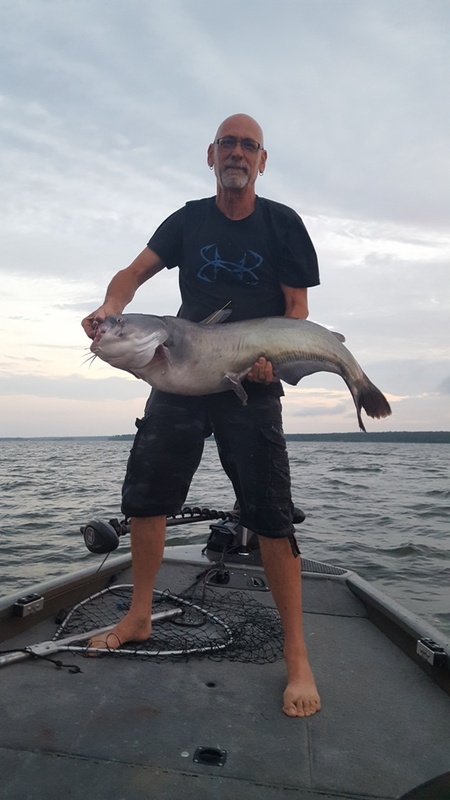 He used cut bait fish on a B & M rod. 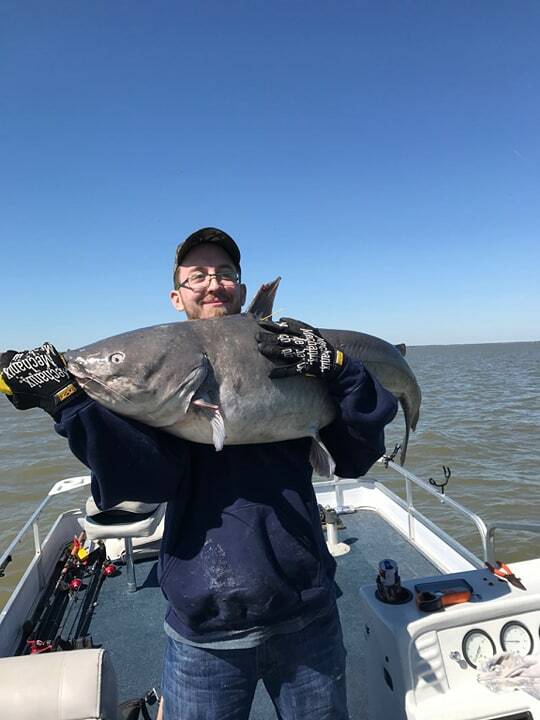 Wind was from the north. 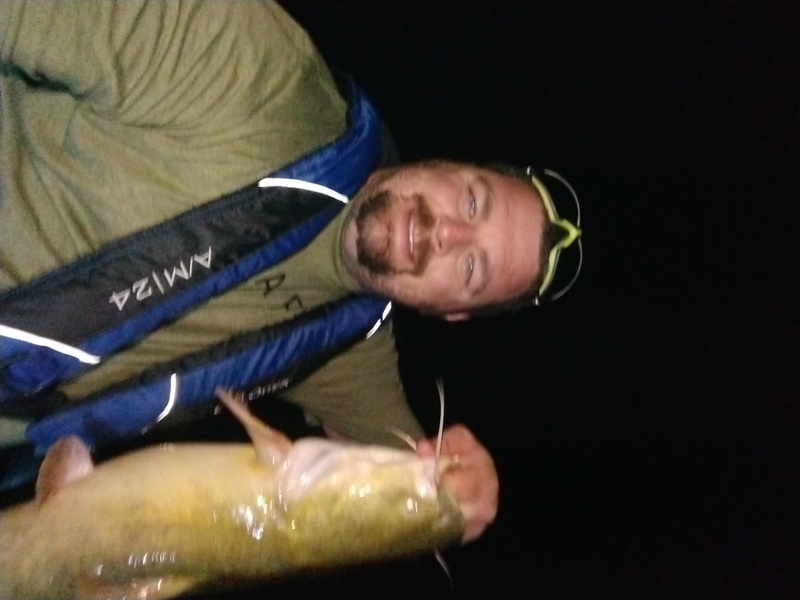 Caught while drifting. 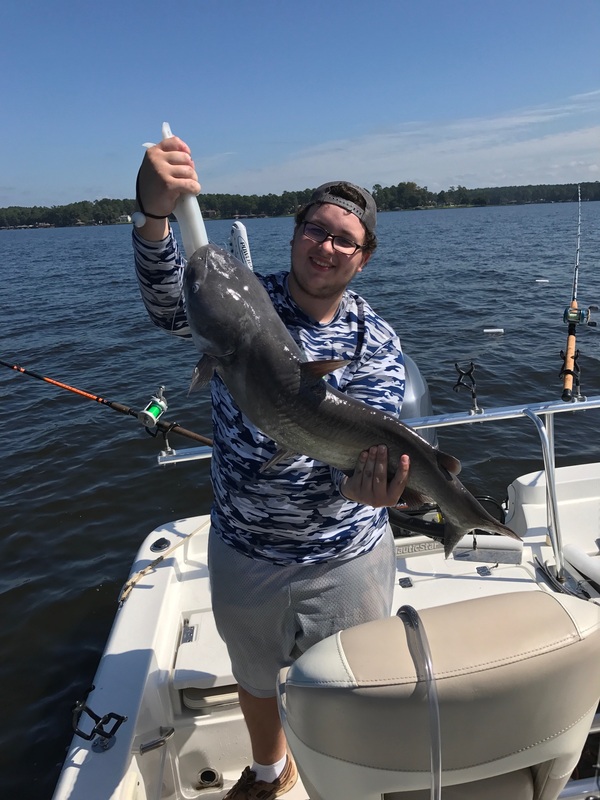 Air temp was mid 60's. 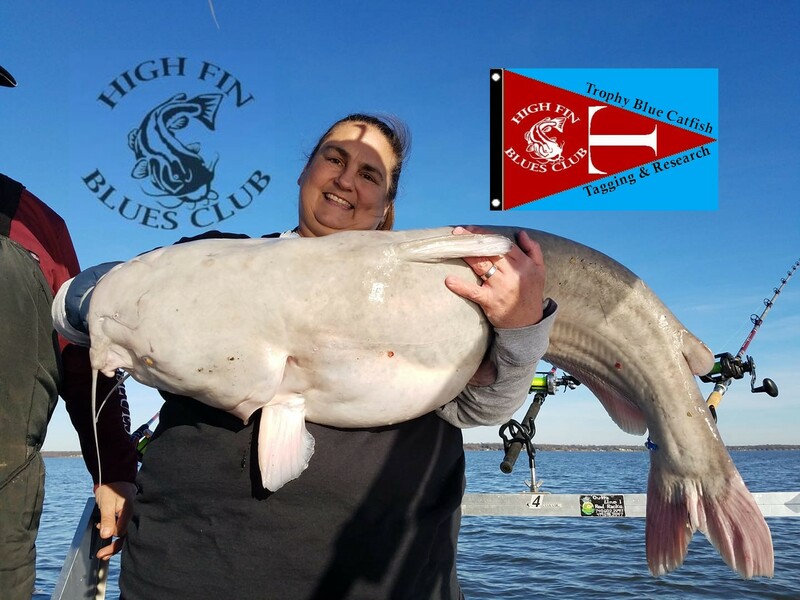 1674 Cynthia Cooey mackccr@hotmail.com Blue Catfish 2019-03-25 42.10 48.0 31.0 Lake Tawakoni Released Rod and Reel This big blue was caught by Mik Garcia. 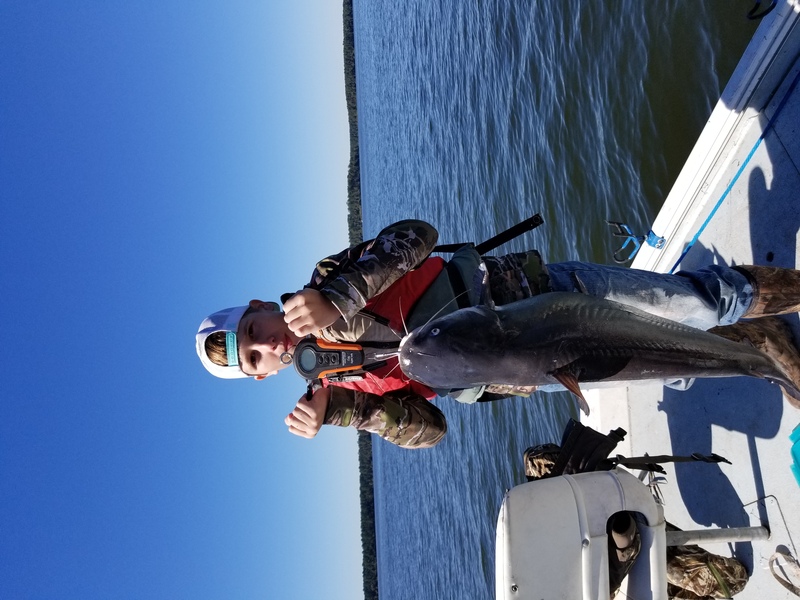 He used cut bait fish on a B & M rod. 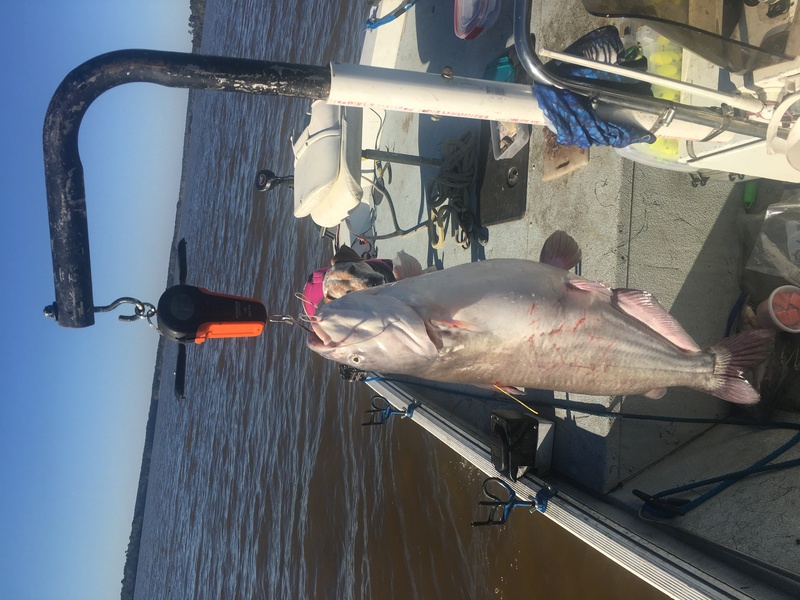 Wind was from the north. 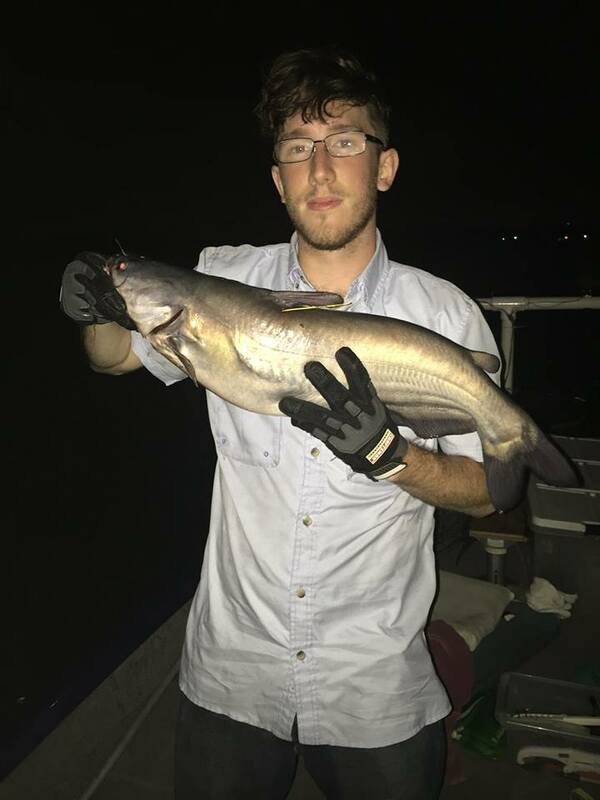 Caught while drifting. 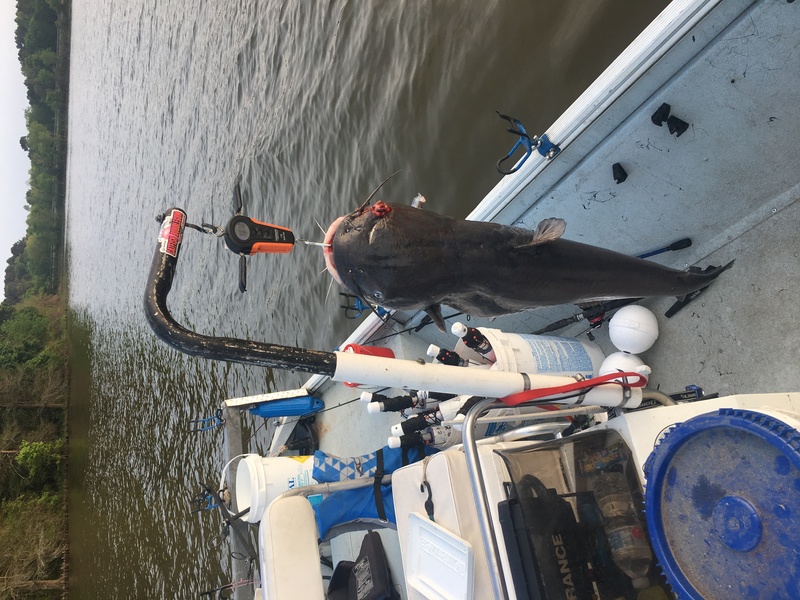 Air temp was mid 60's. 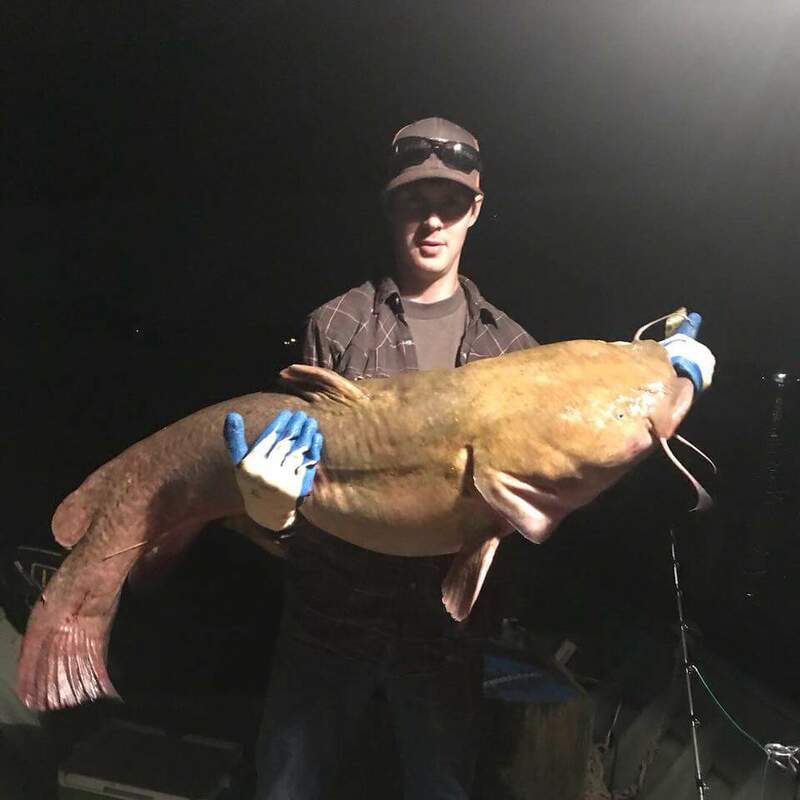 He beat his new PB set earlier on same day. 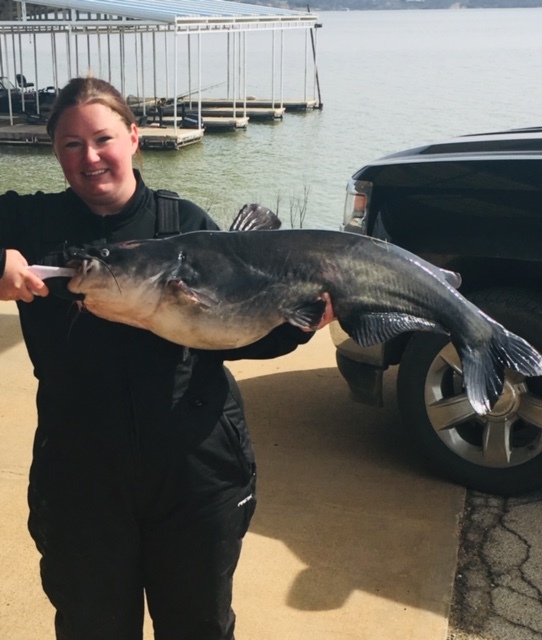 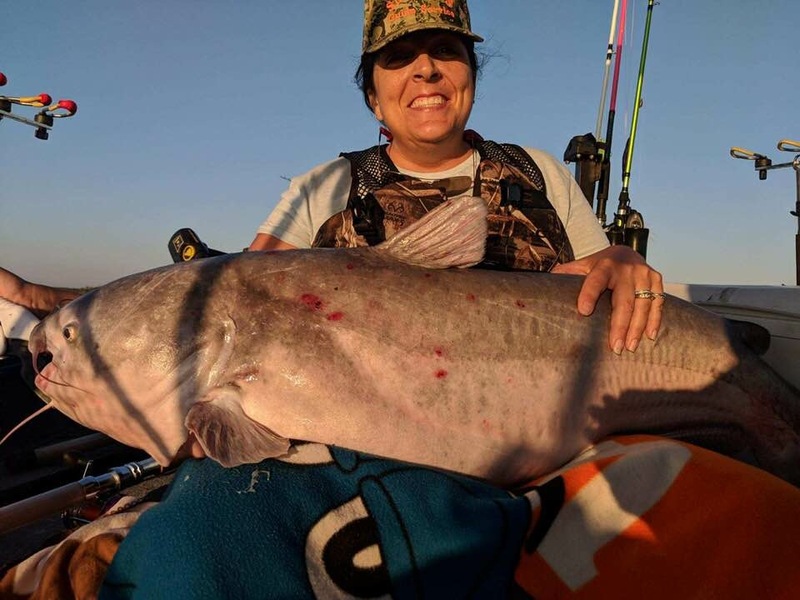 1011 Cynthia Cooey mackccr@hotmail.com Blue Catfish 2019-01-20 44.8 43.5 27.5 Lake Tawakoni Released Rod and Reel Caught on cut shad. 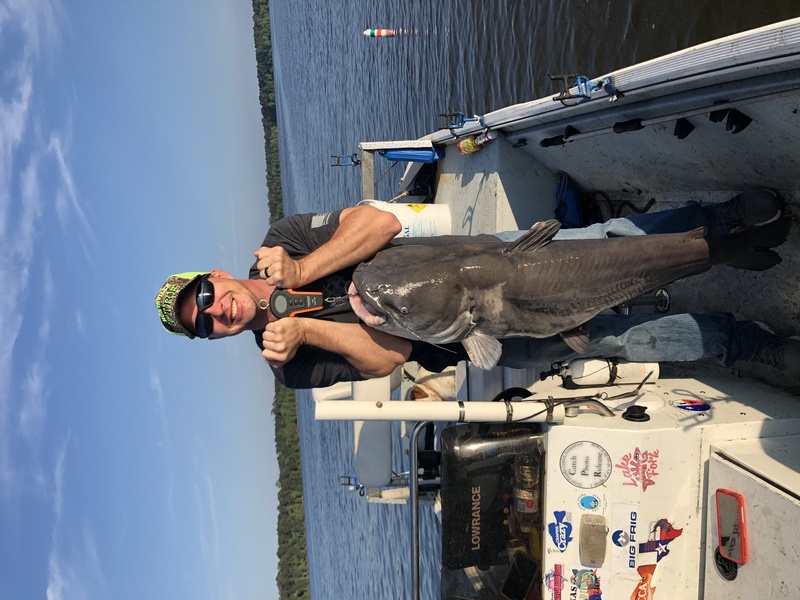 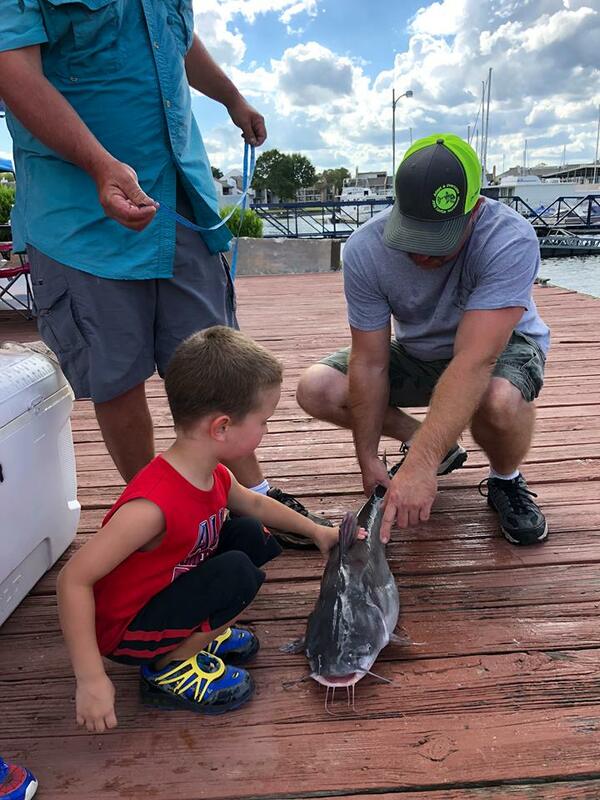 1754 Rodney Carlton Sullivan rodney@brazosnet.com Blue Catfish 2019-04-06 20.1 Hubbard Creek Lake Released Rod and Reel Cut shad, water temp 67 degrees. 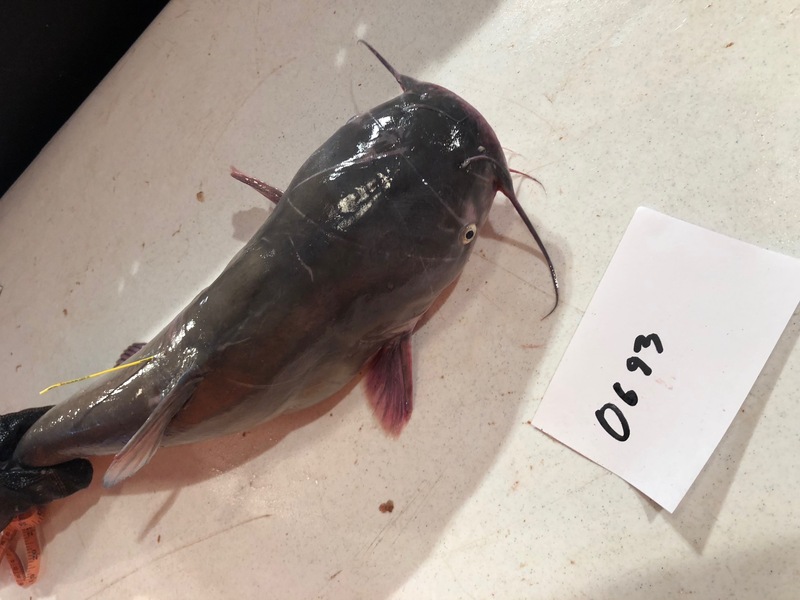 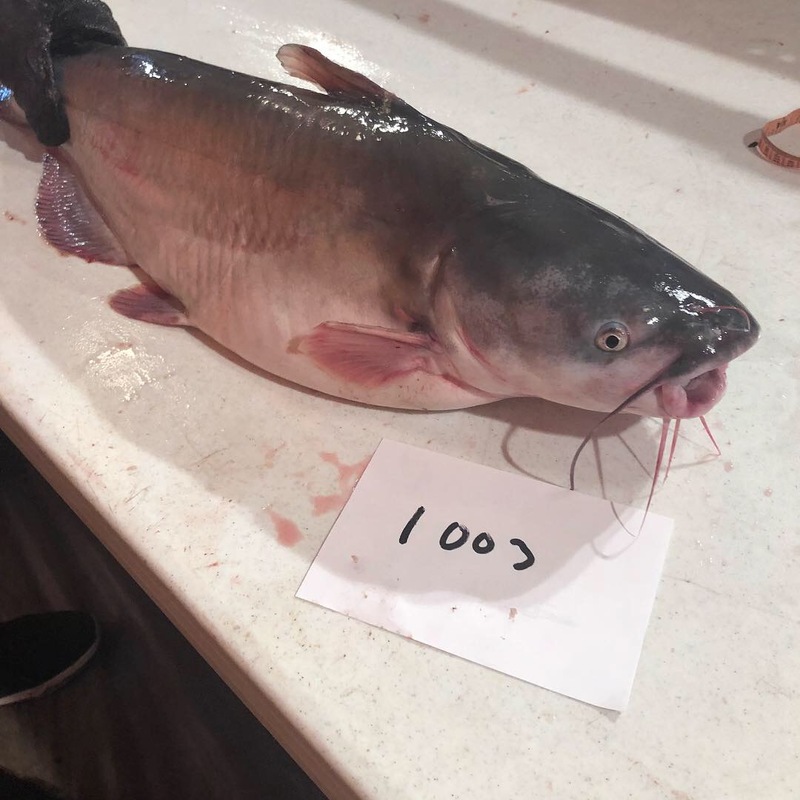 1078 Louis Parker parkerlouiscindy@sbcglobal.net Blue Catfish 2019-04-07 54 45 31 3/4 Lake Conroe Released Jug/Noodle North of 1375 bridge, 70 degree water. 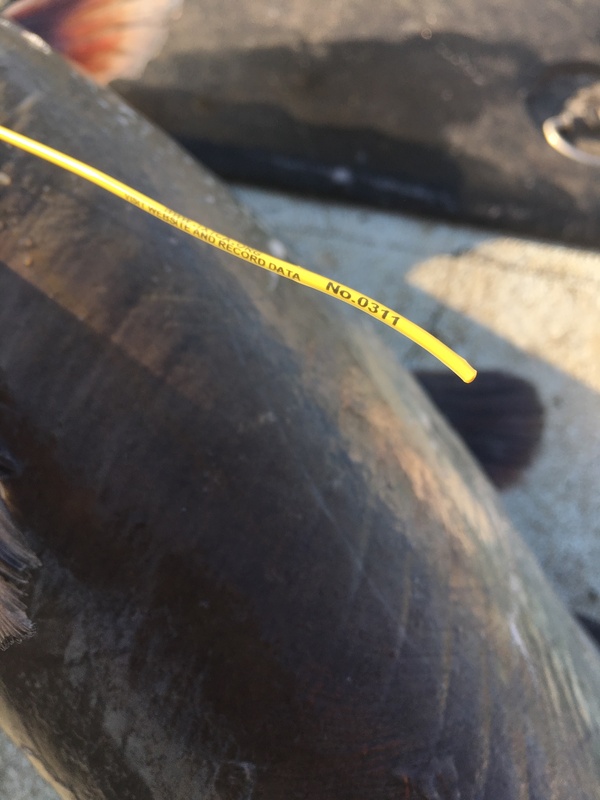 Cut bait. 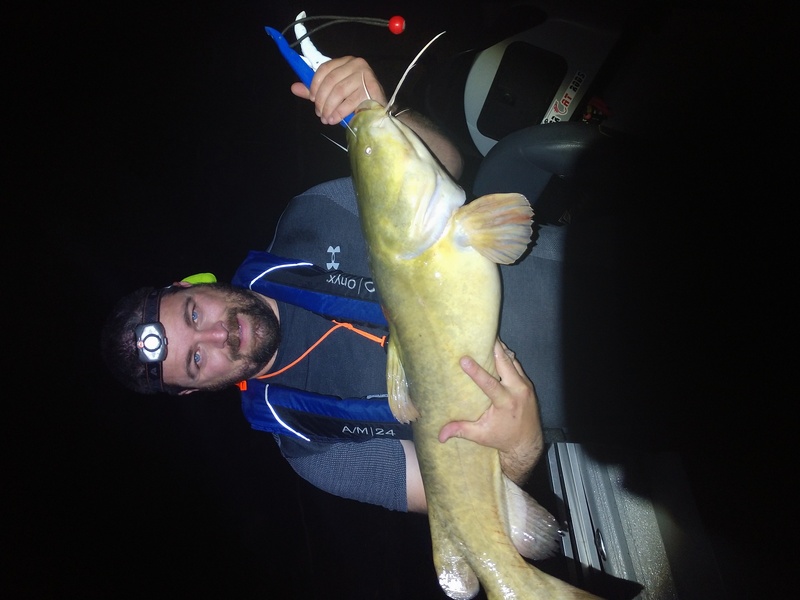 Just after the thunderstorms. 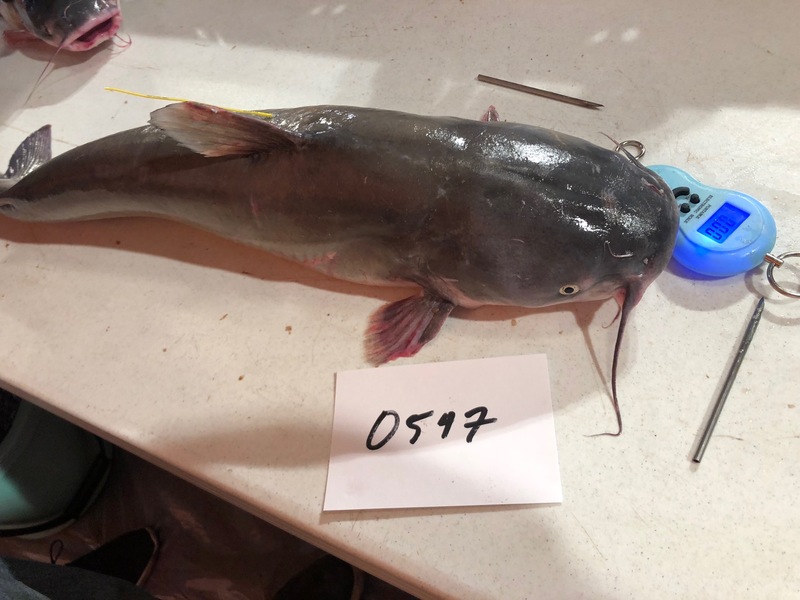 1080 Louis Parker, Adam Winningham, Josh Holloway parkerlouiscindy@sbcglobal.net Blue Catfish 2019-04-08 17.01 30 21 1/2 Lake Conroe Released Jug/Noodle Cut bait, north of FM 1375. 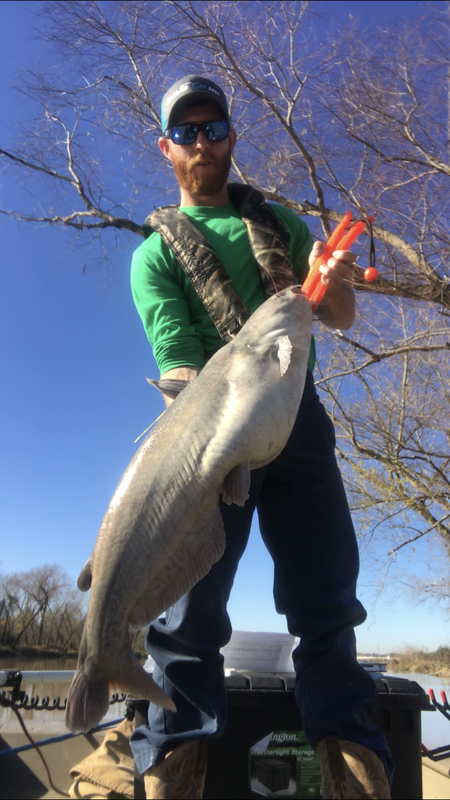 70 degree water temp. 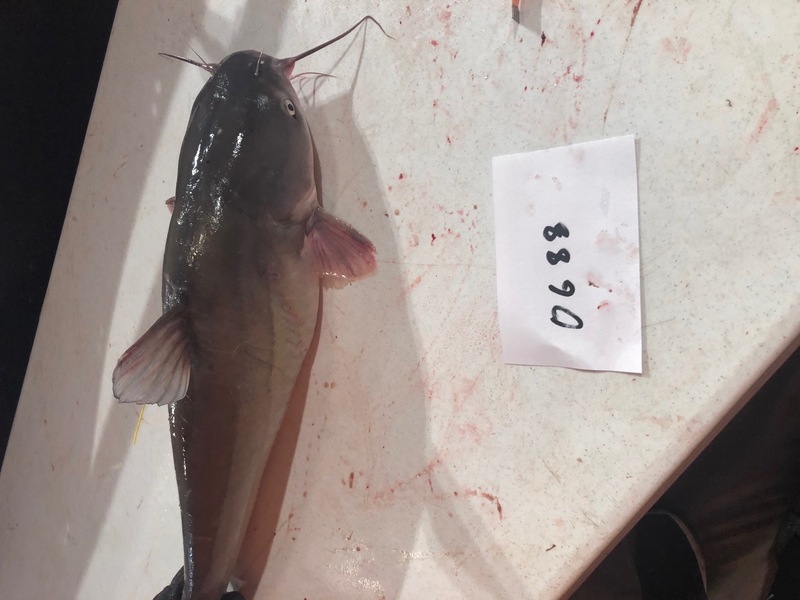 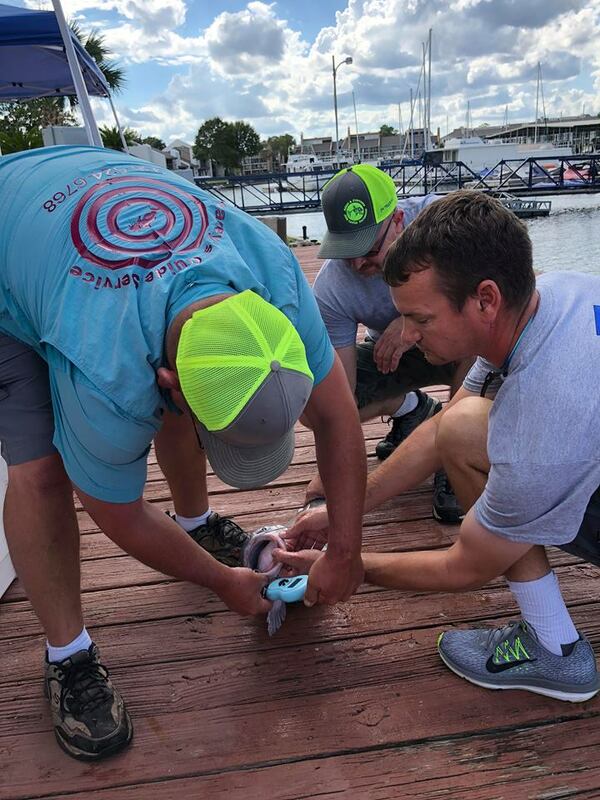 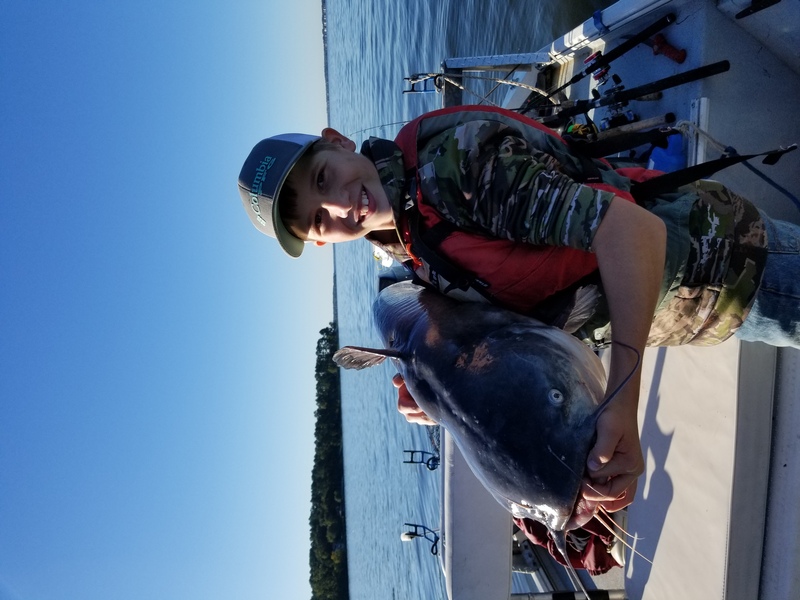 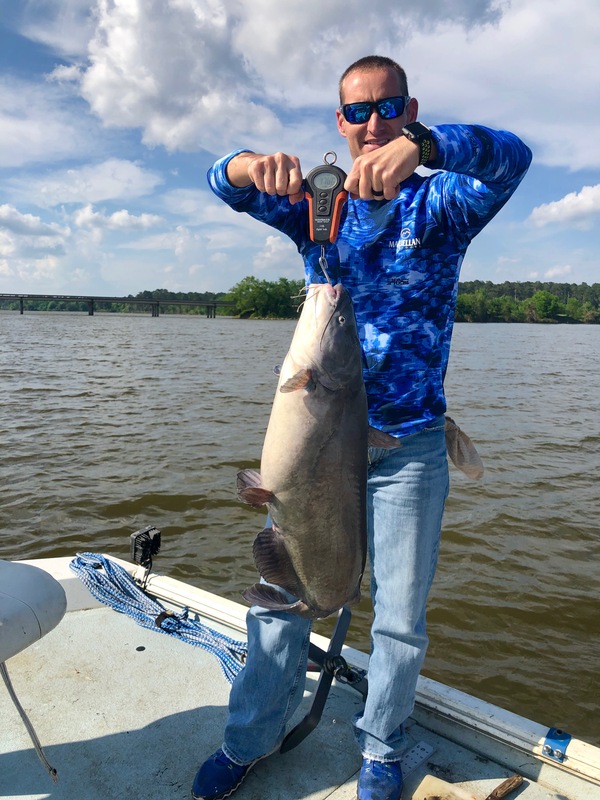 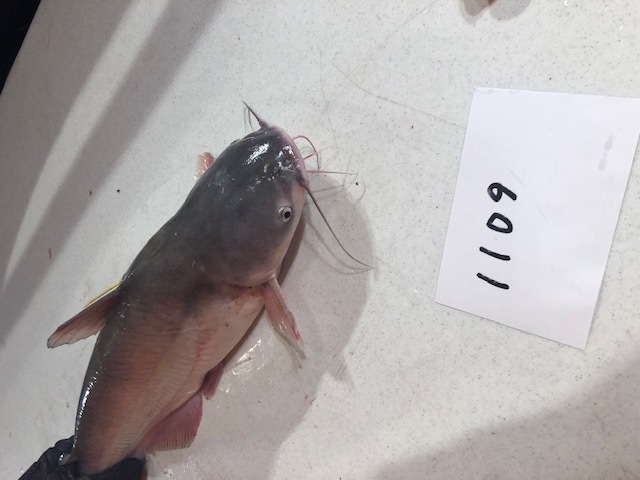 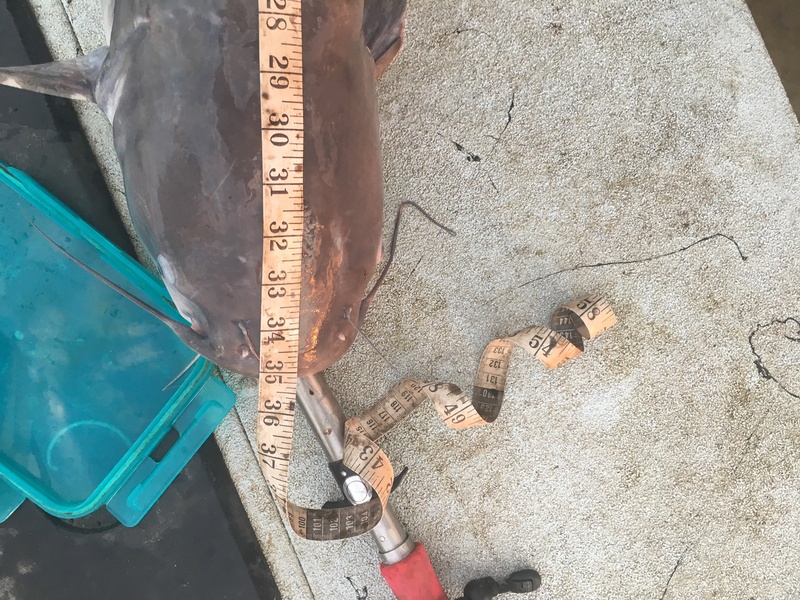 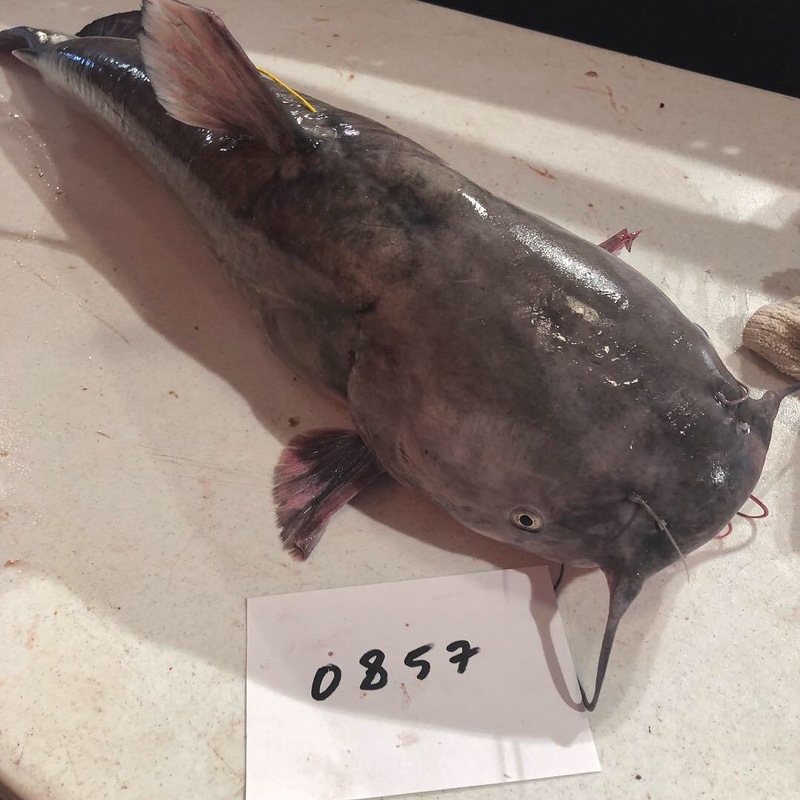 1076 Louis Parker, Adam Winningham, Josh Holloway parkerlouiscindy@sbcglobal.net Blue Catfish 2019-04-08 52 45 30 1/2 Lake Conroe Released Jug/Noodle Cut bait, north of FM 1375. 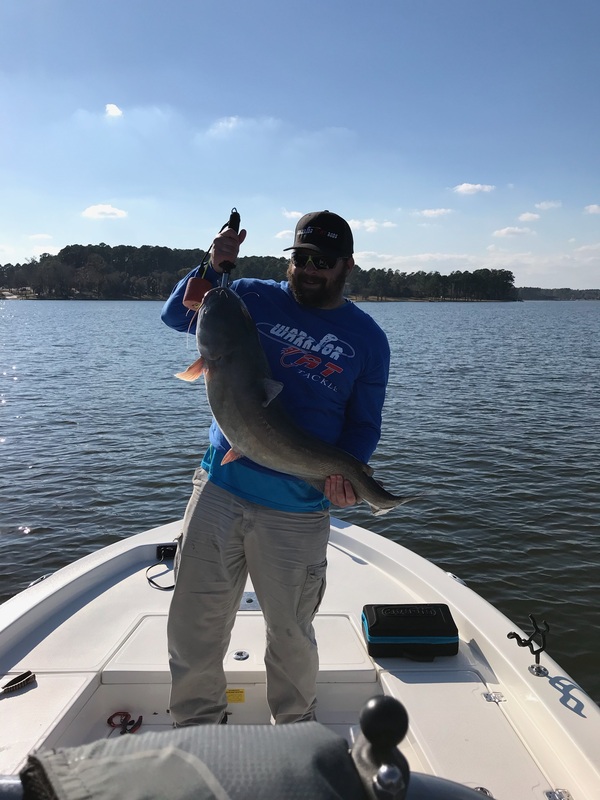 70 degree water temp.